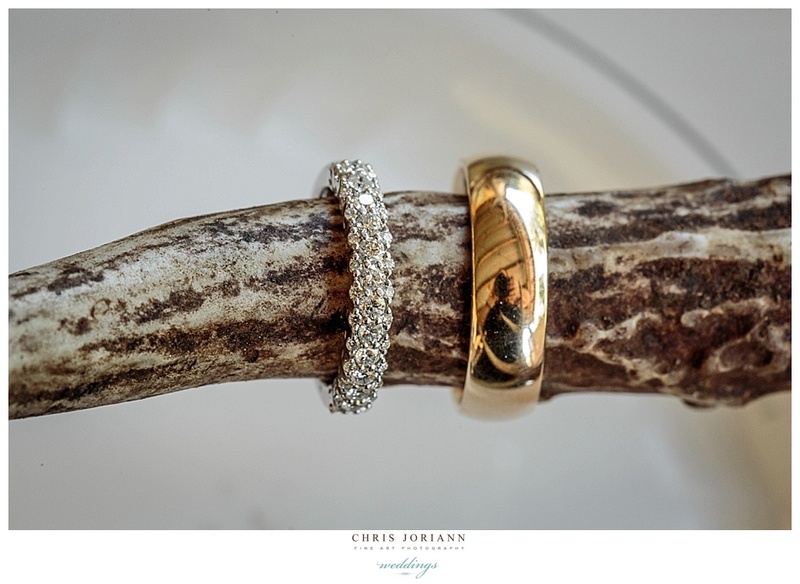 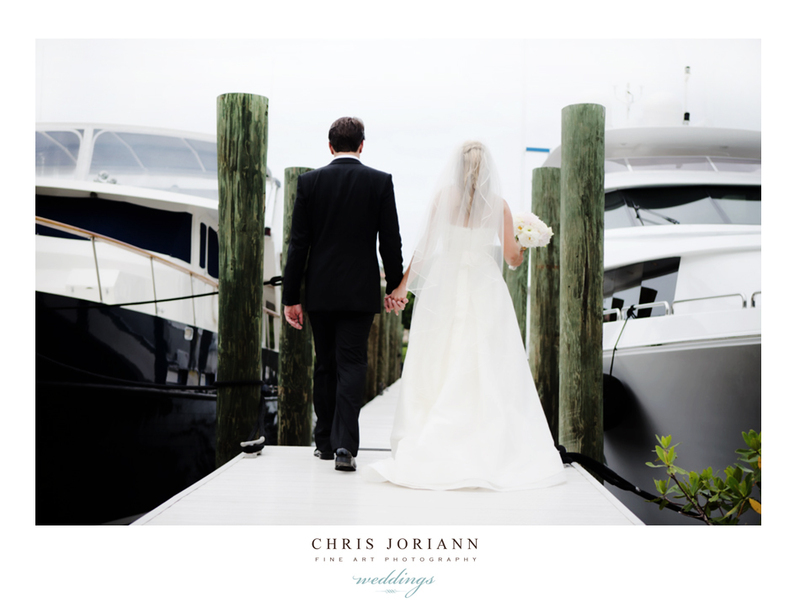 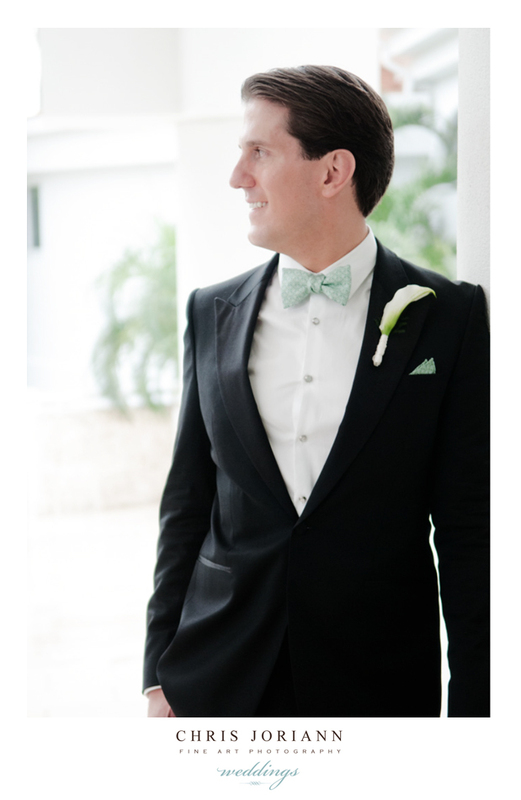 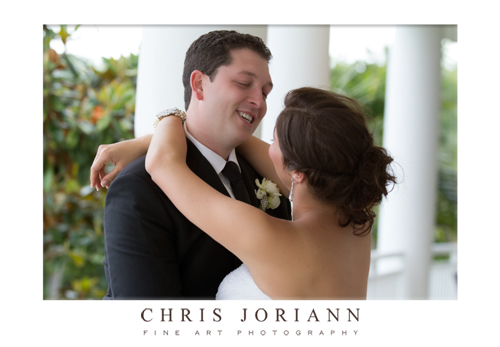 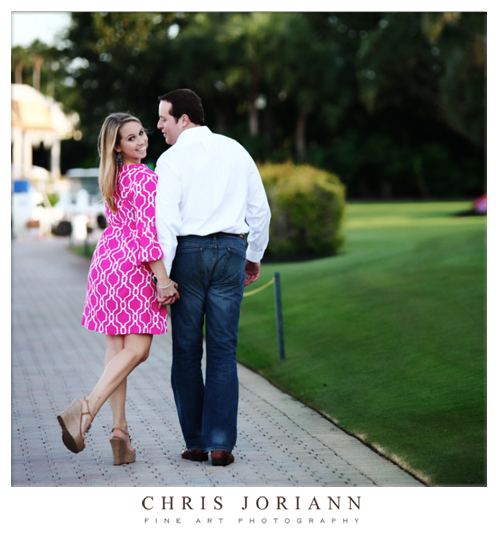 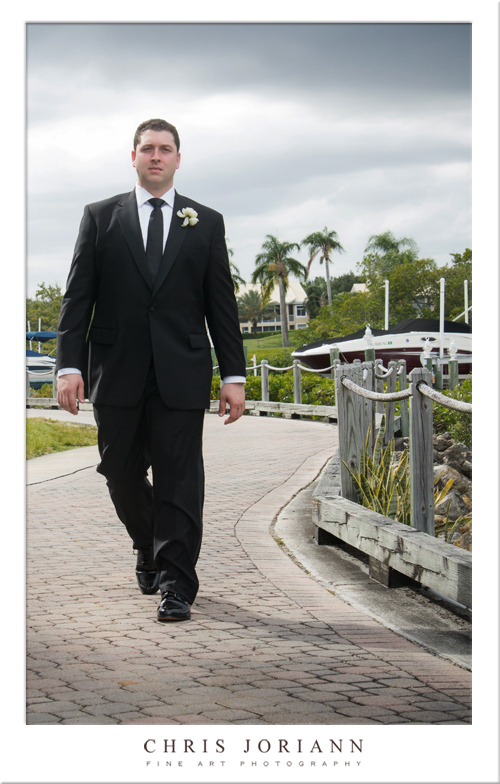 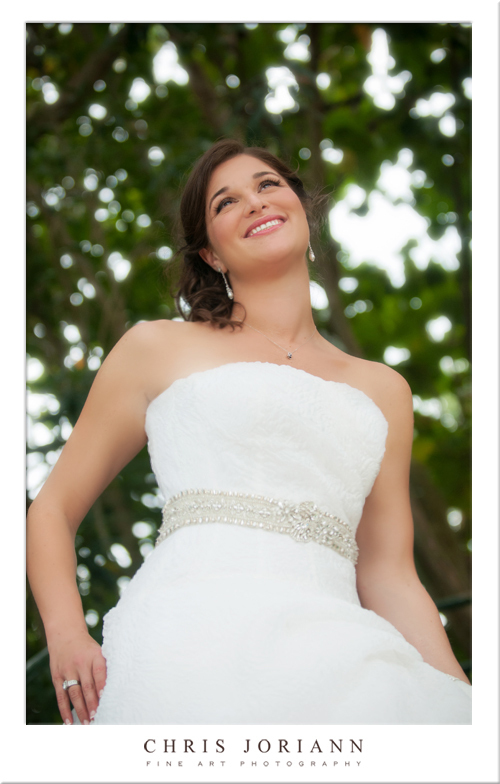 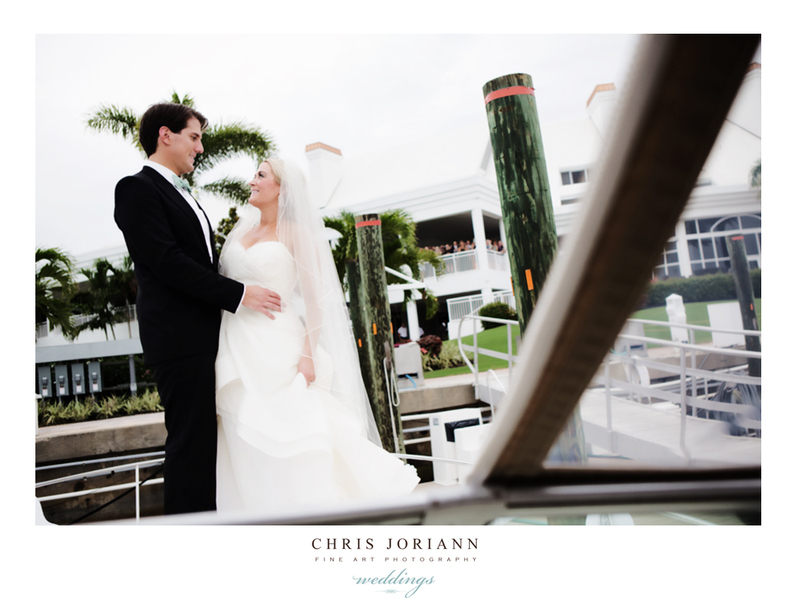 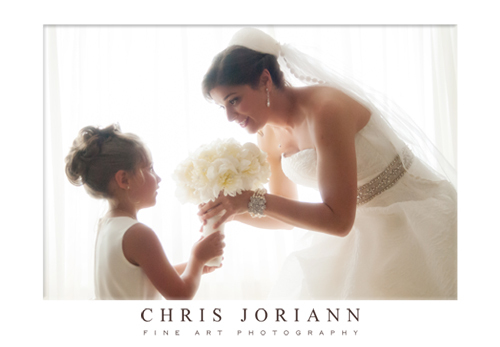 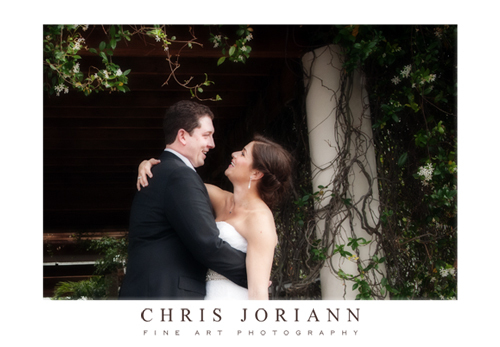 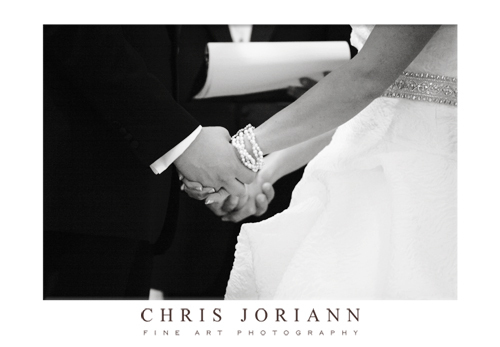 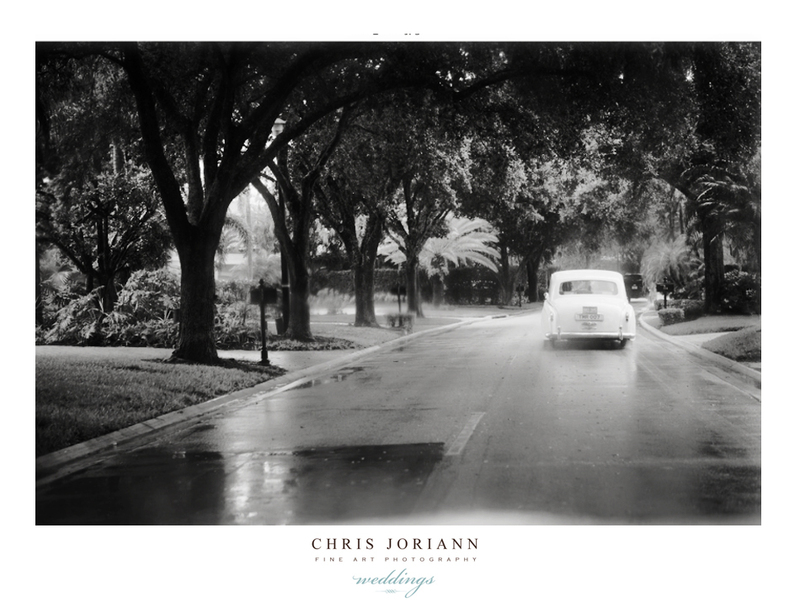 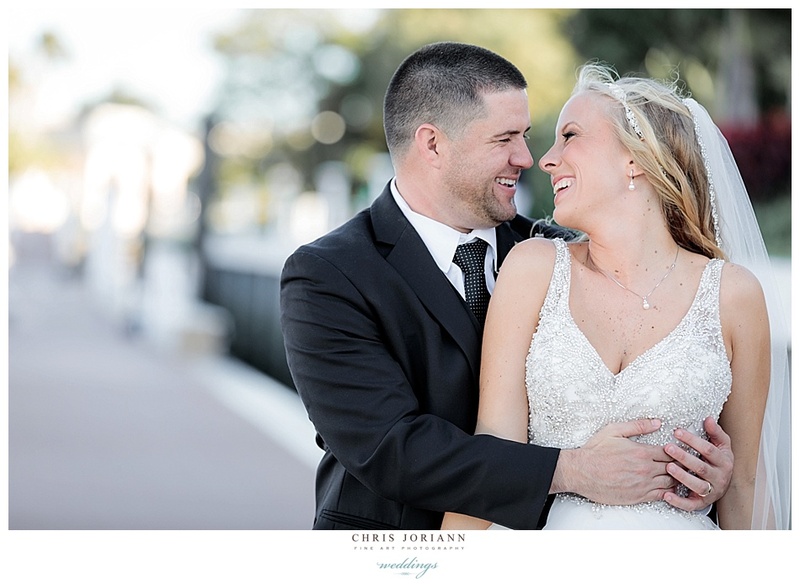 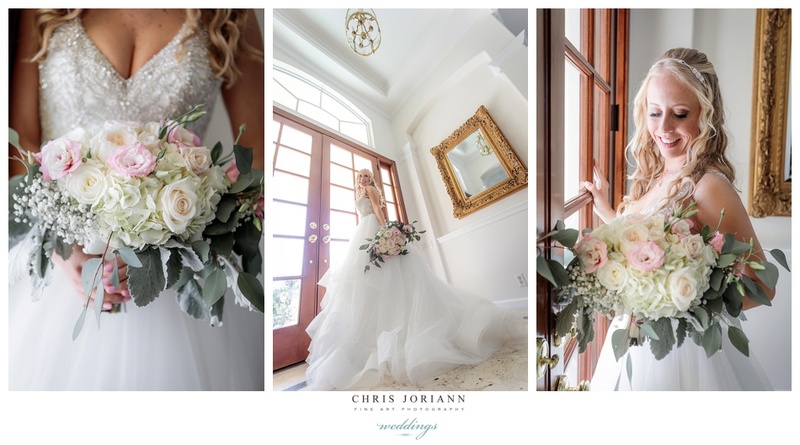 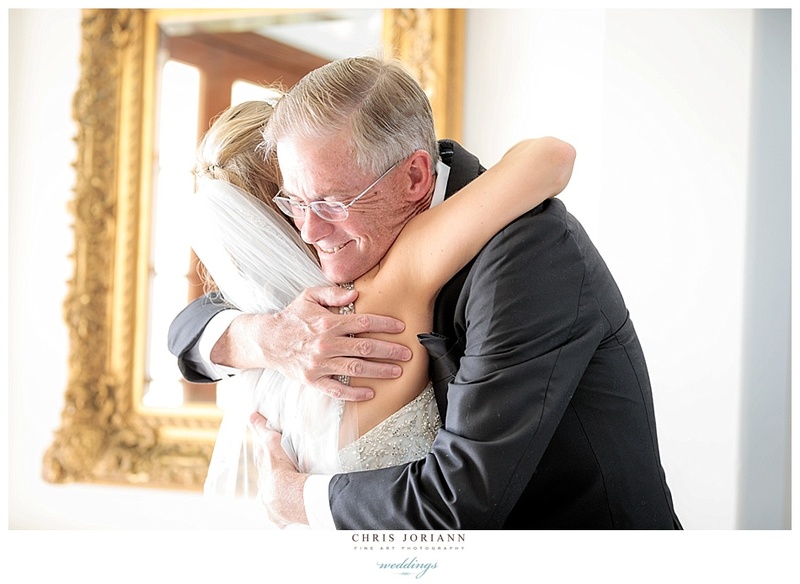 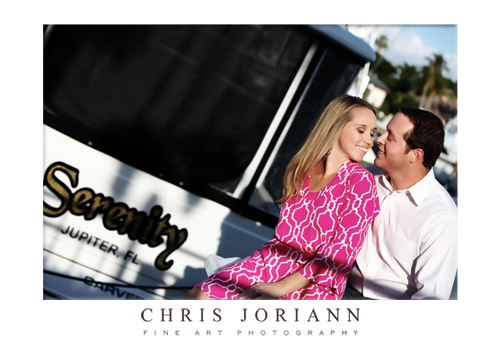 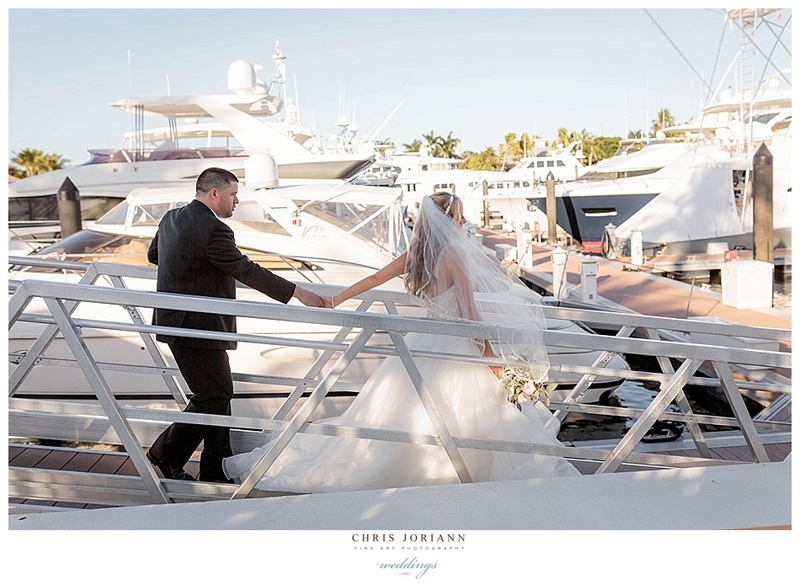 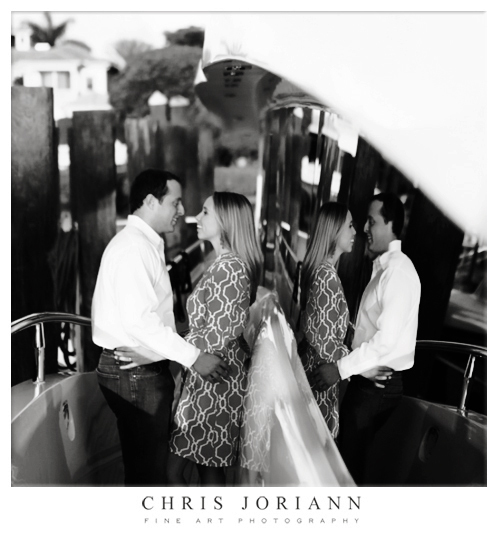 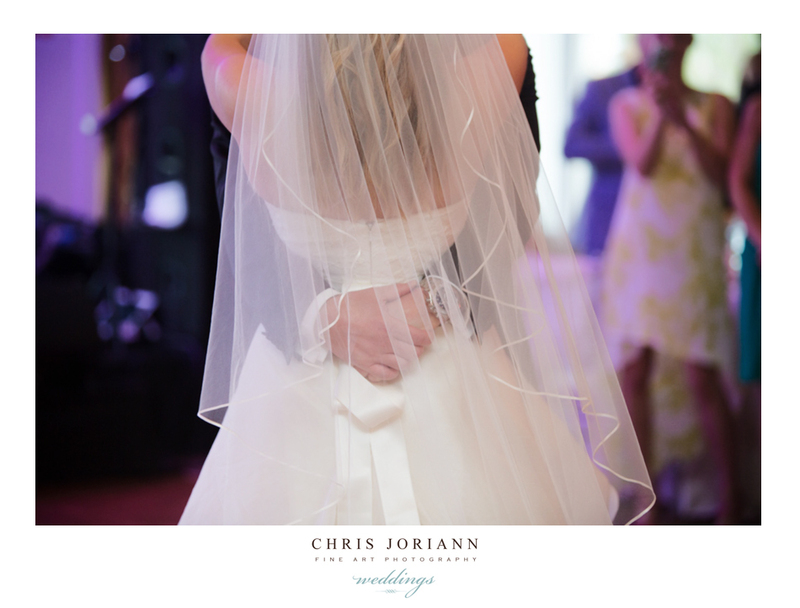 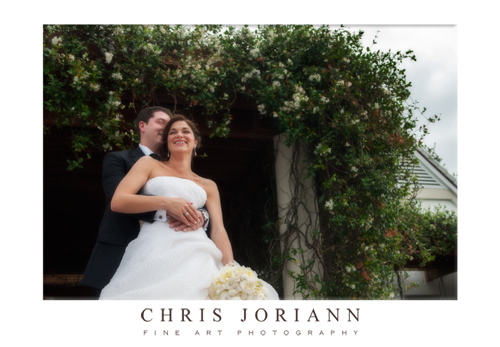 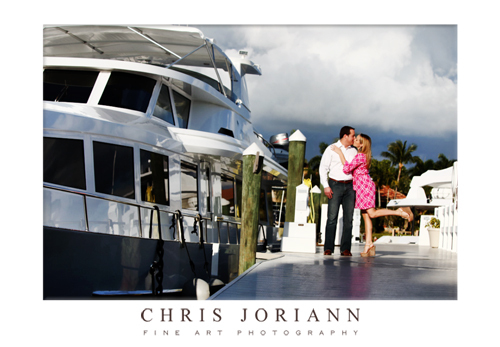 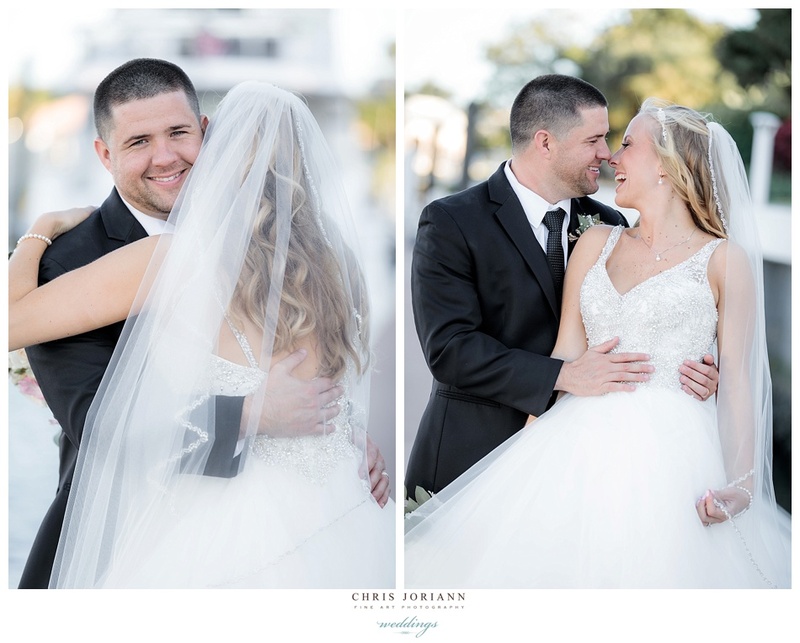 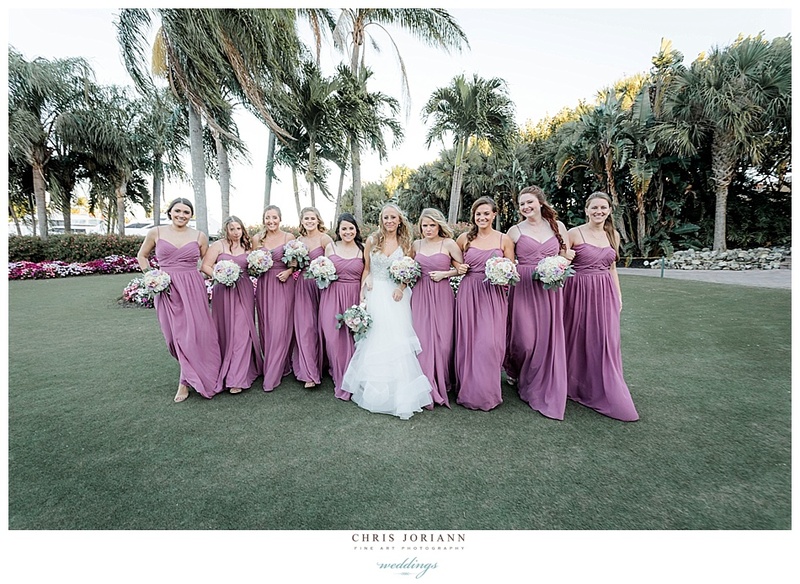 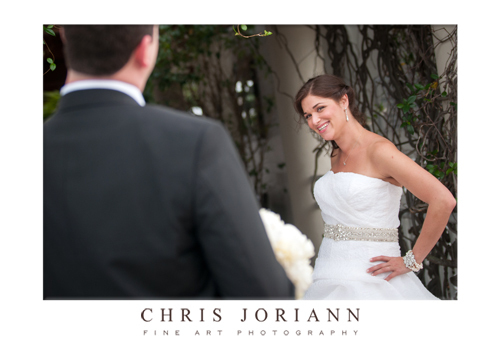 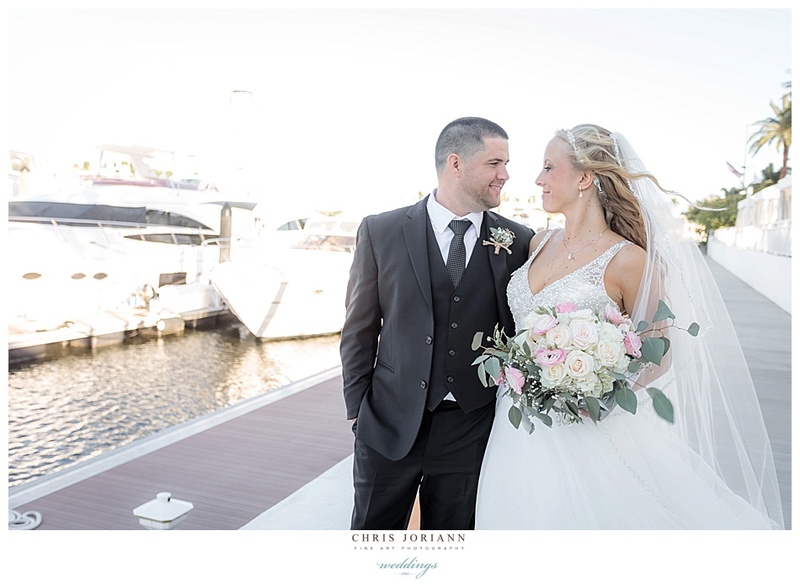 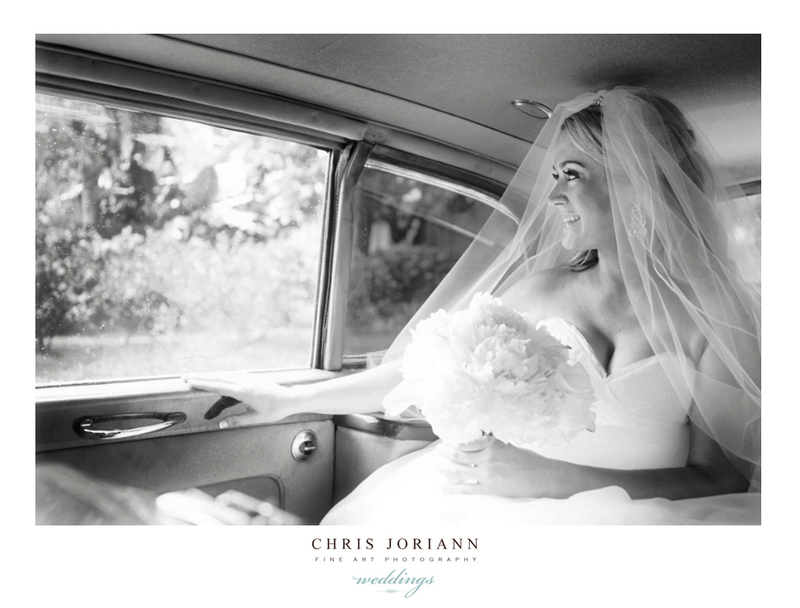 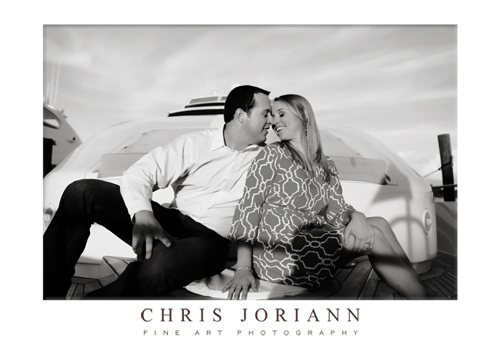 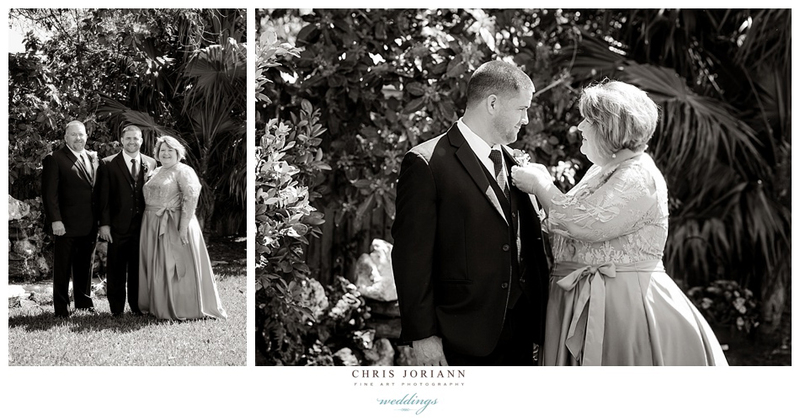 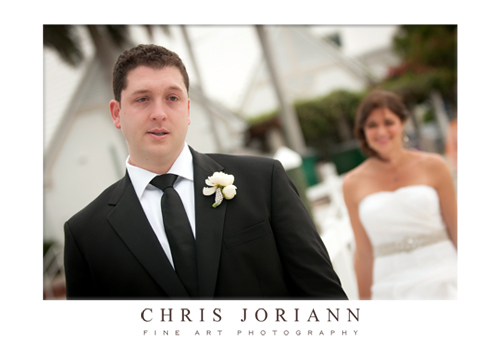 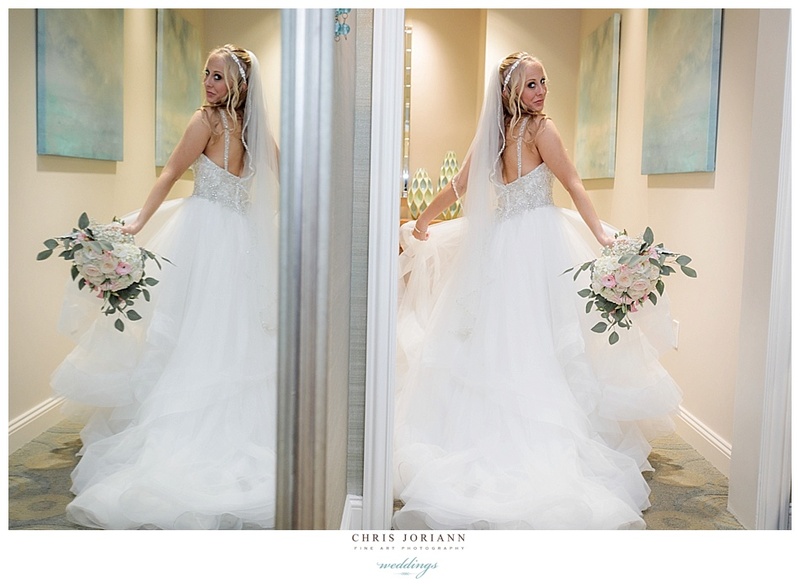 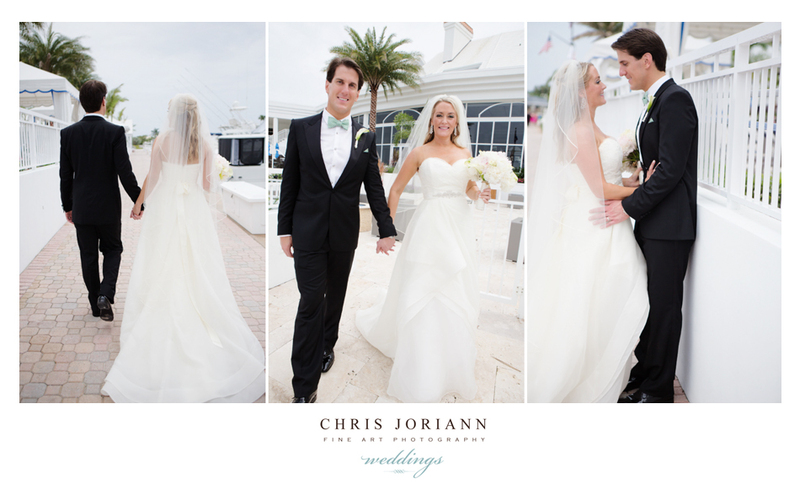 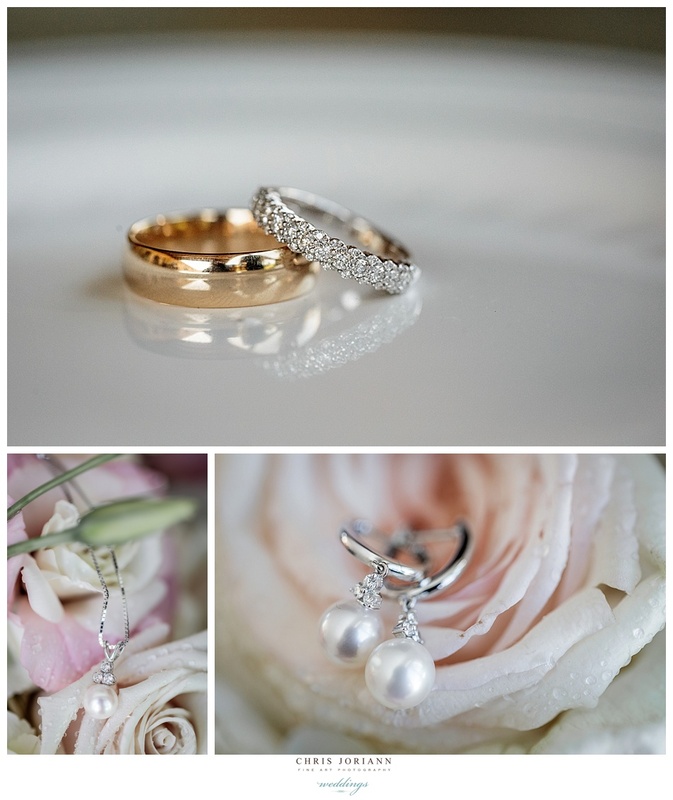 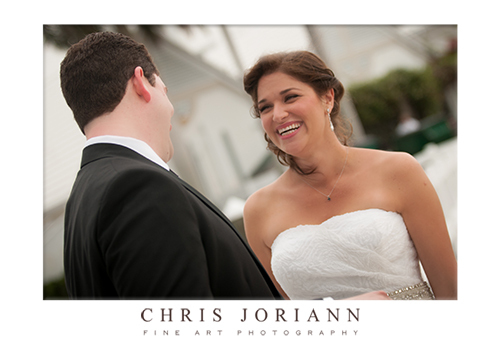 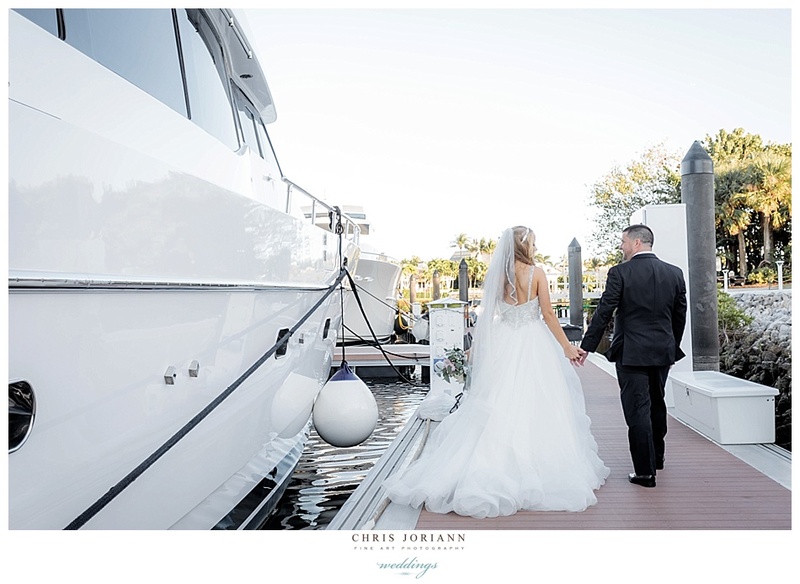 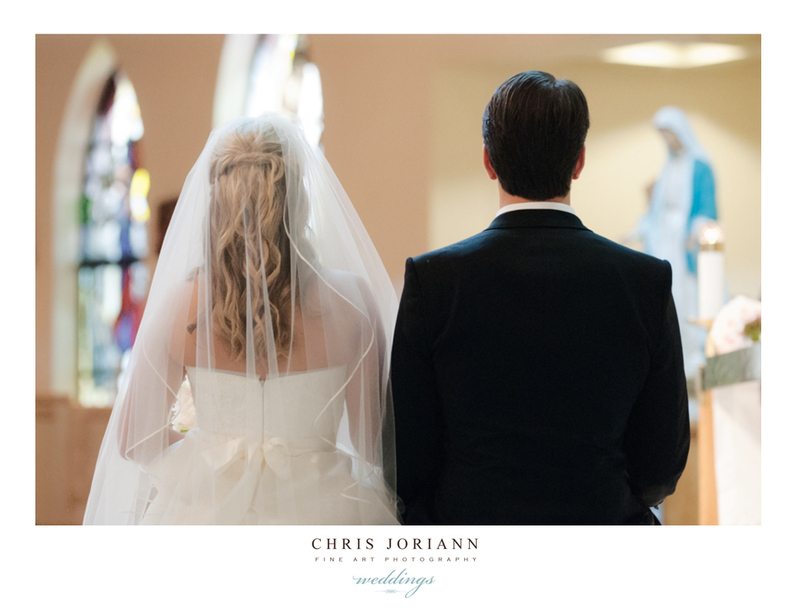 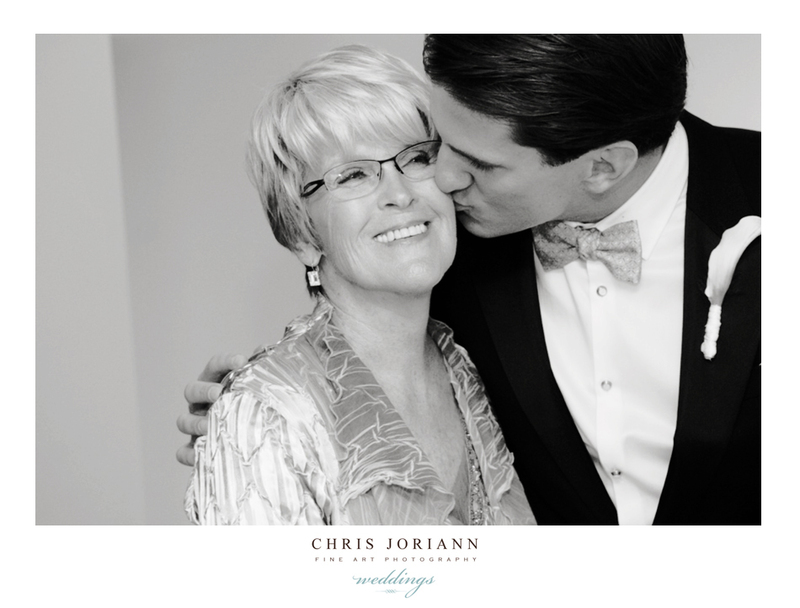 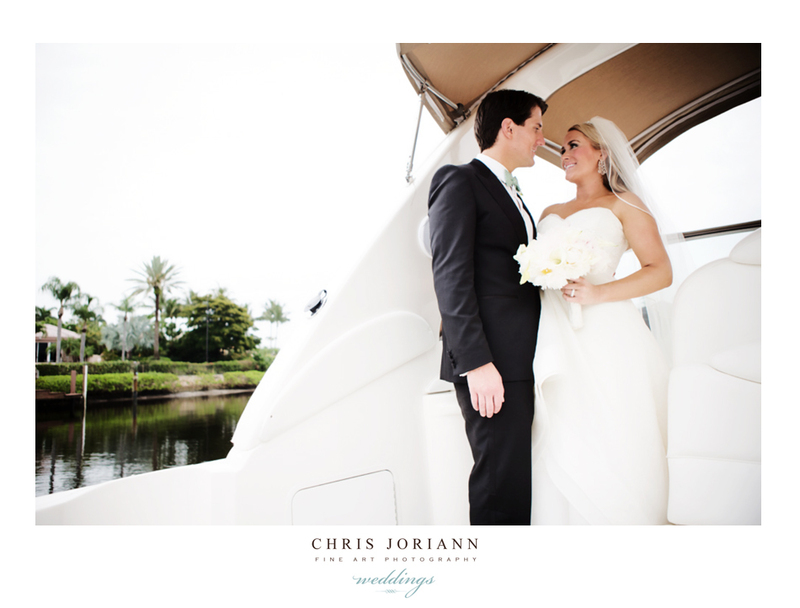 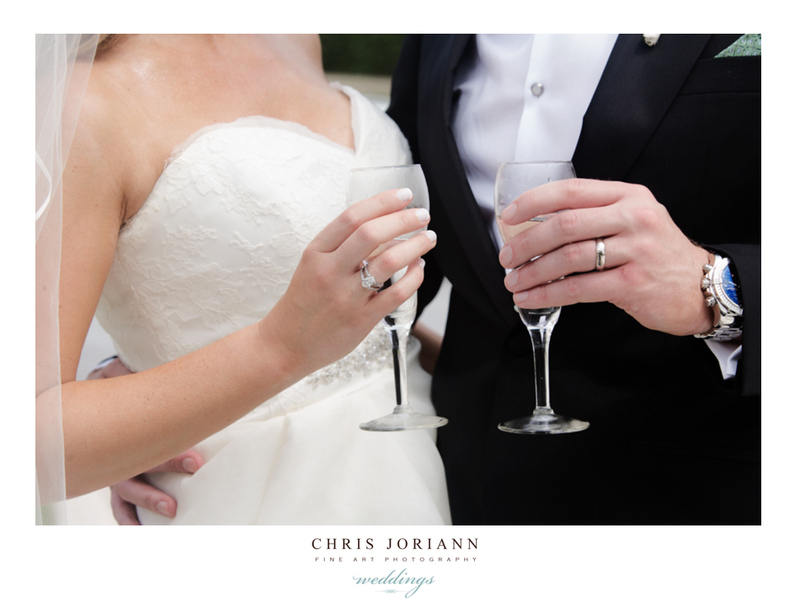 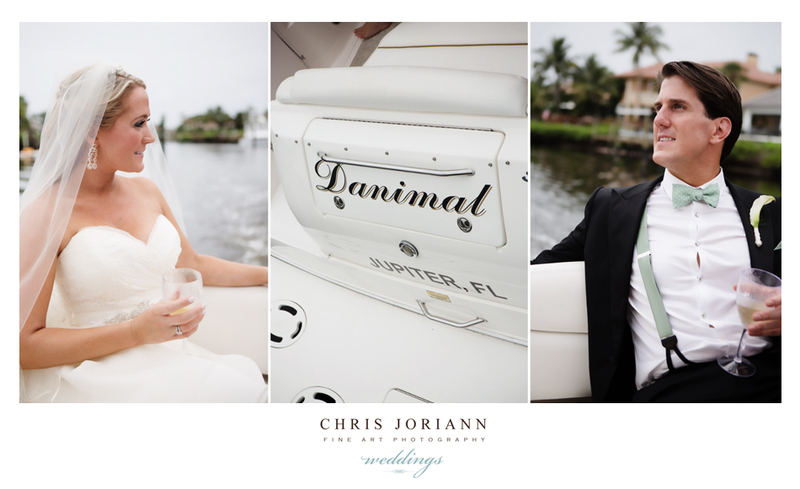 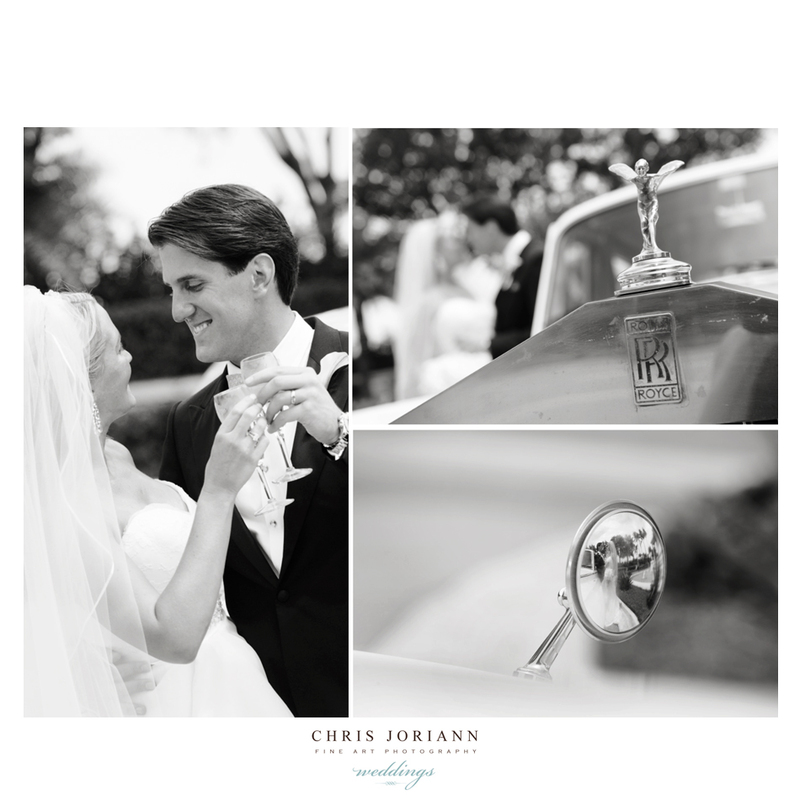 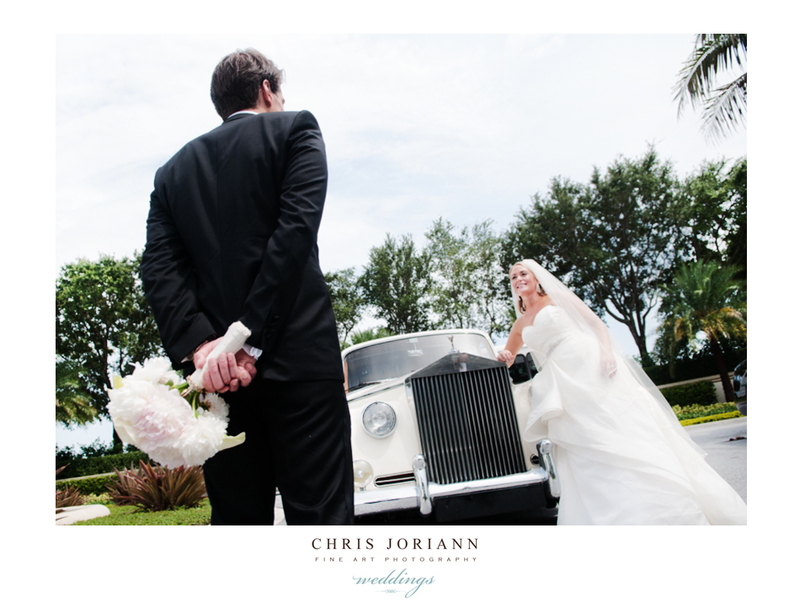 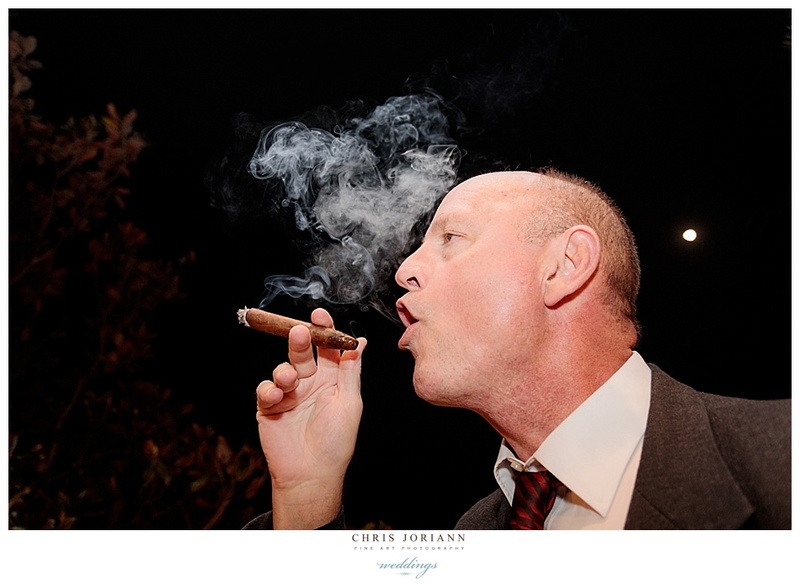 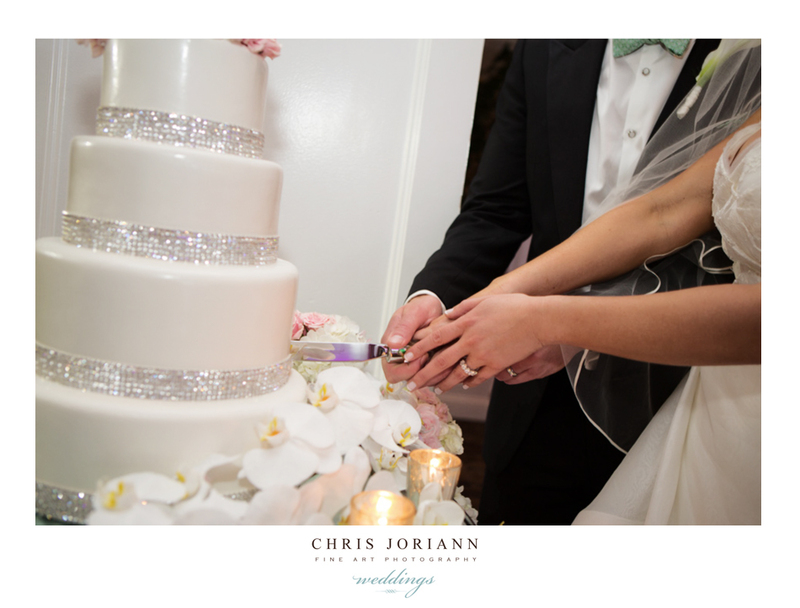 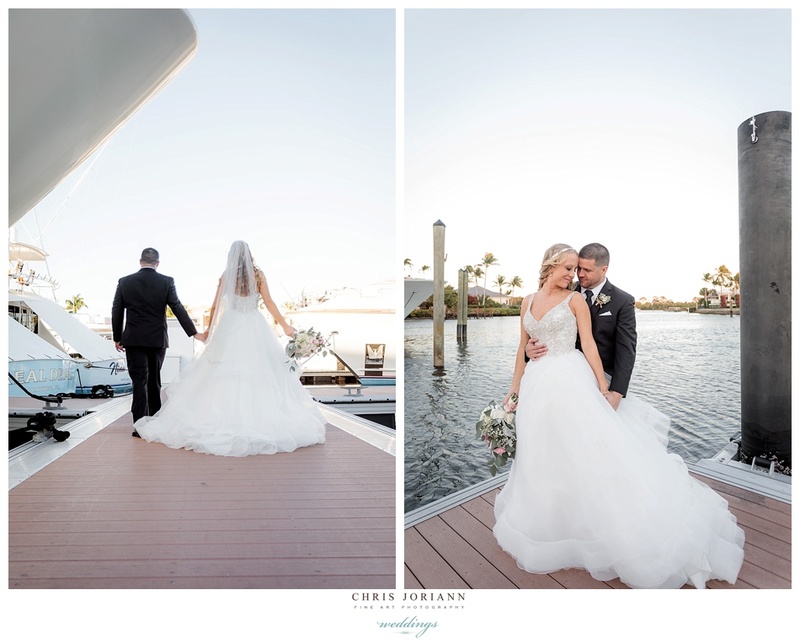 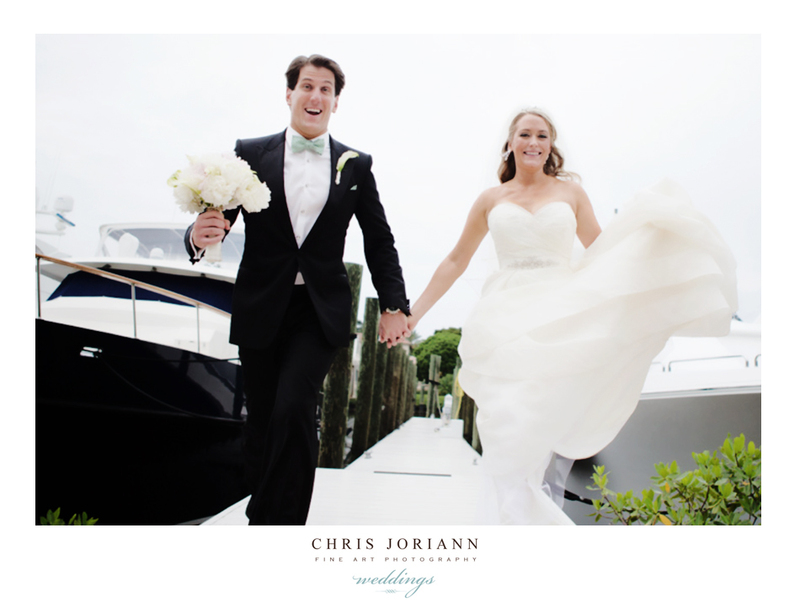 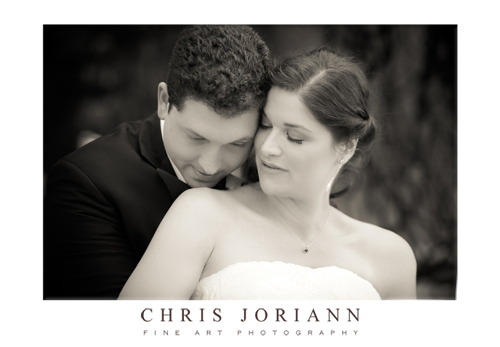 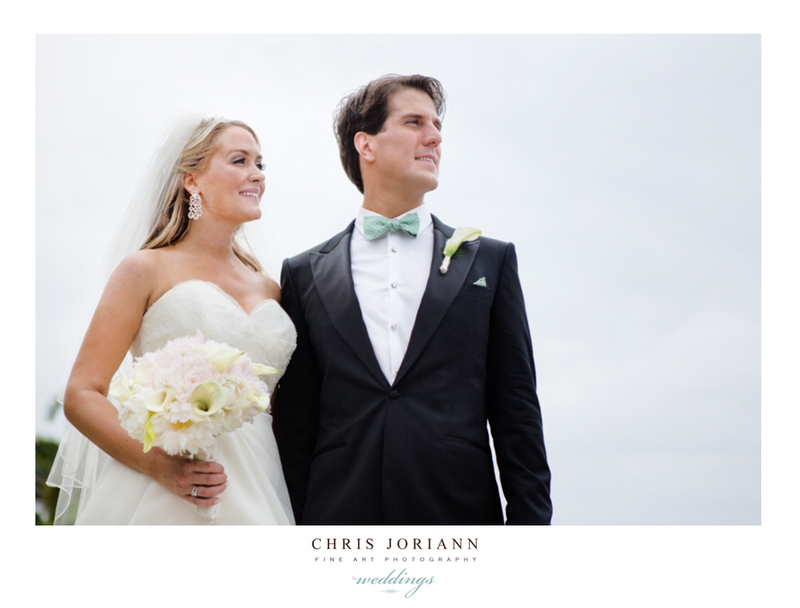 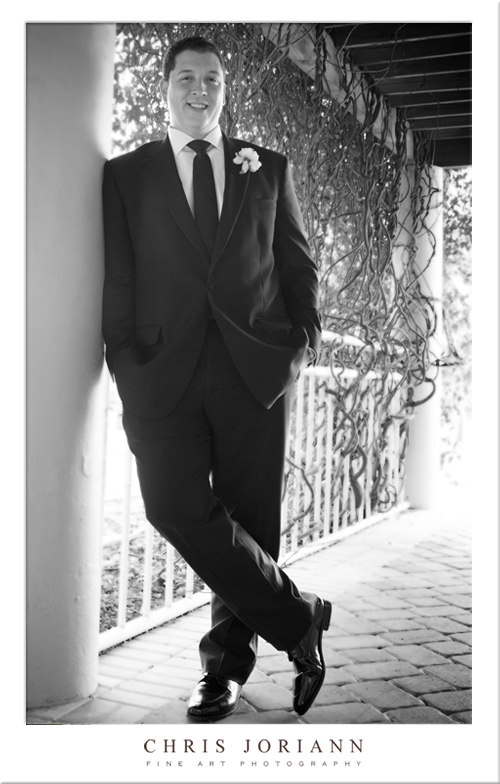 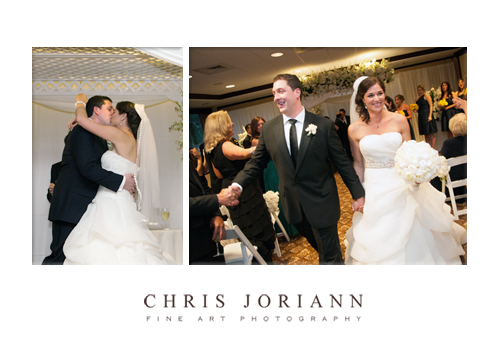 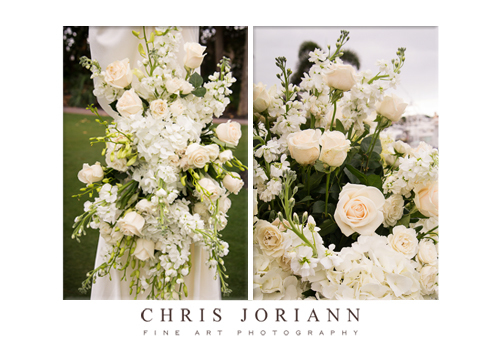 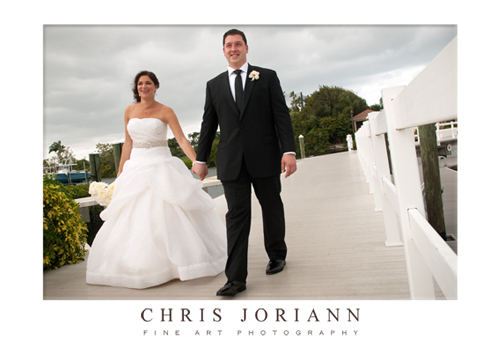 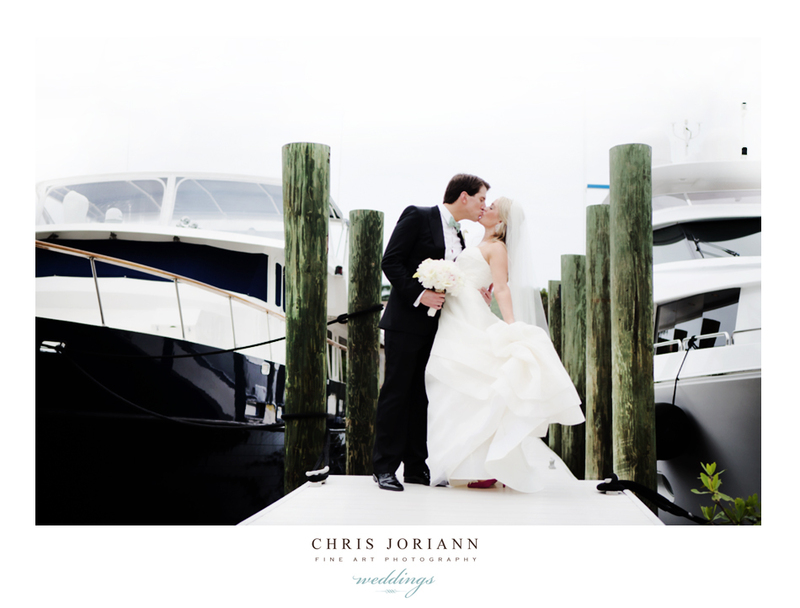 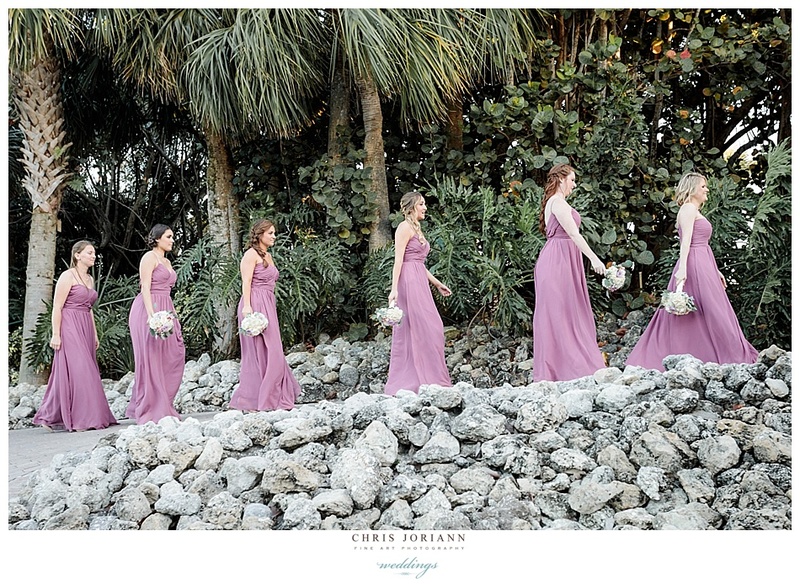 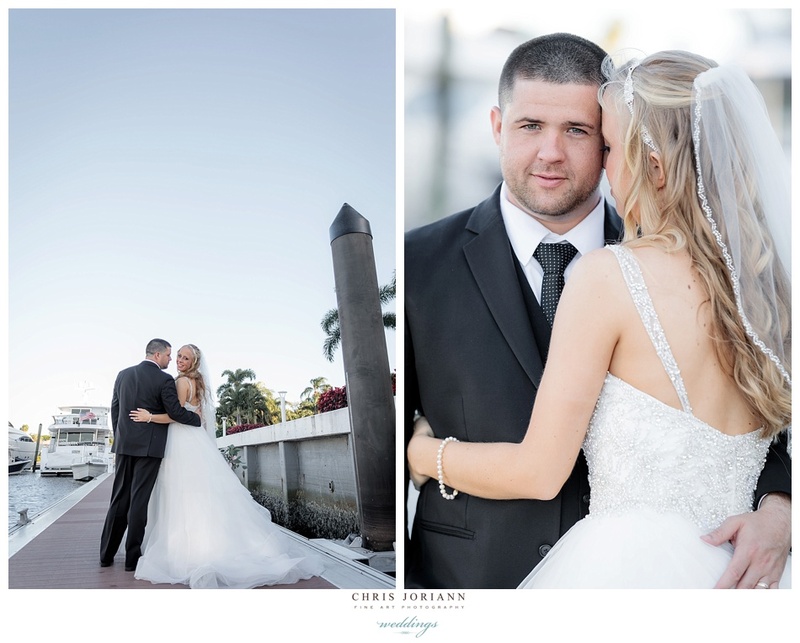 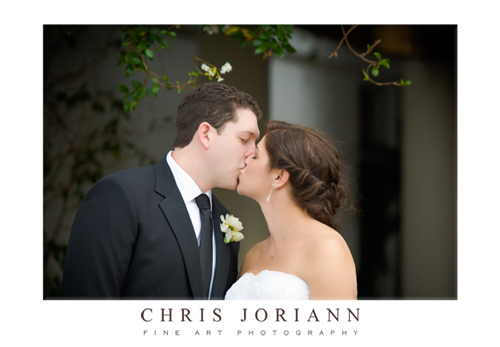 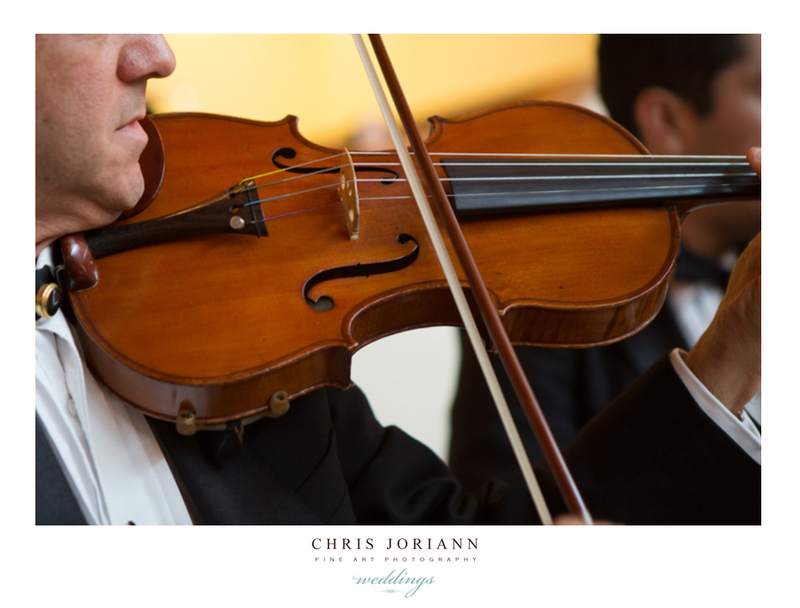 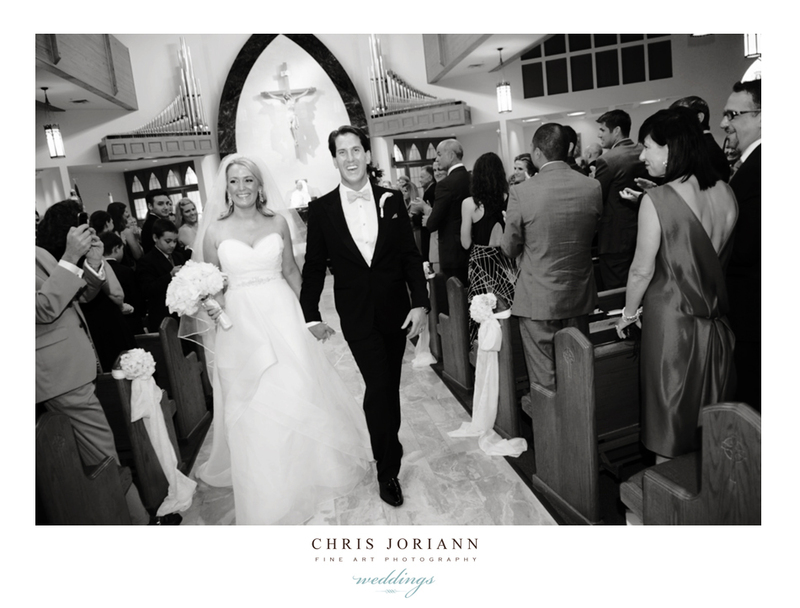 Nora + Marcus’ waterfront wedding, was held at the Club at Admiral’s Cove in Jupiter, overlooking the intracoastal. 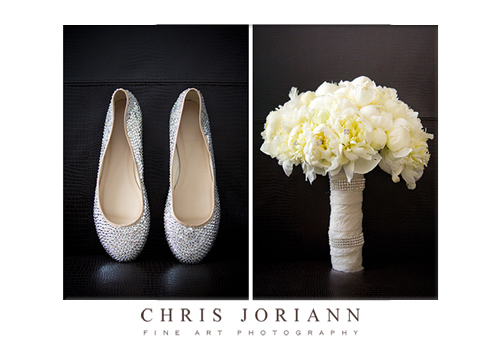 The bride wore a couture gown by Essence of Australia and sparkling rhinestone flats by Betsey Johnson). 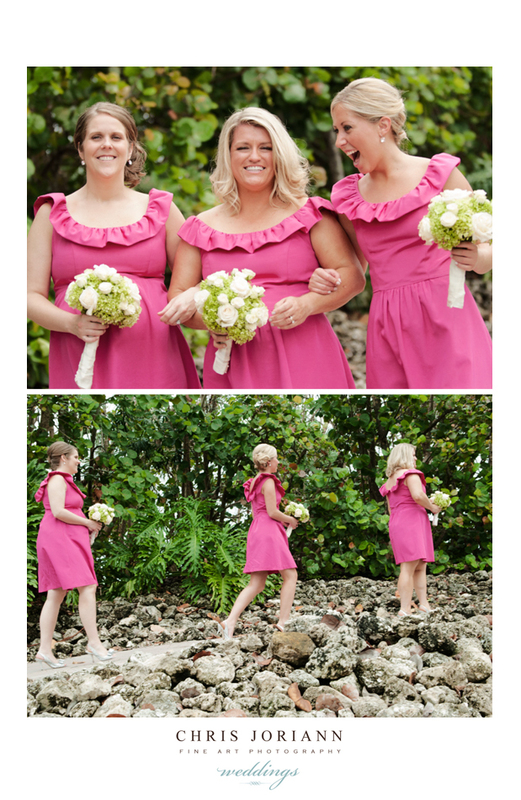 Her bridemaids’ donned dusty rose chiffon. 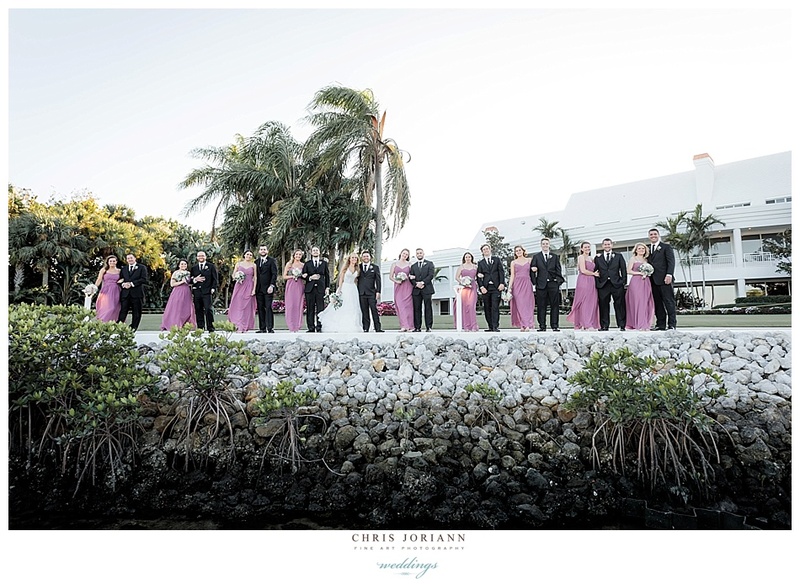 Afterwards, Admirals Cove hosted the reception. 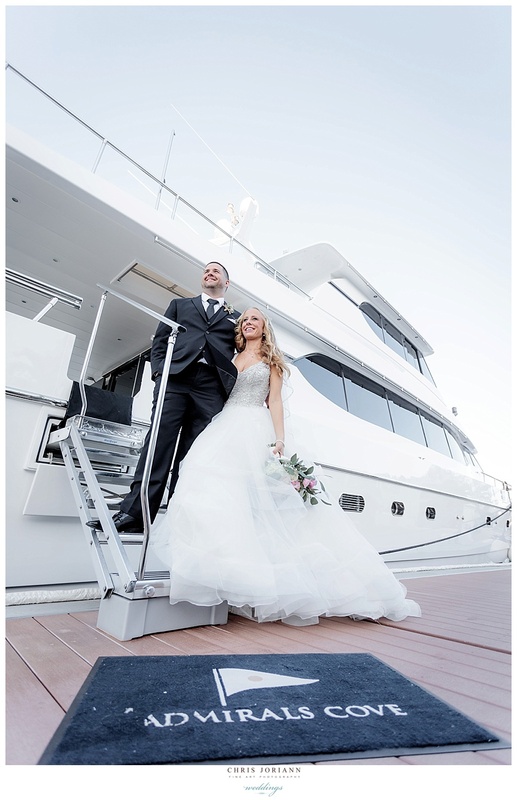 Surrounded by mega yachts, the newlyweds and their bridal party enjoyed a photoshoot by the water as guests had cocktails by the pool. 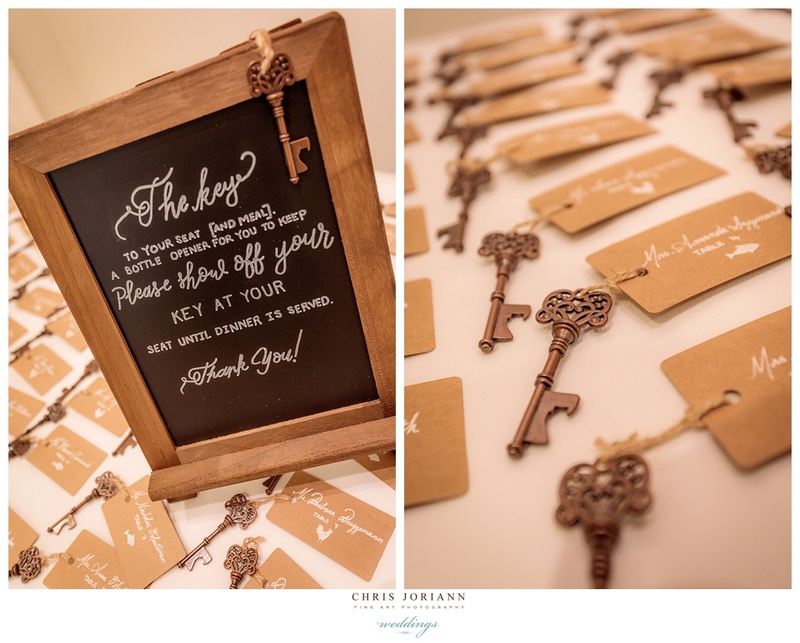 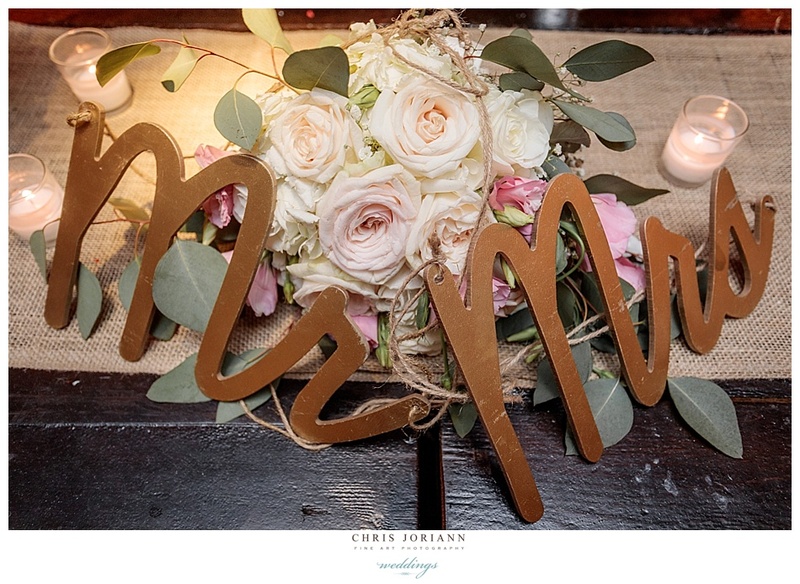 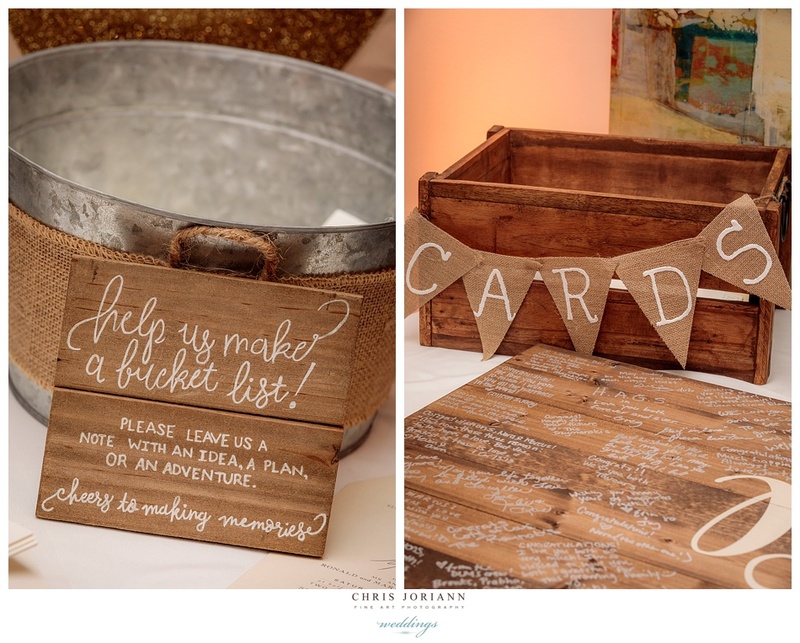 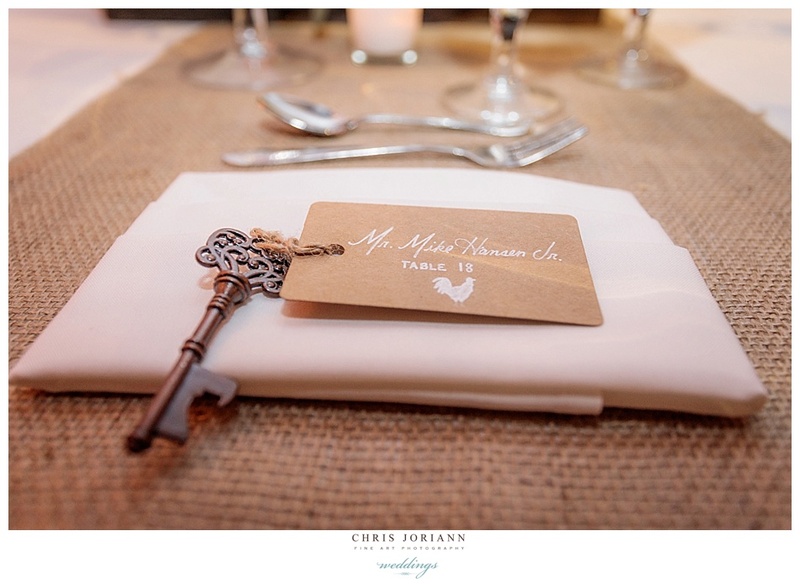 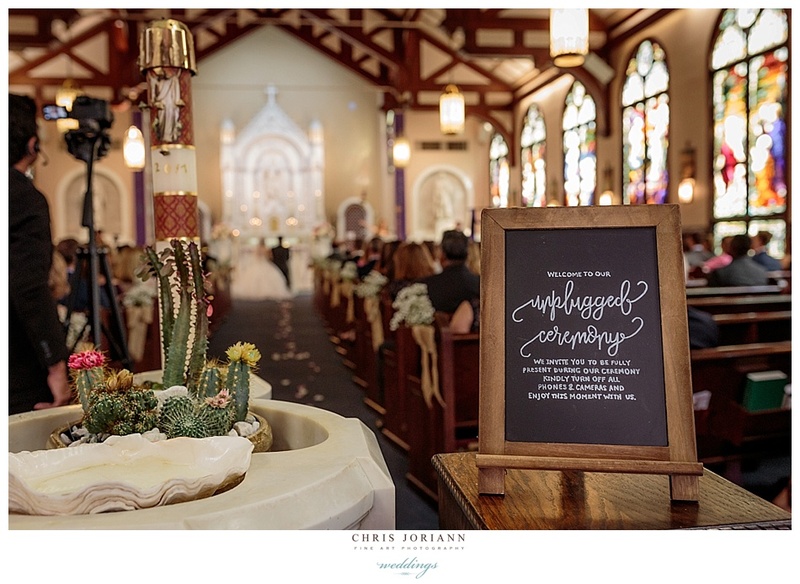 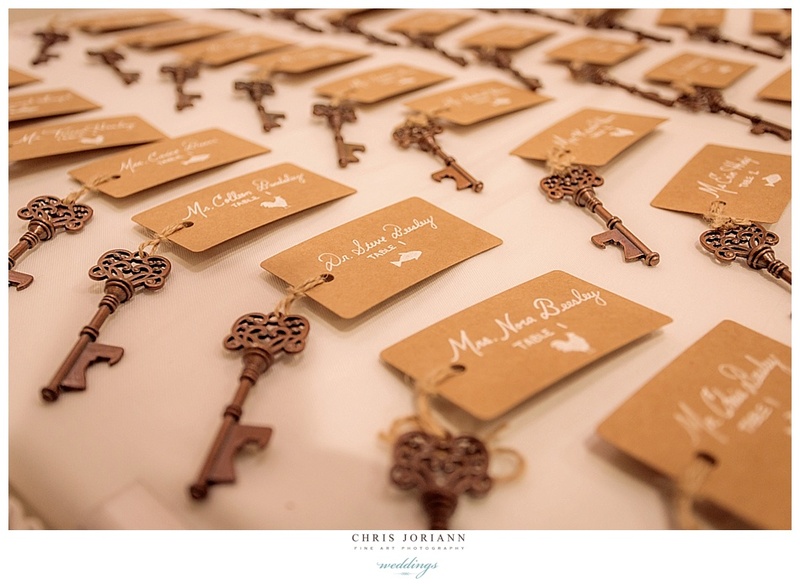 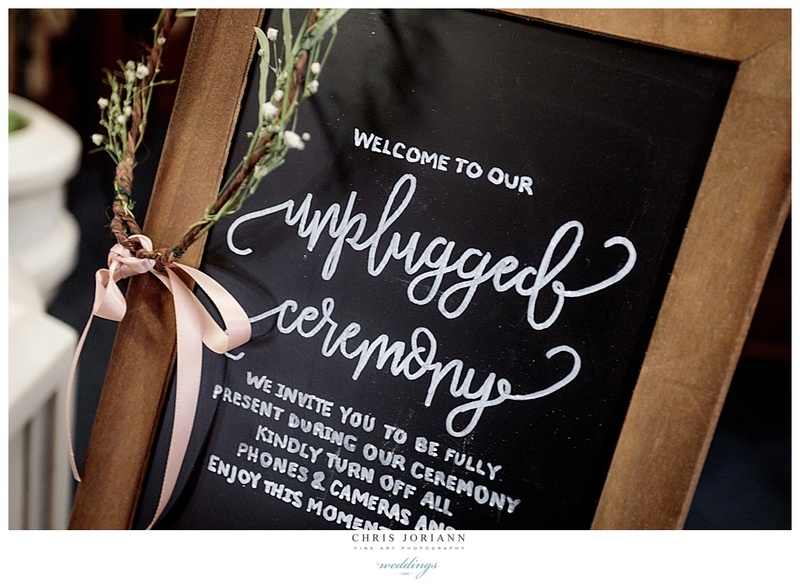 The reception space featured a romantic theme mixed w. shiplap, burlap and keys. 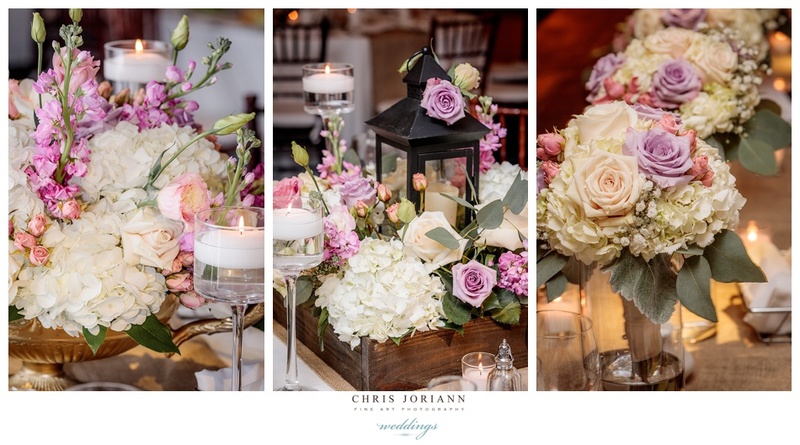 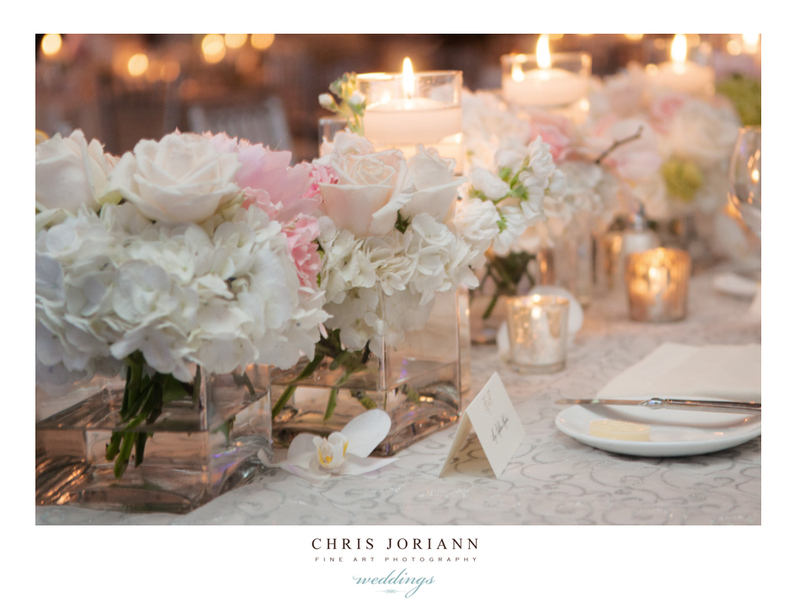 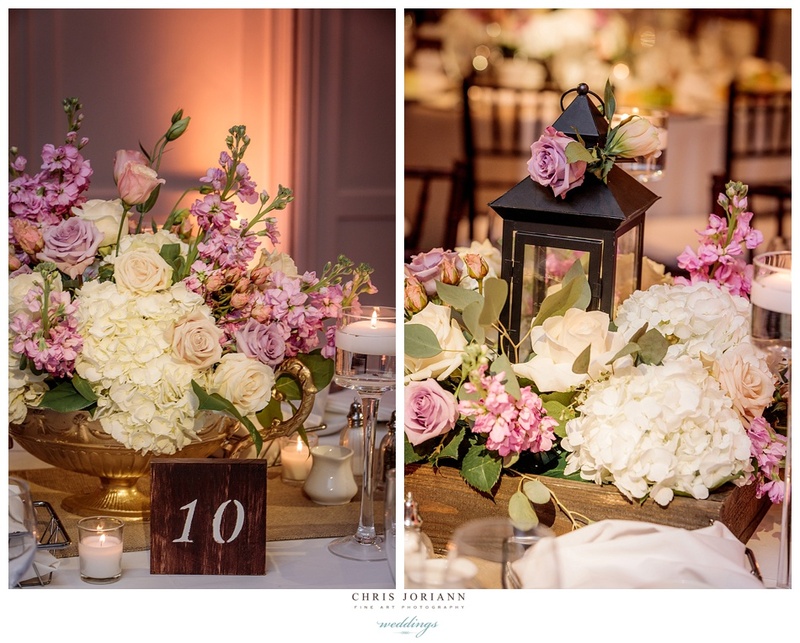 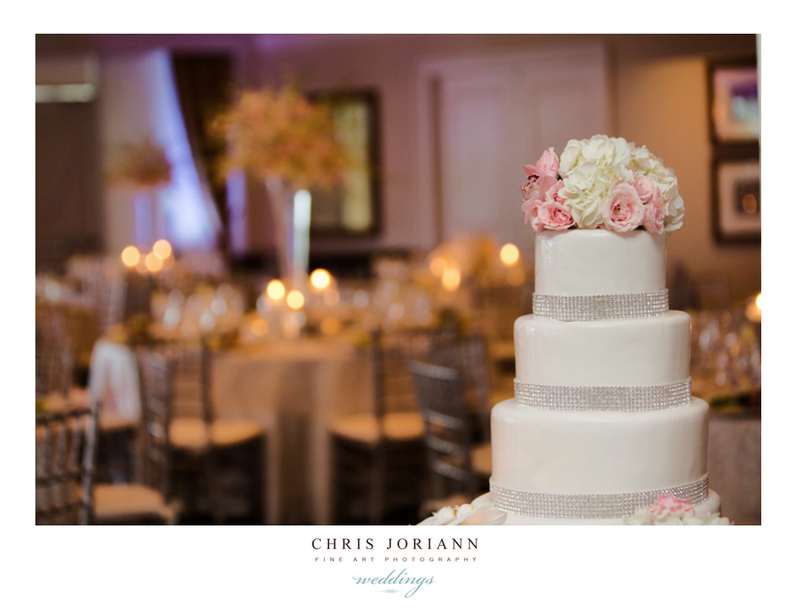 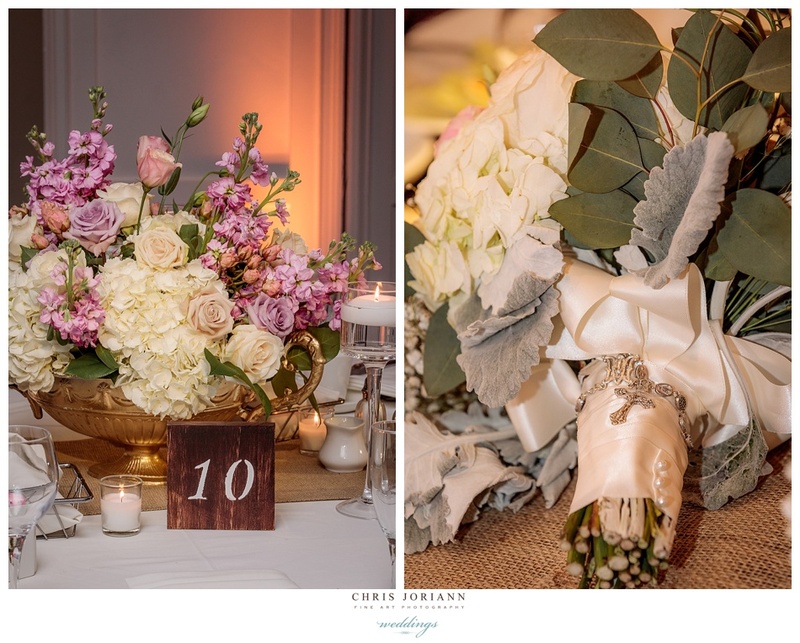 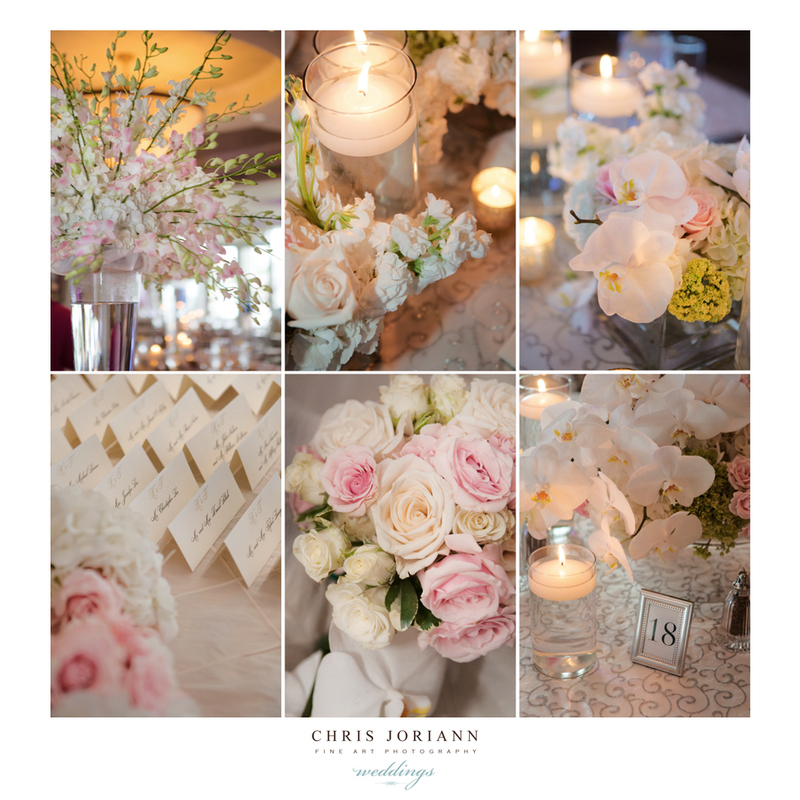 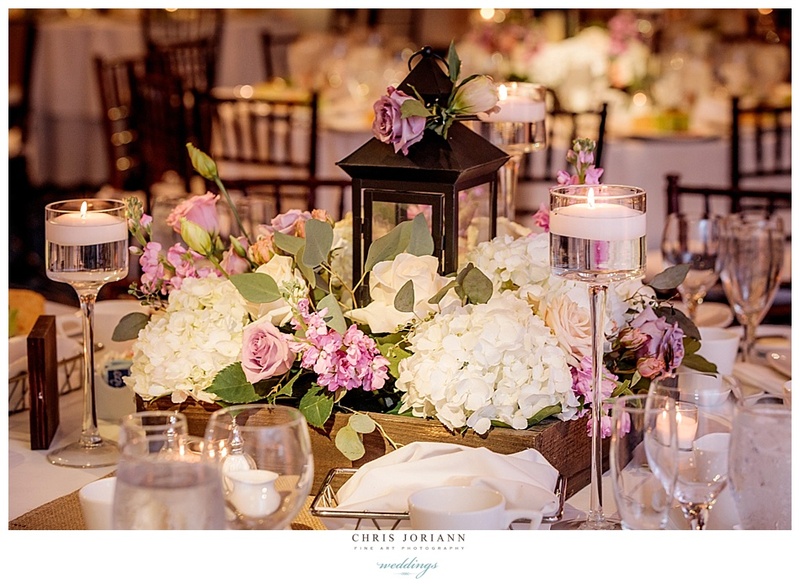 Décor mixed dark wooden tables with espresso chiavaris, and tables w. lanterns + urns, and an array of eucalyptus, and pastel roses. 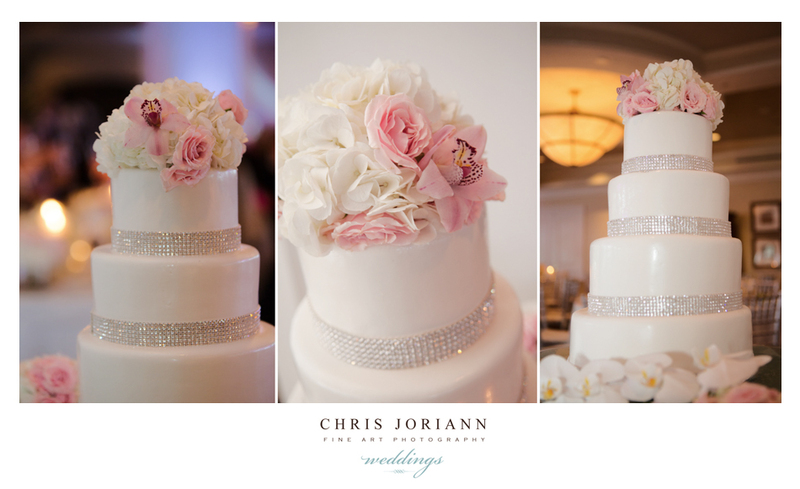 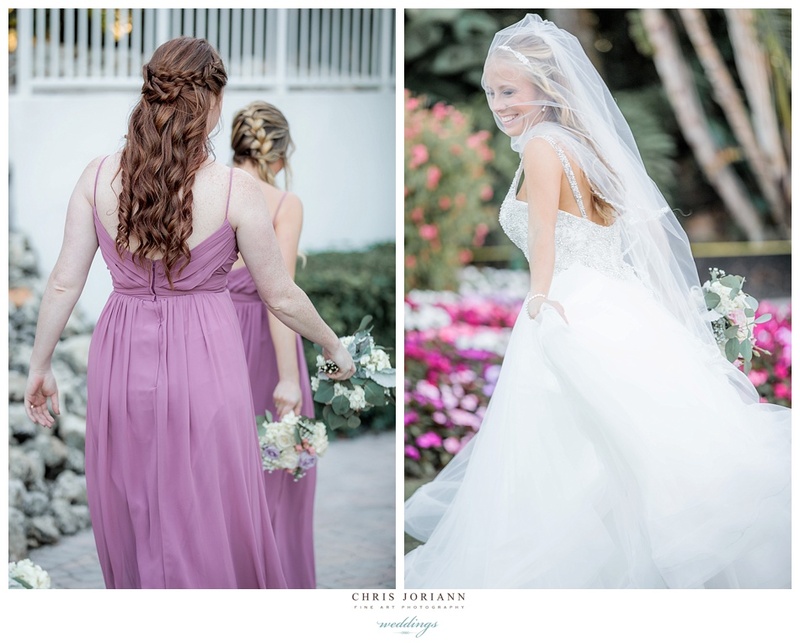 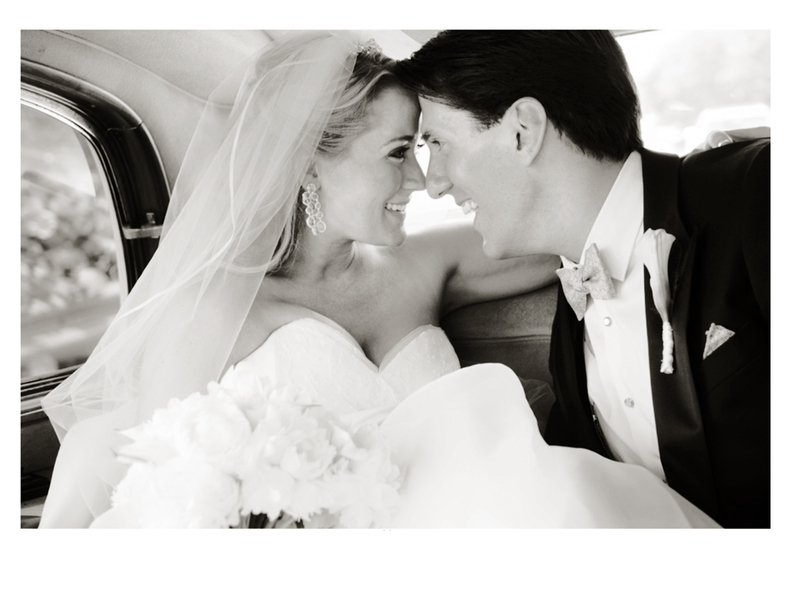 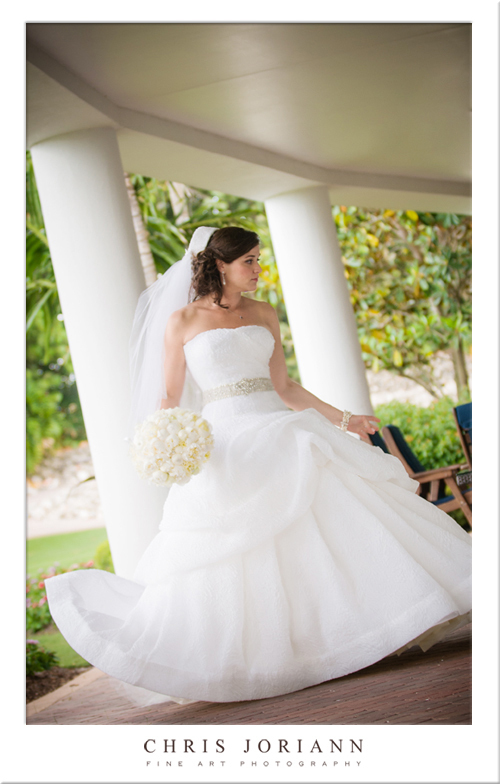 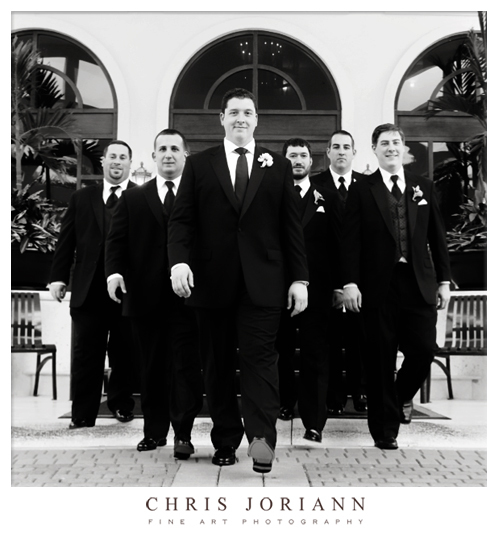 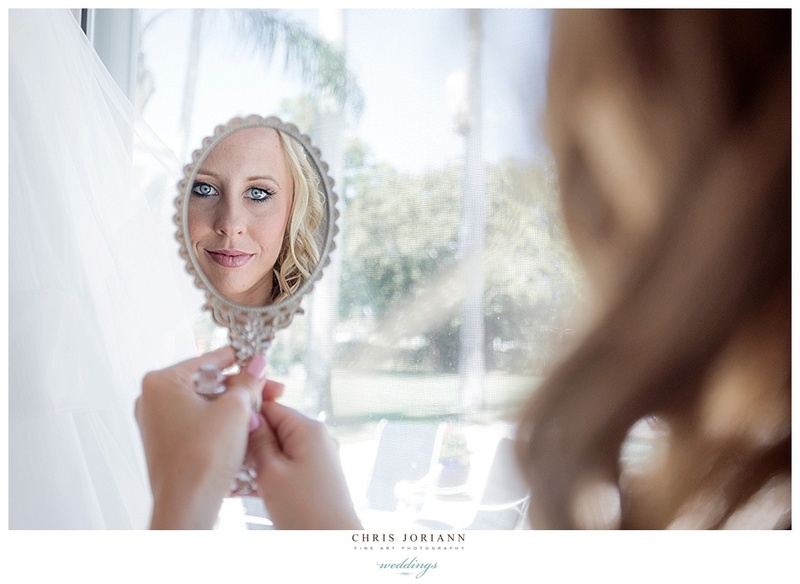 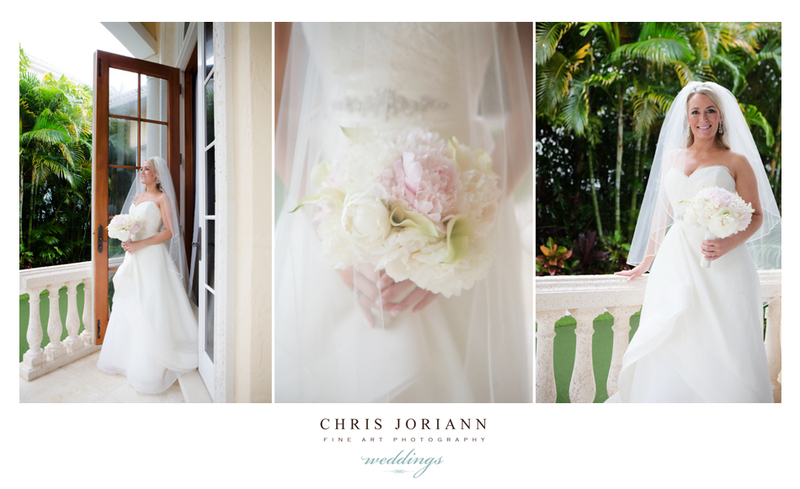 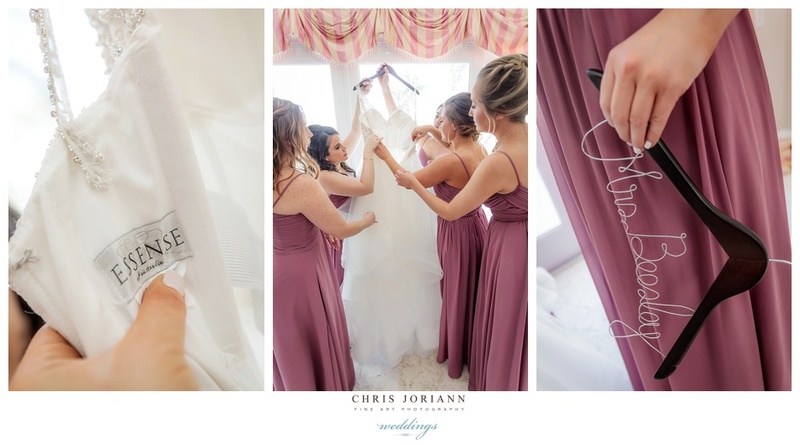 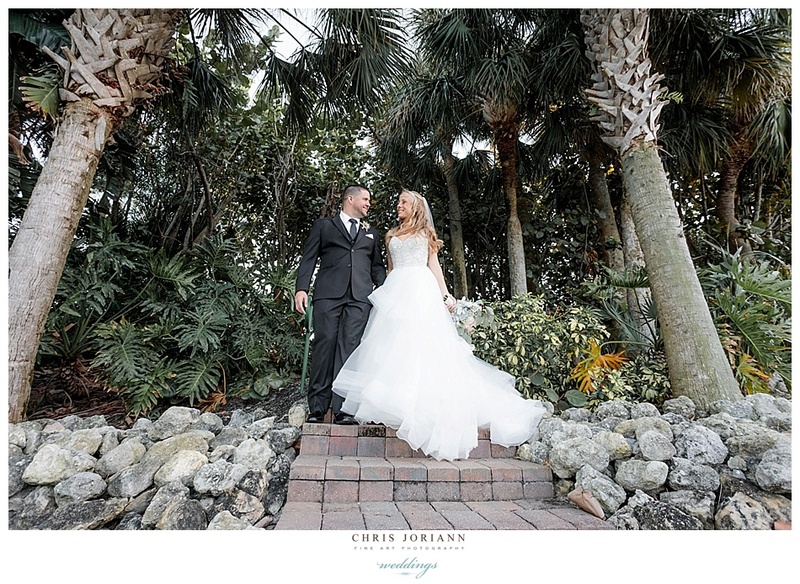 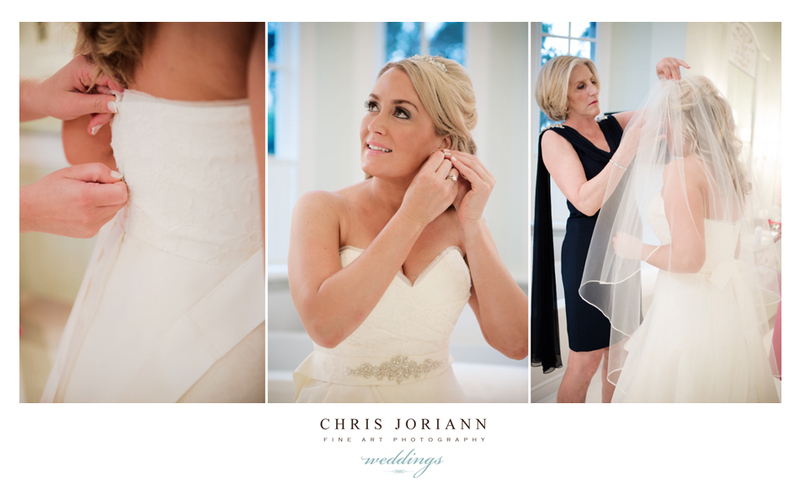 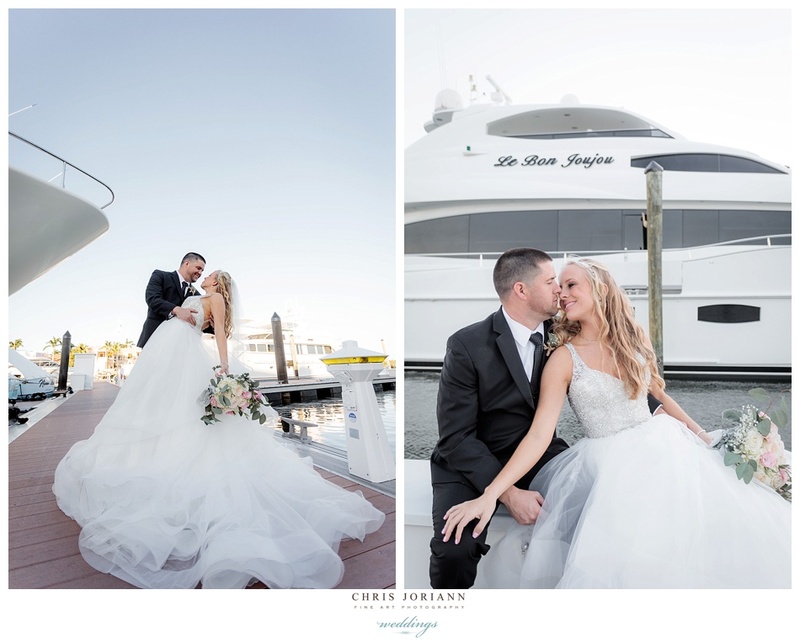 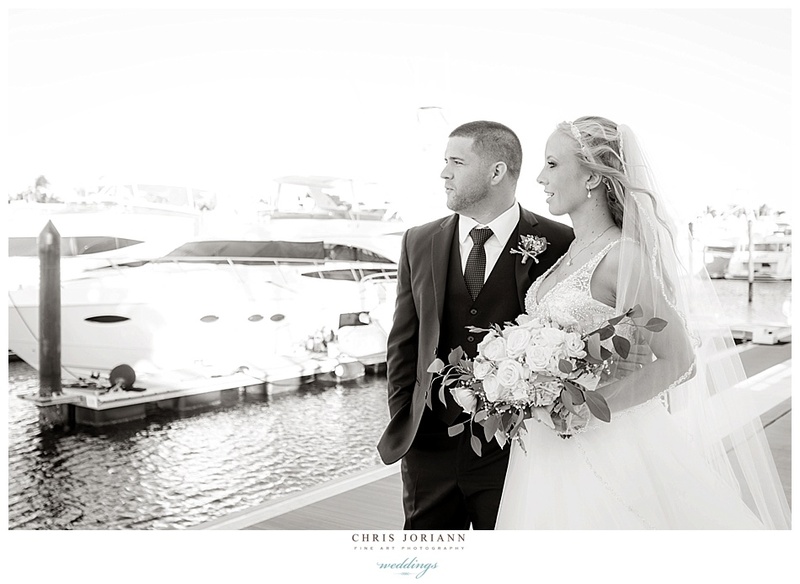 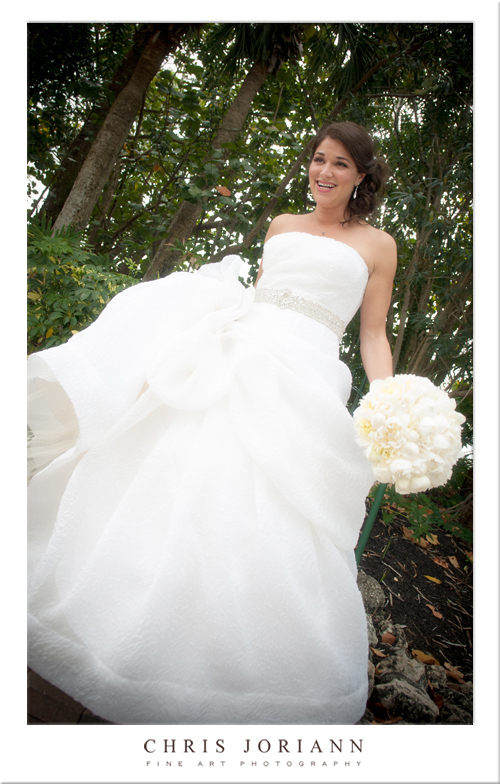 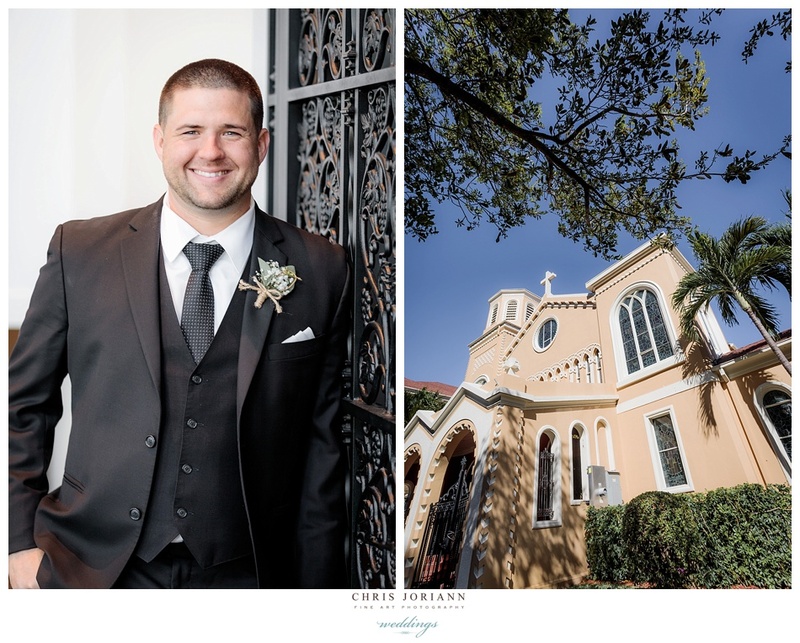 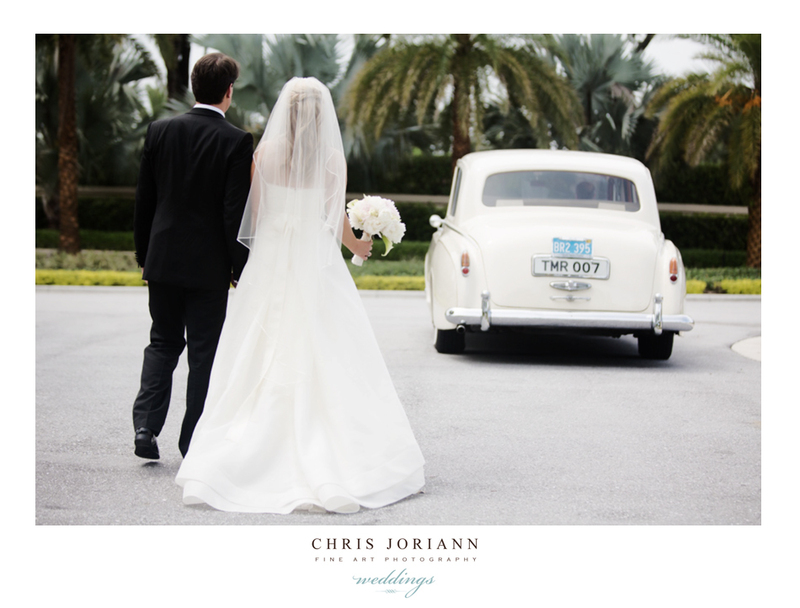 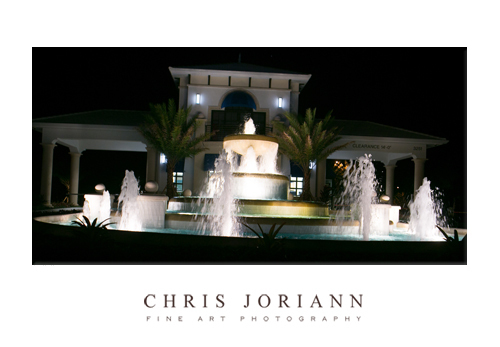 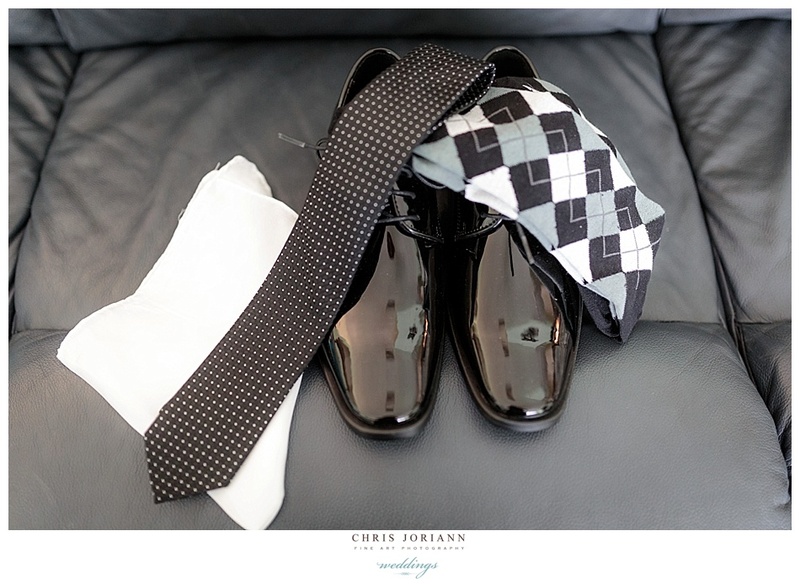 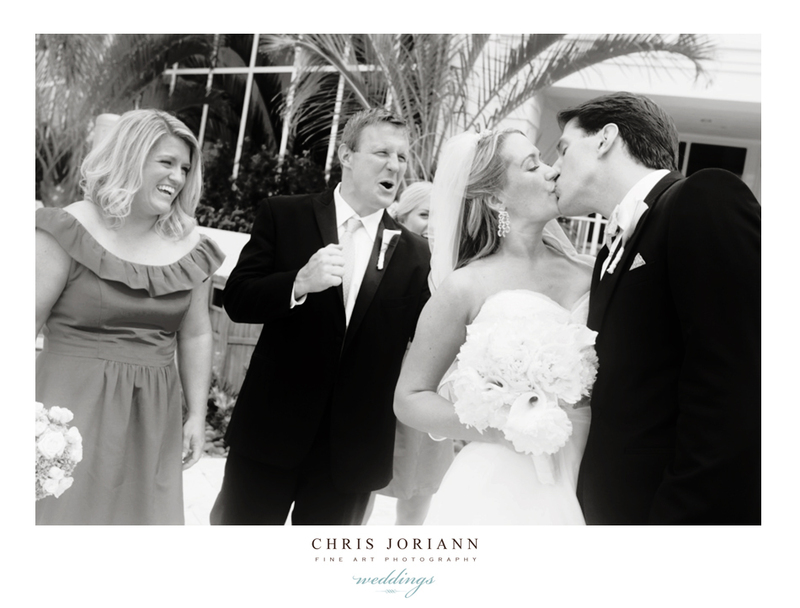 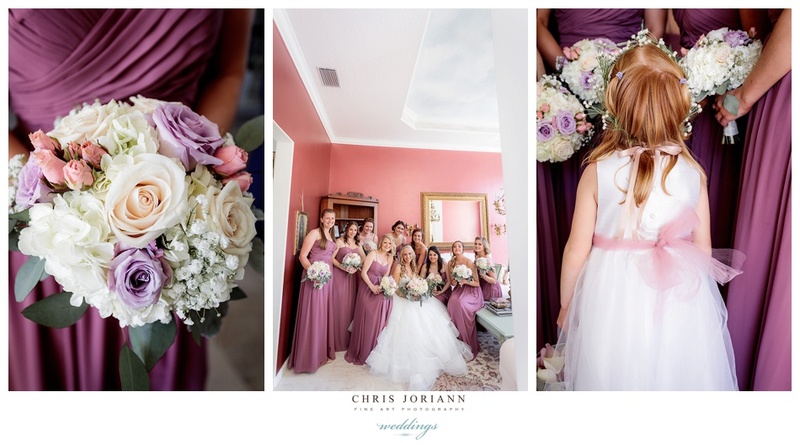 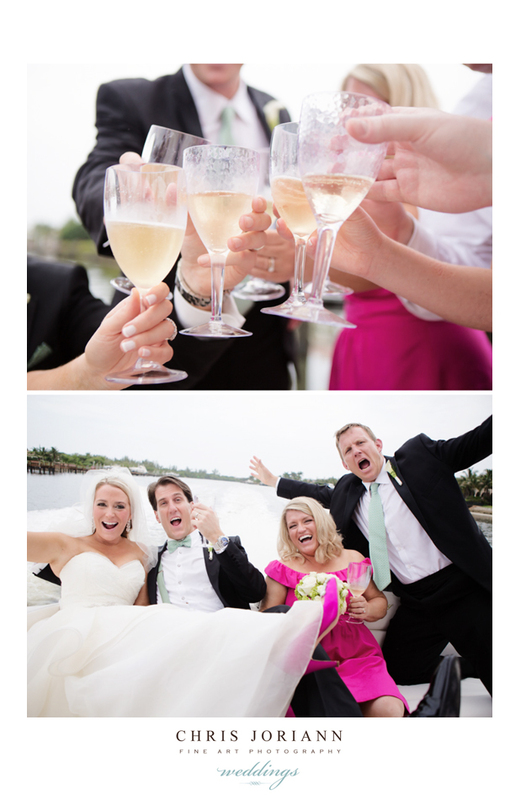 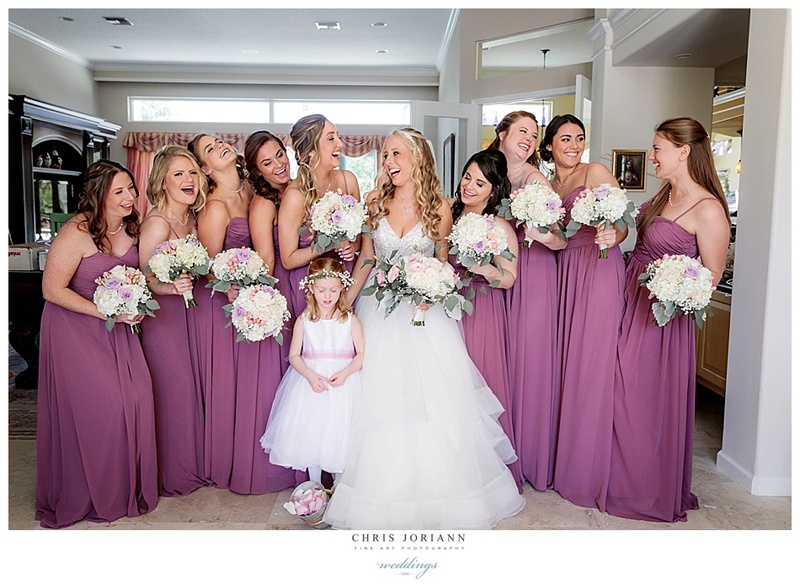 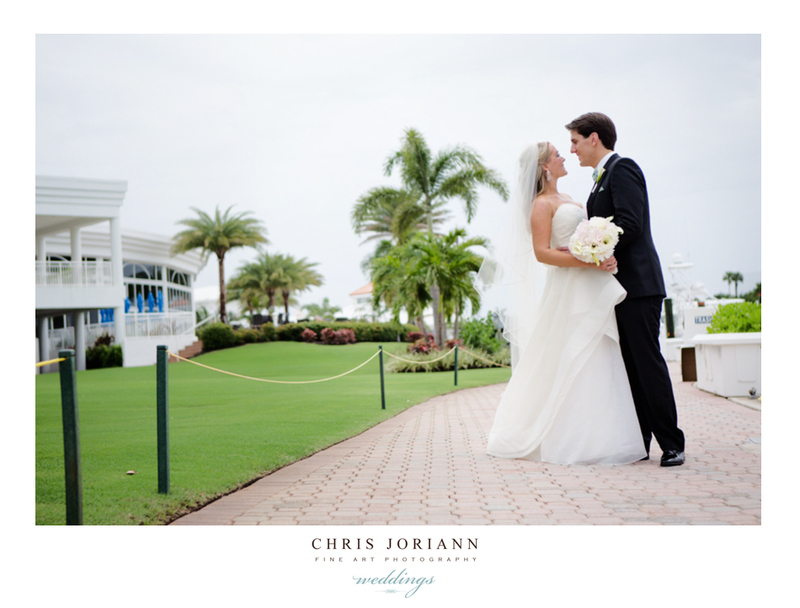 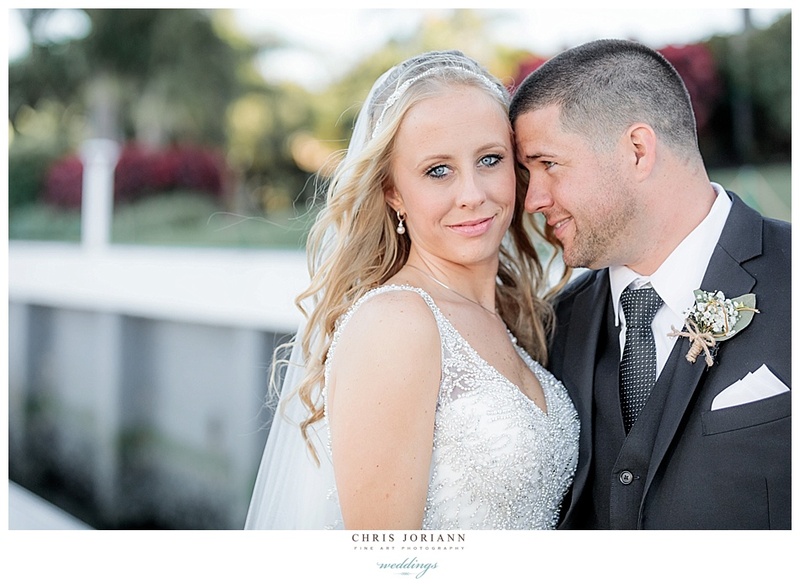 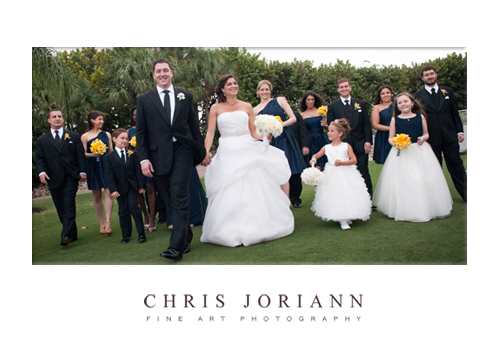 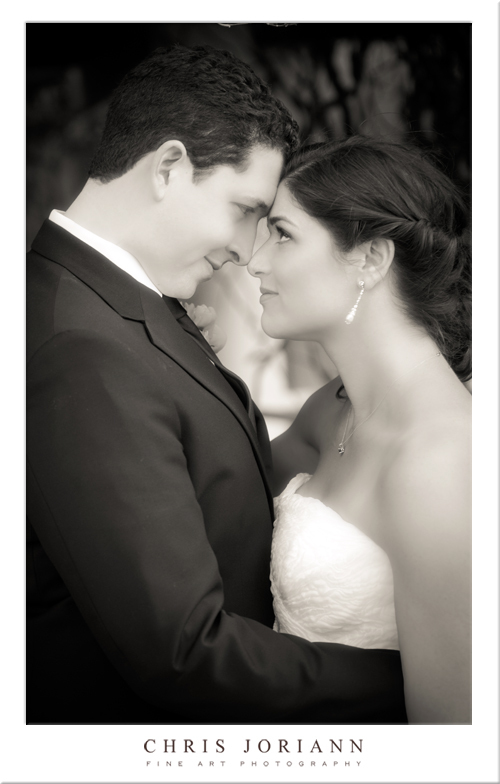 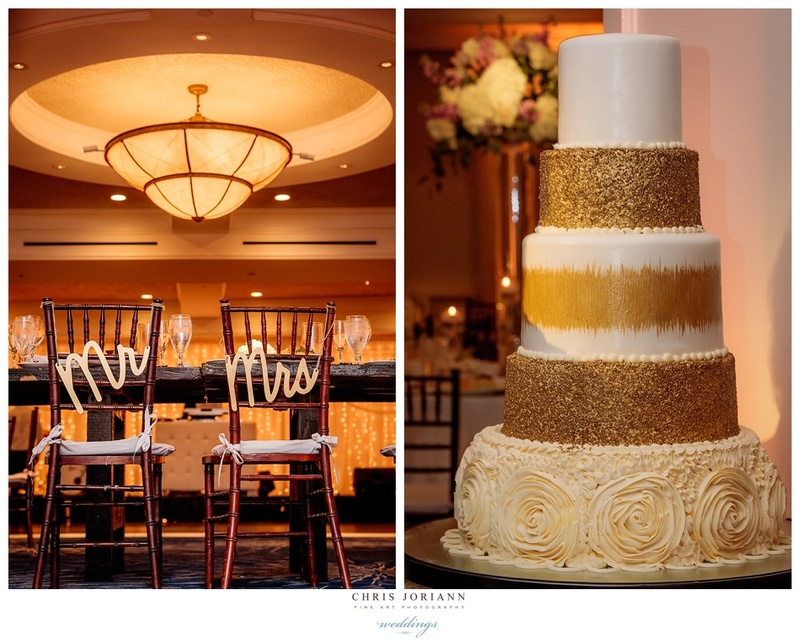 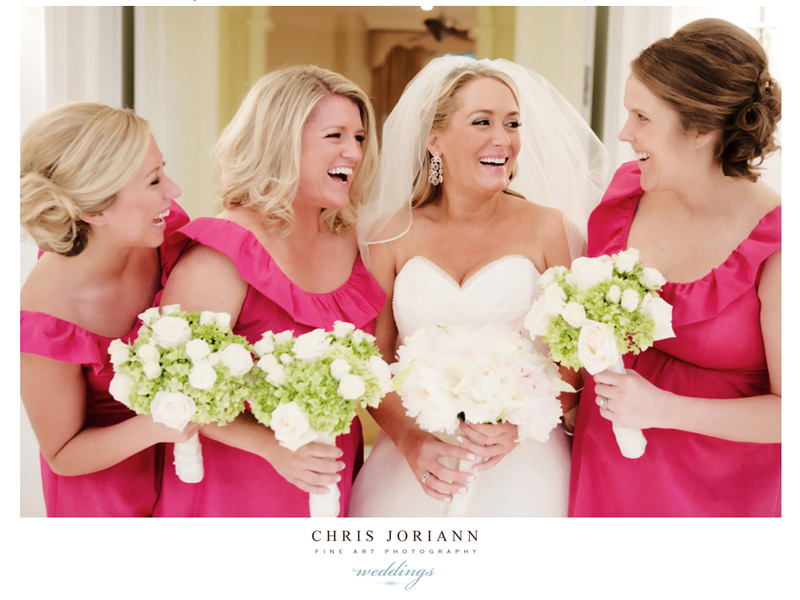 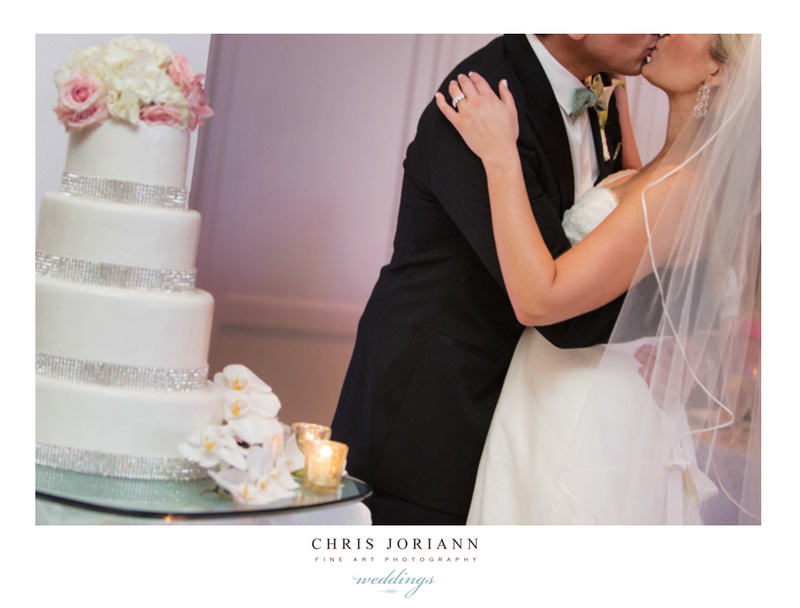 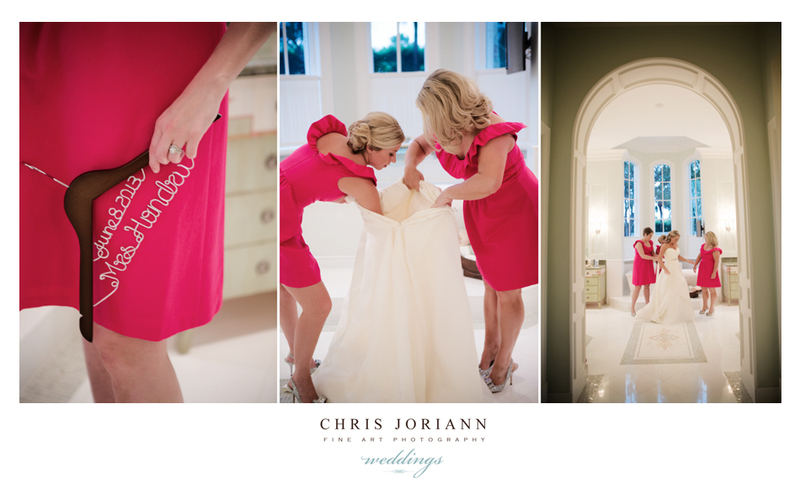 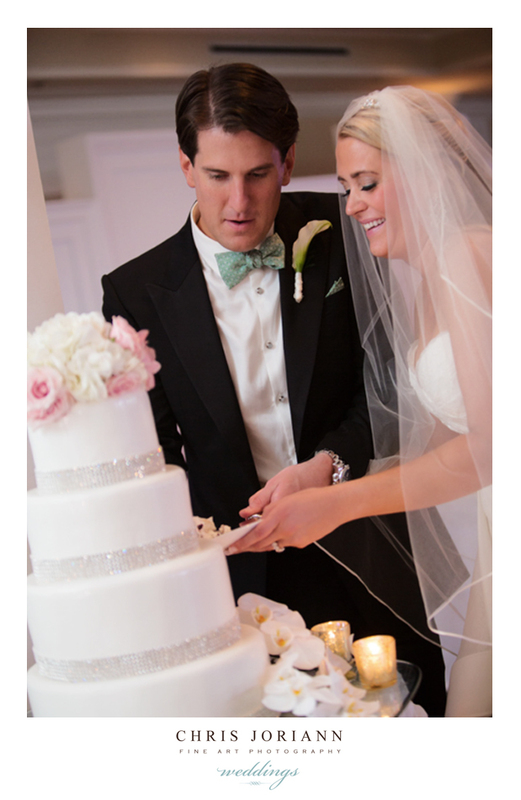 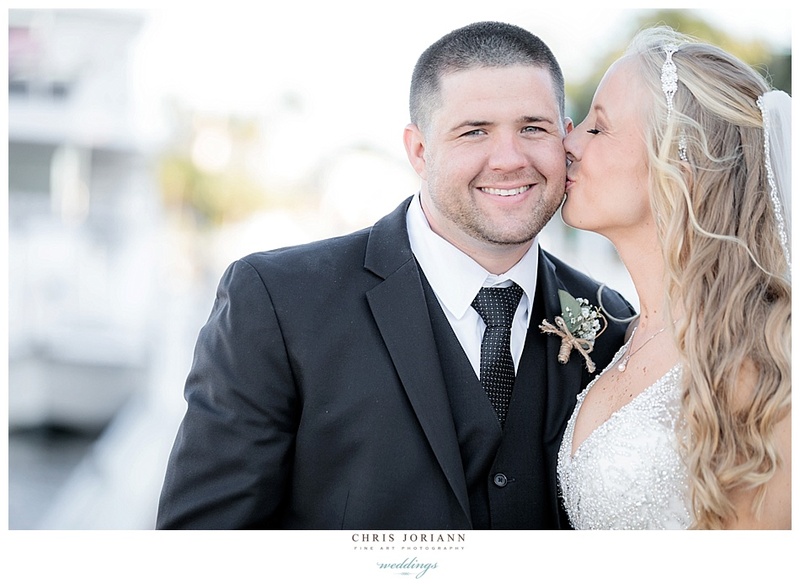 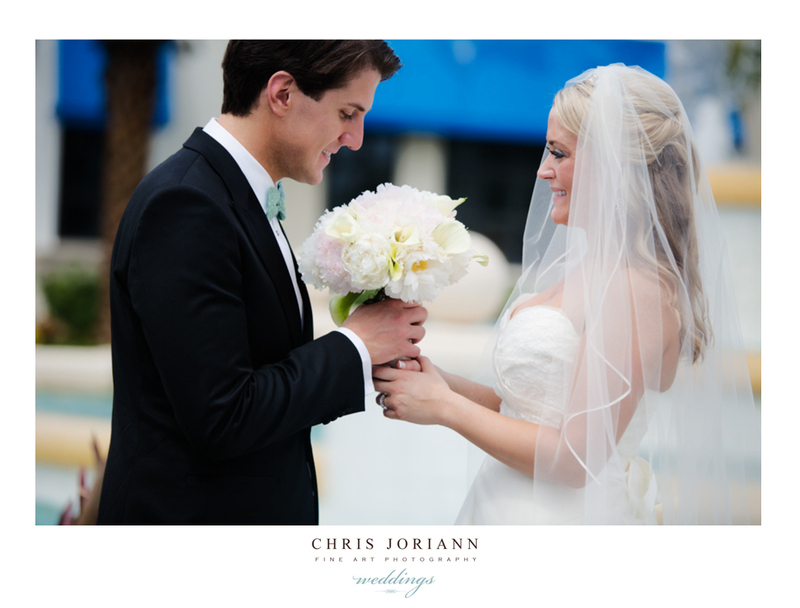 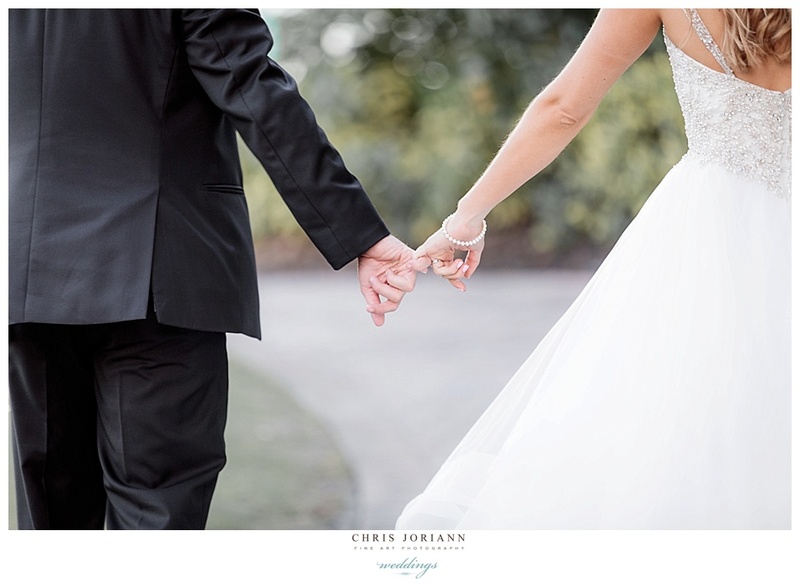 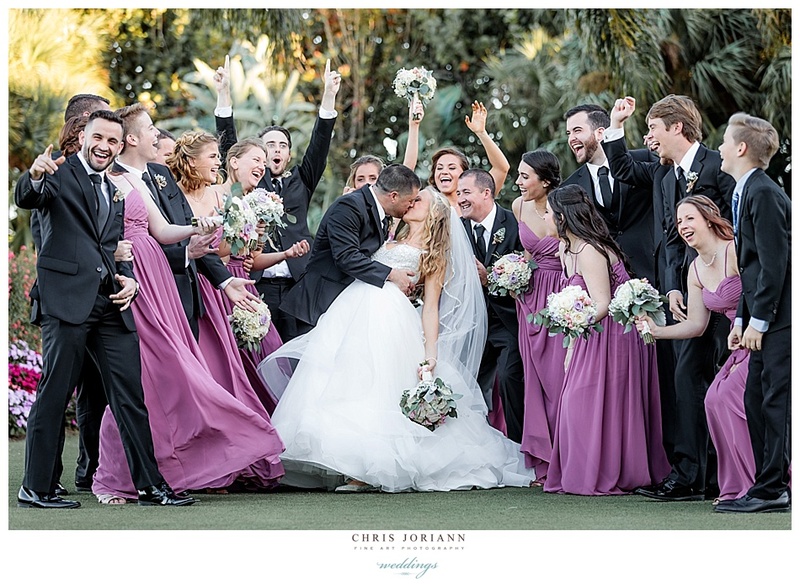 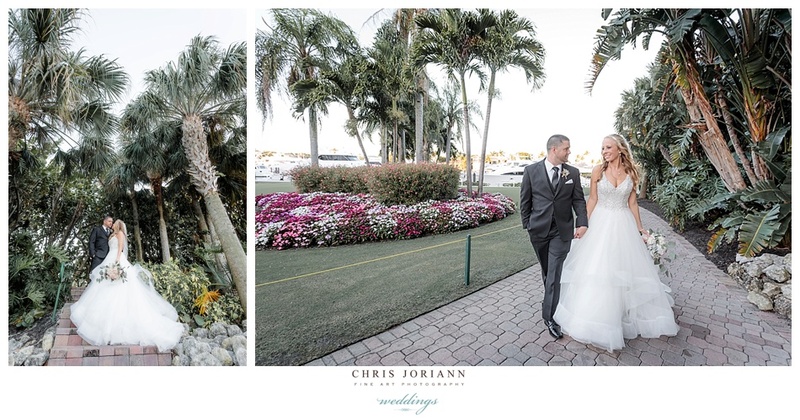 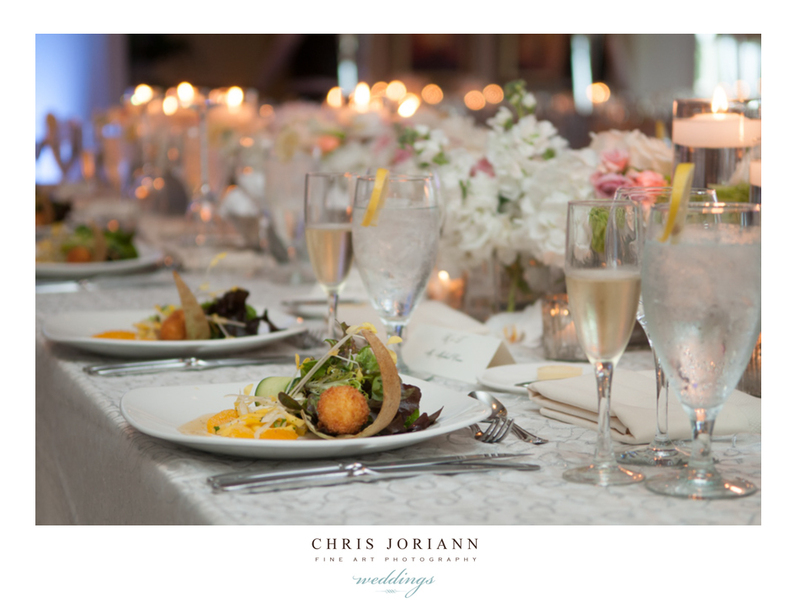 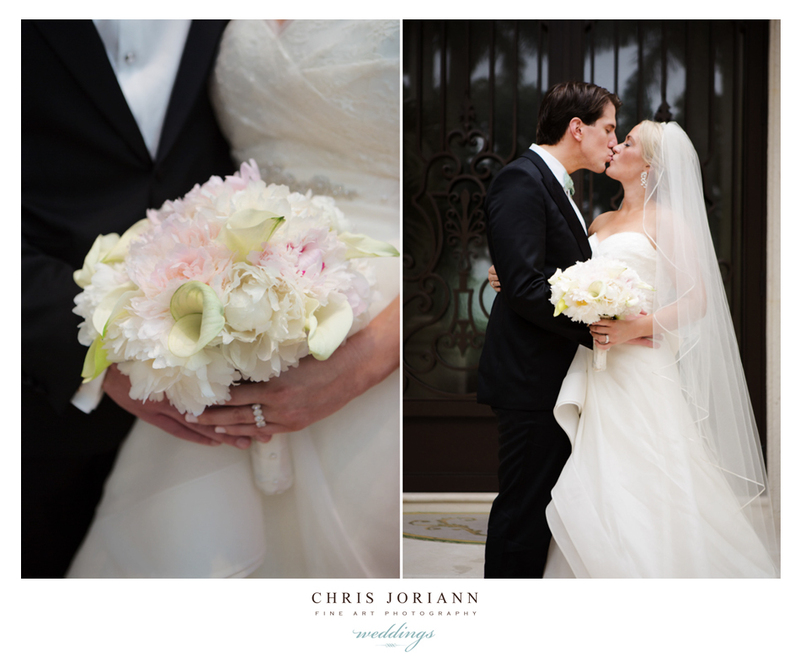 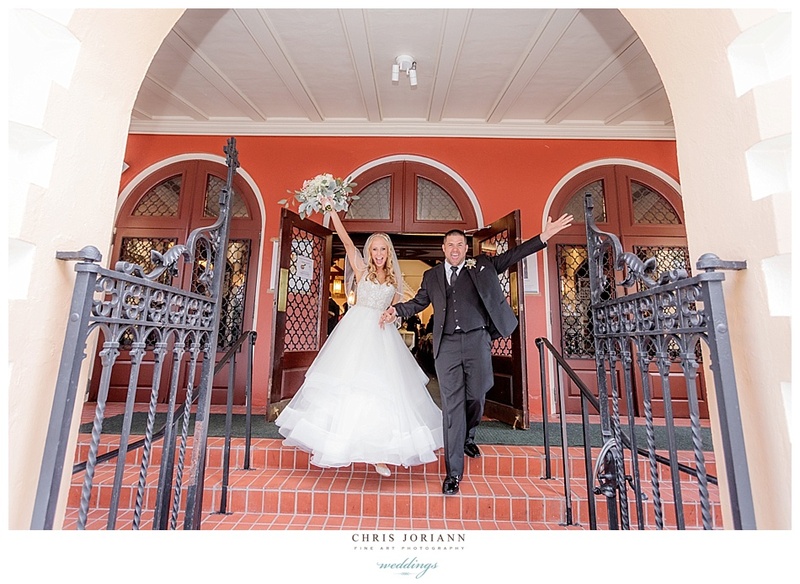 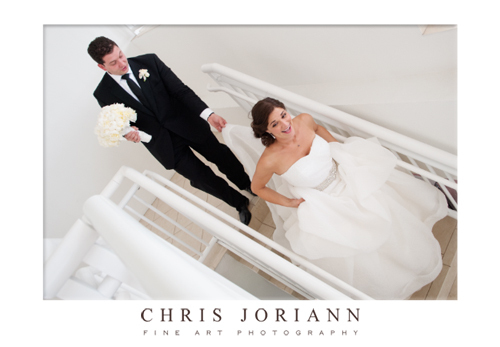 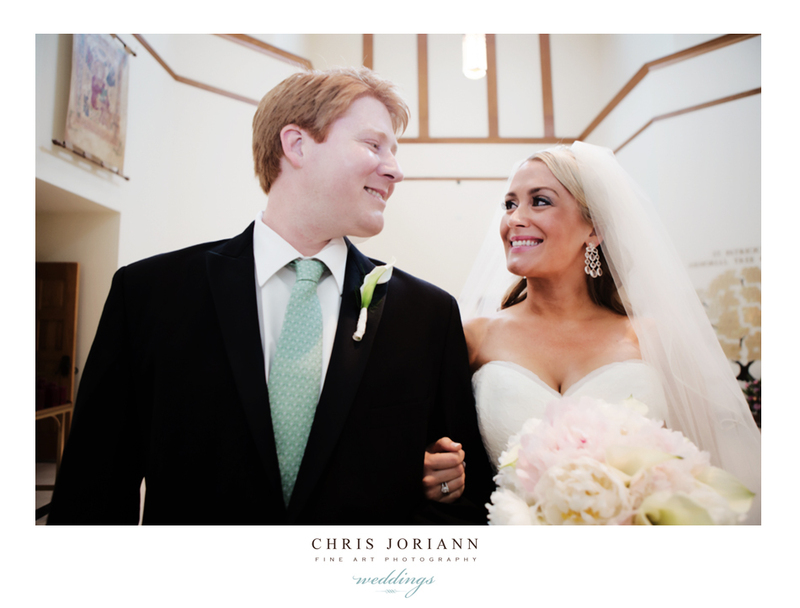 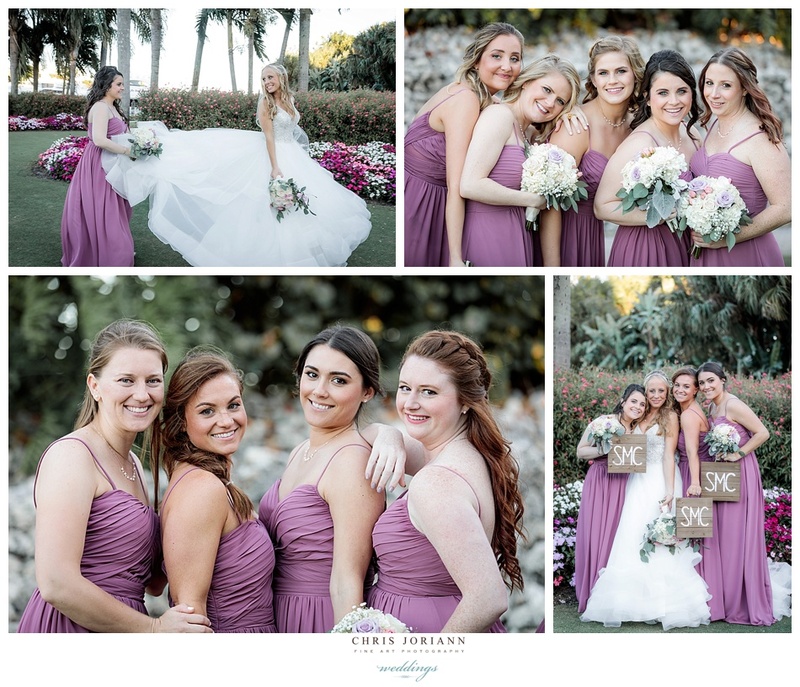 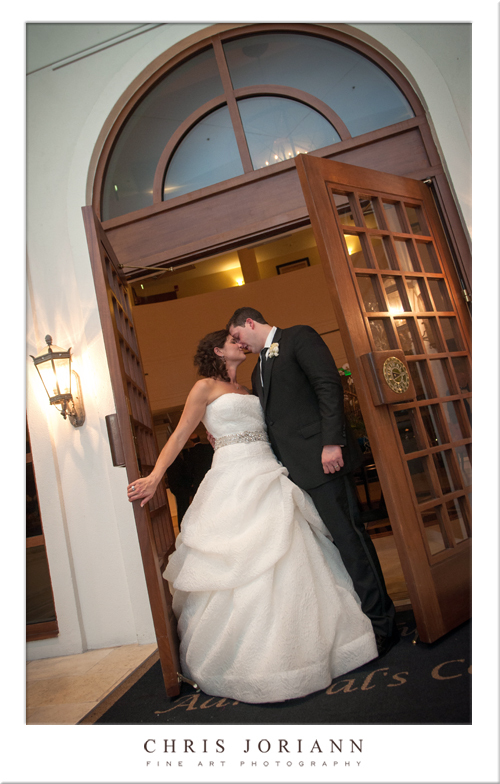 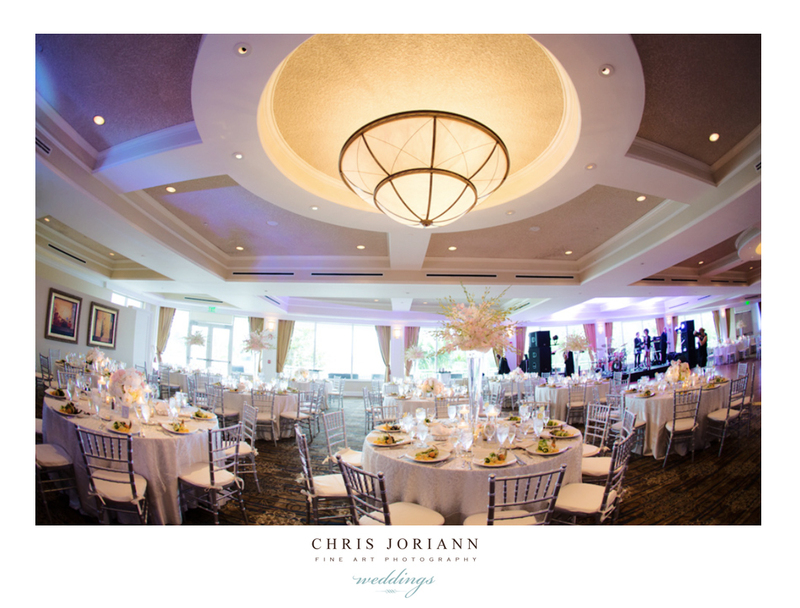 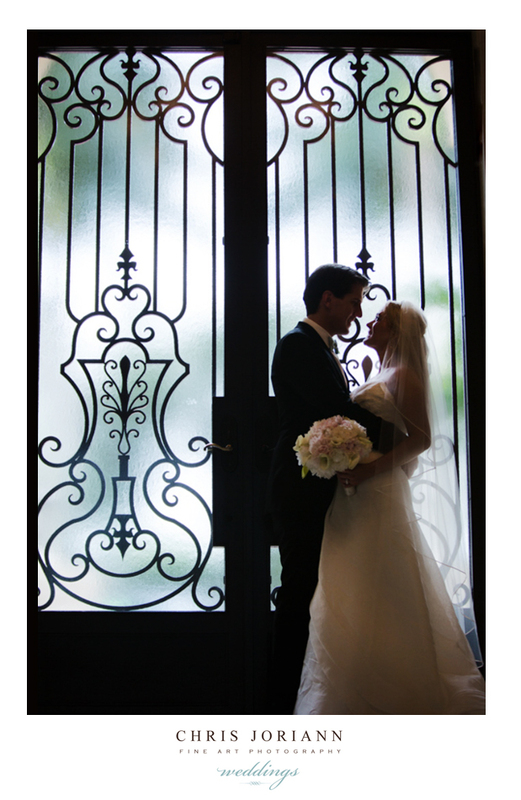 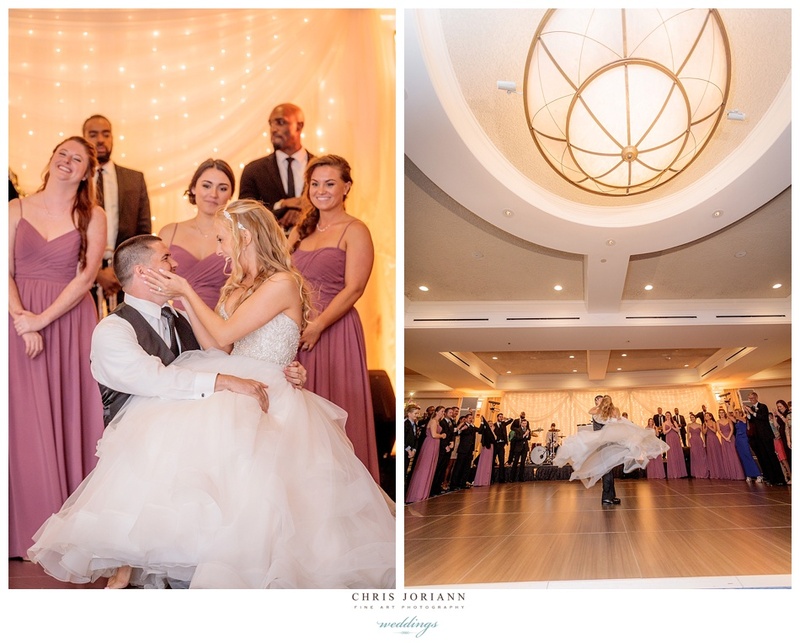 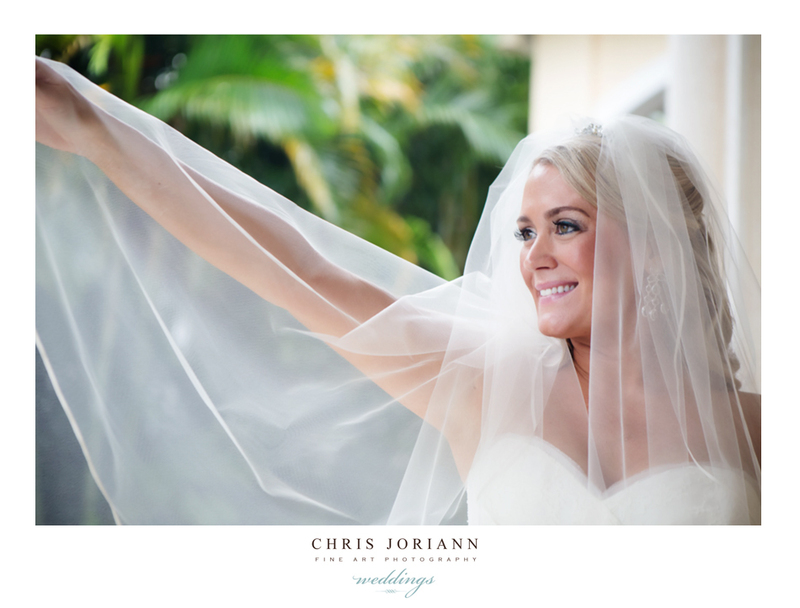 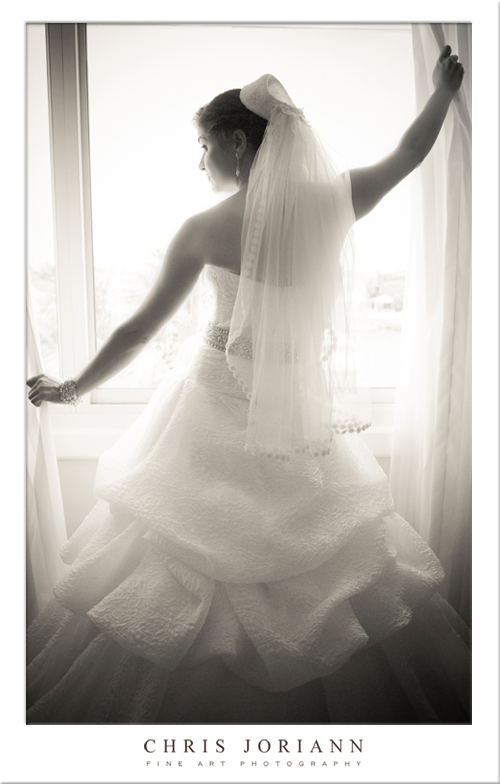 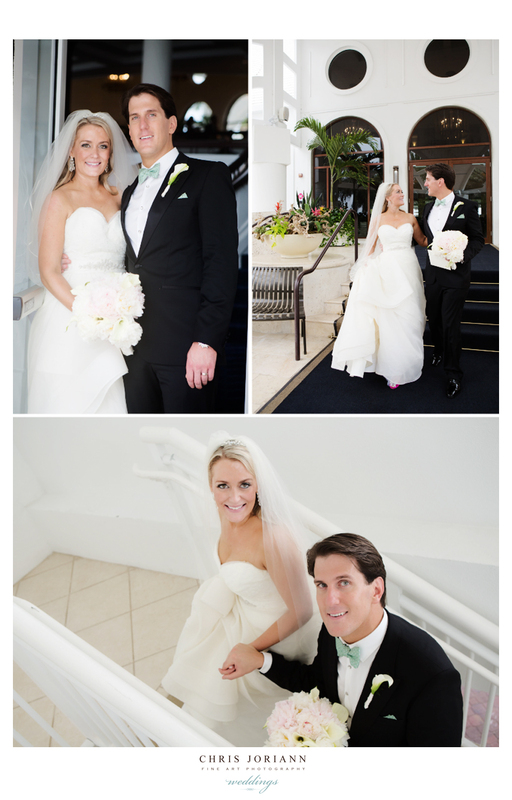 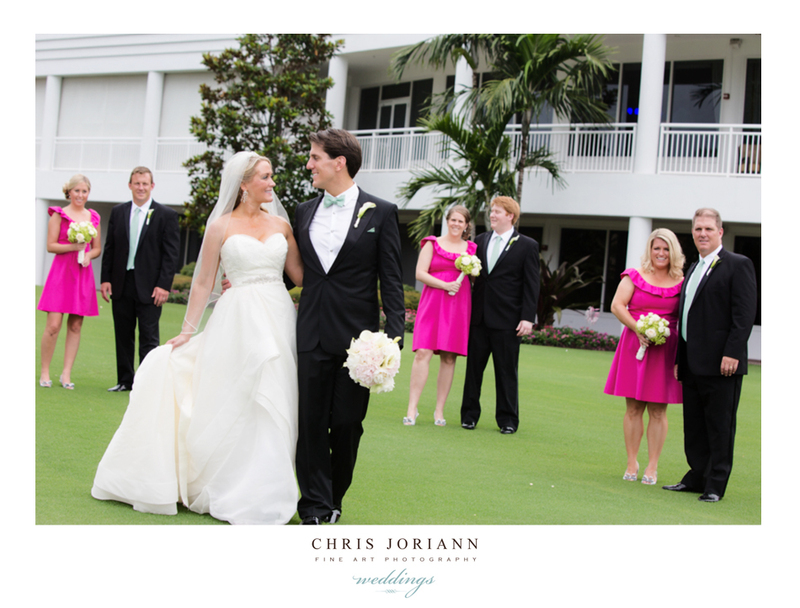 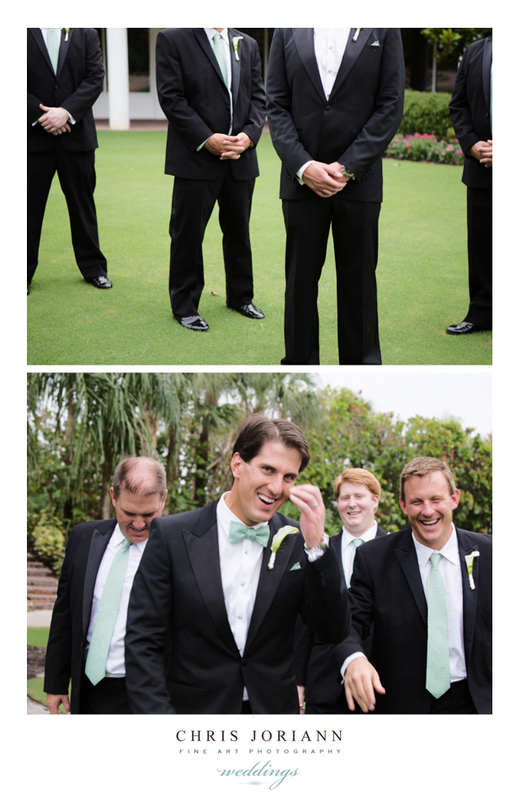 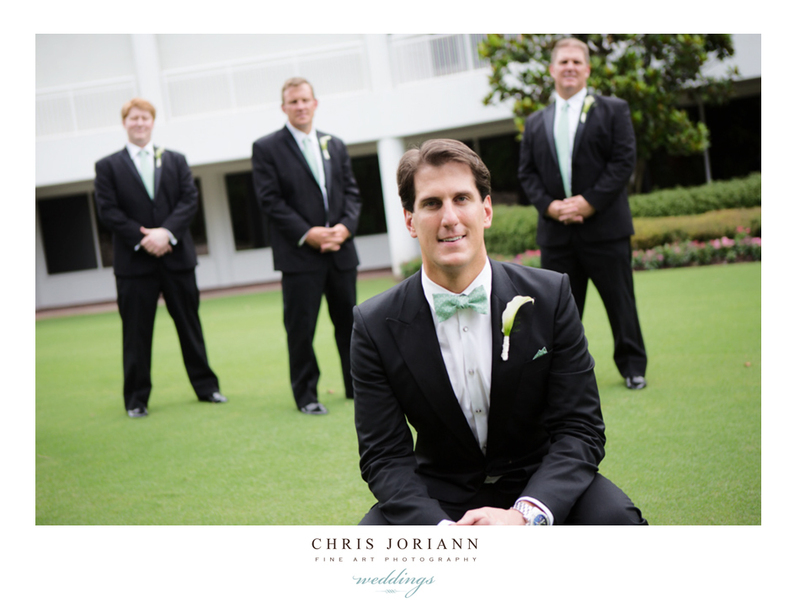 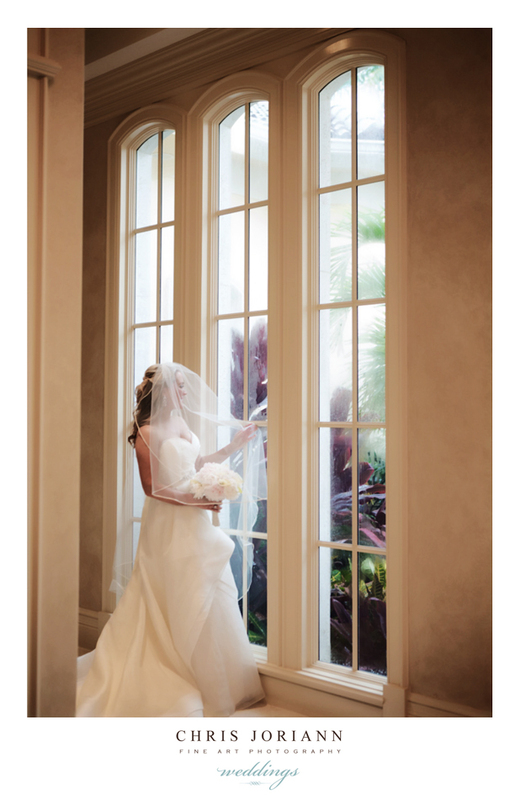 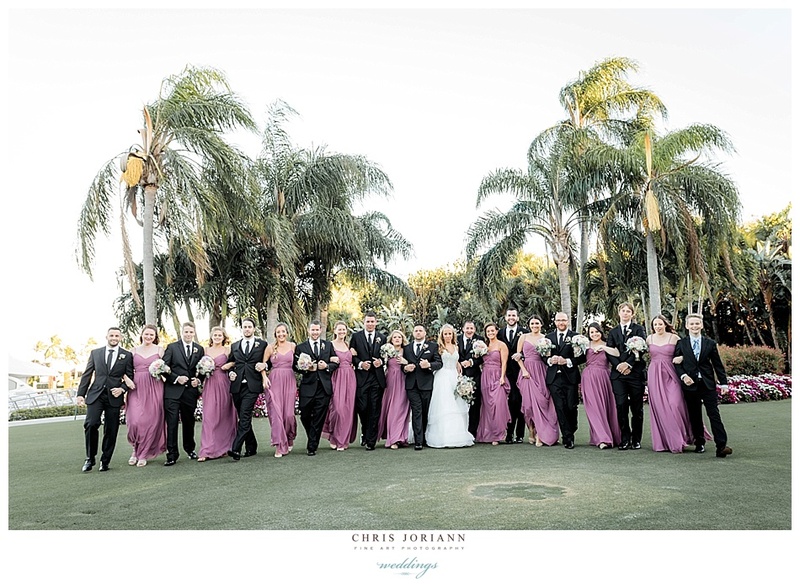 Ali + AJ’s fabulous destination wedding was held at The Club at Admiral’s Cove in Jupiter, FL. 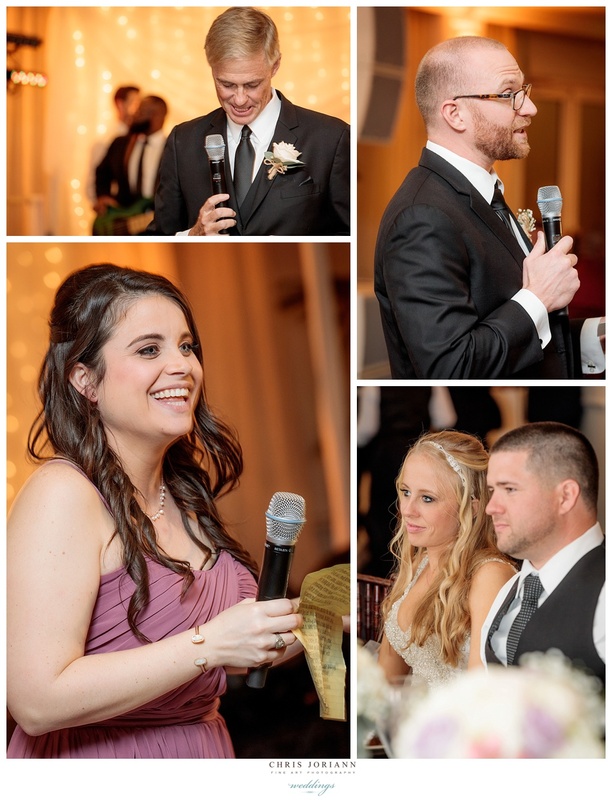 Guests traveled from across the globe to attend. 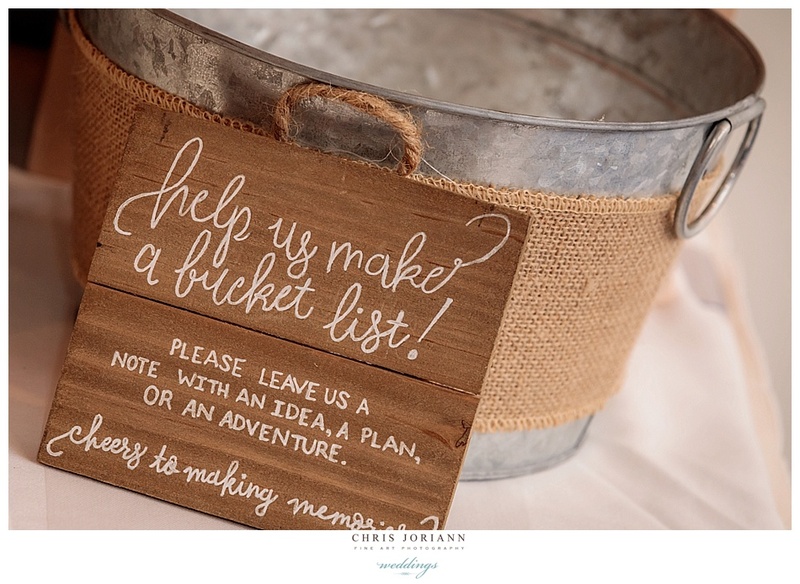 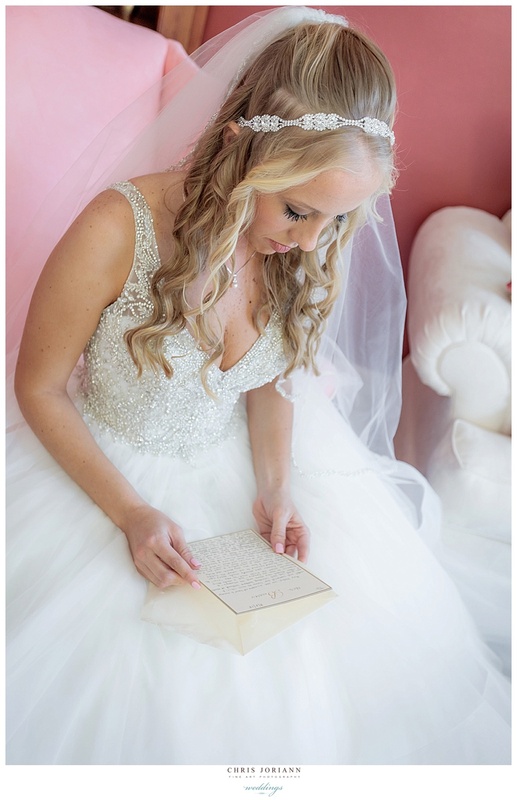 When asked what her favorite aspect of her wedding planning was, Ali answered… “The Paper!!! 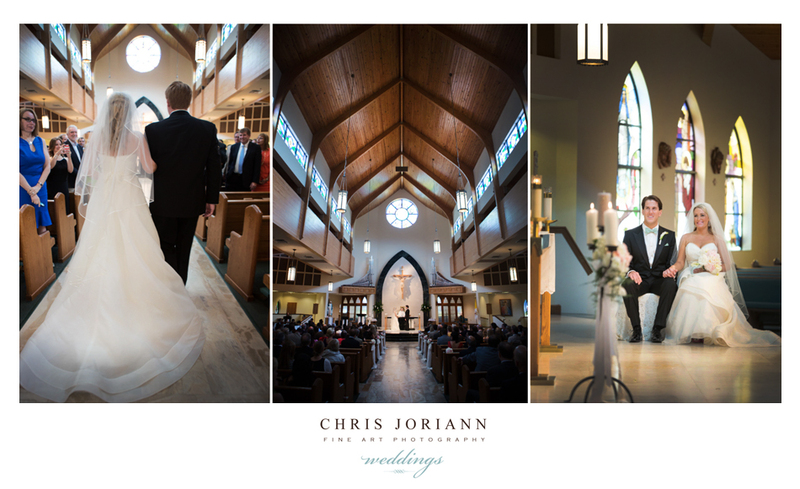 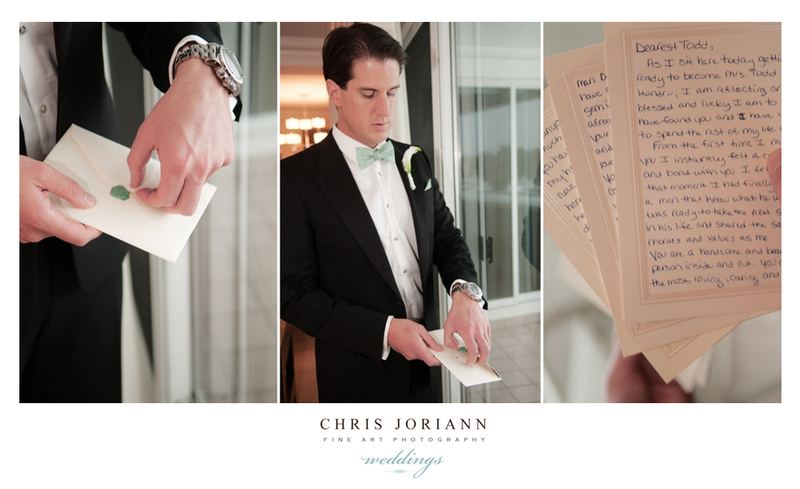 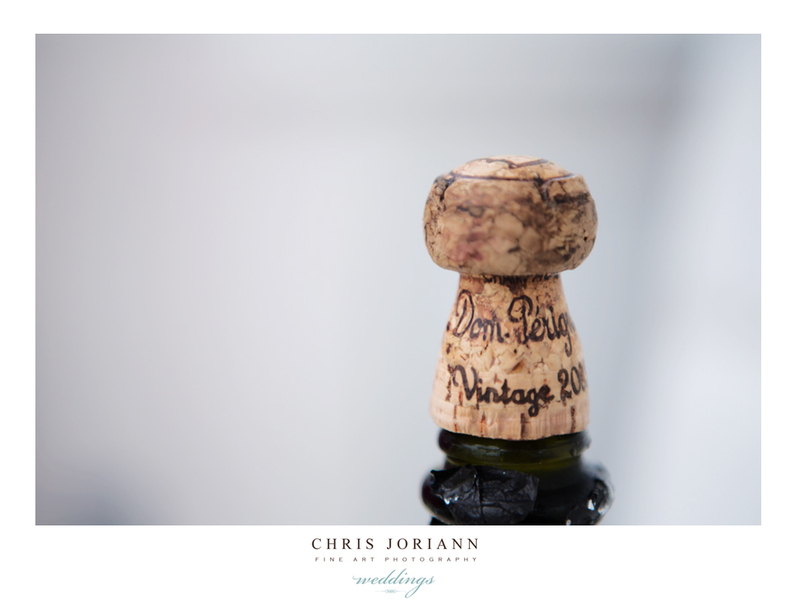 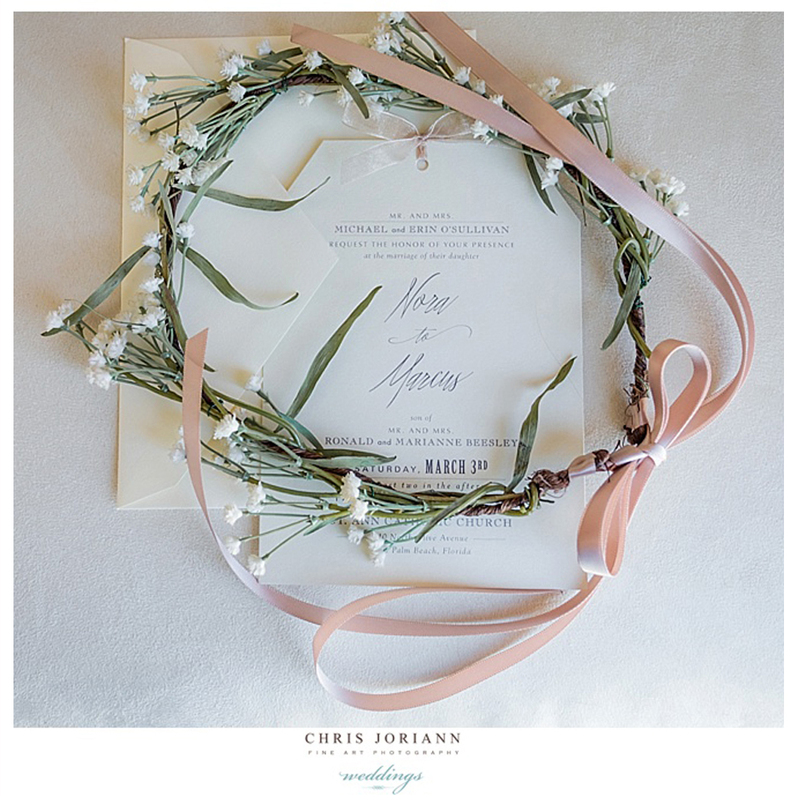 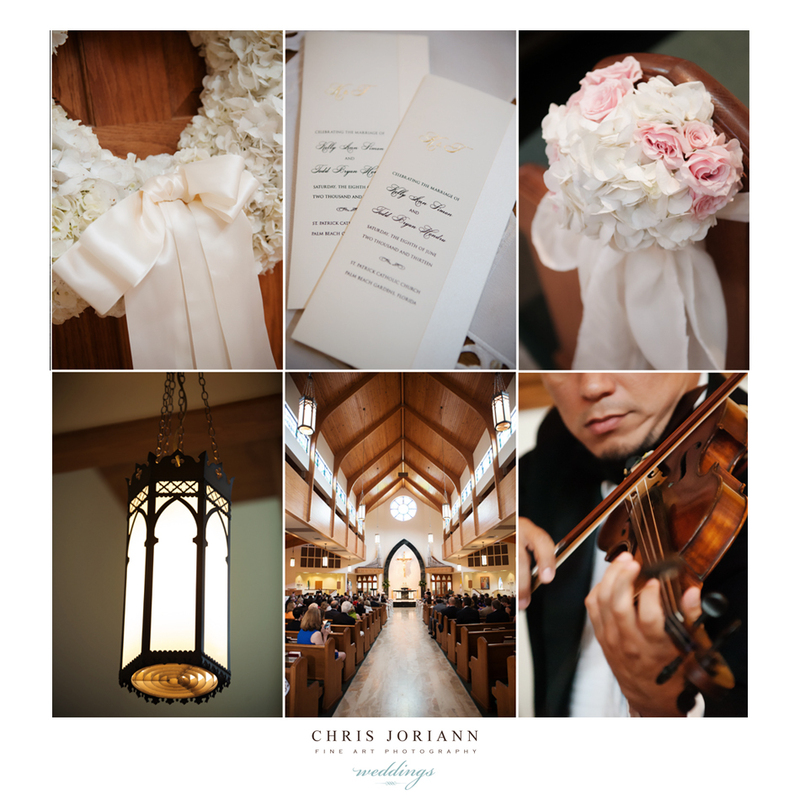 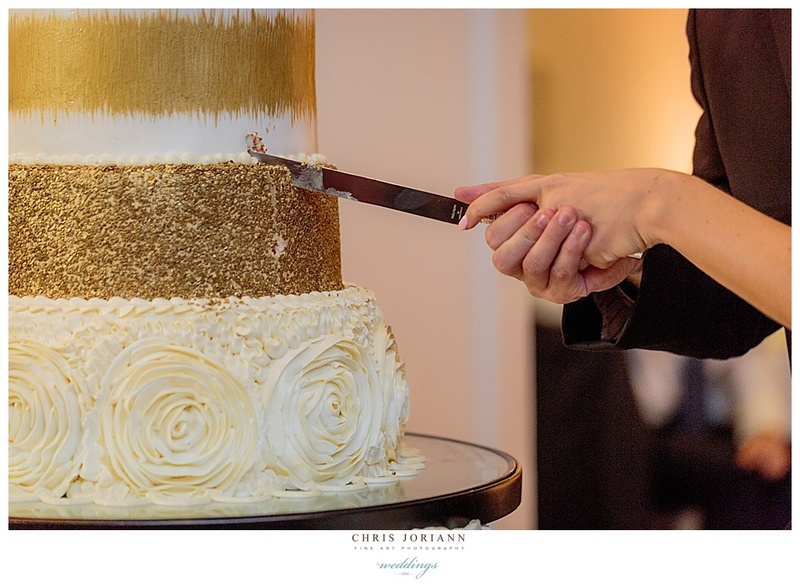 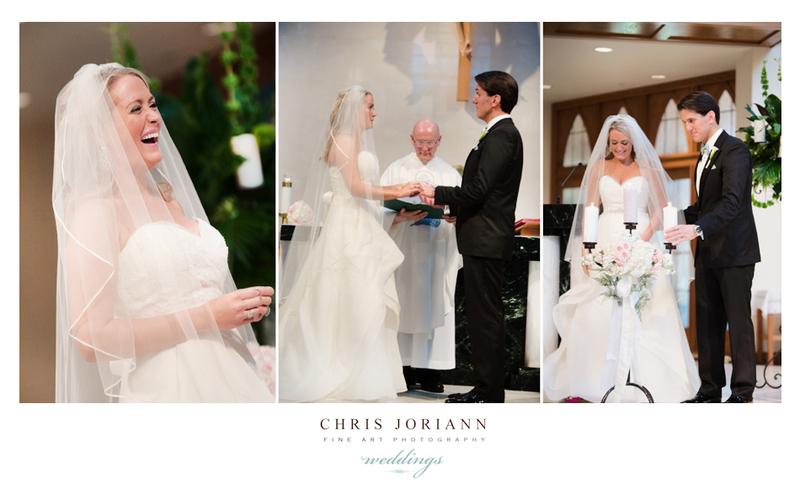 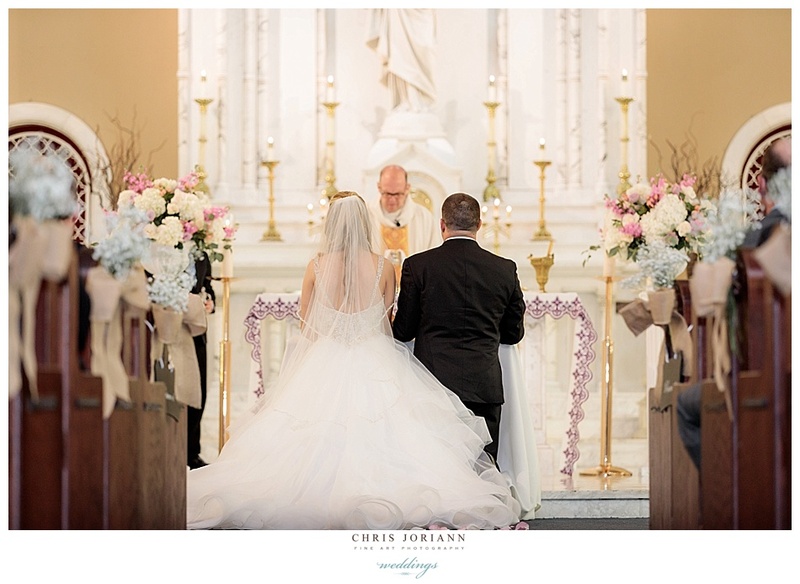 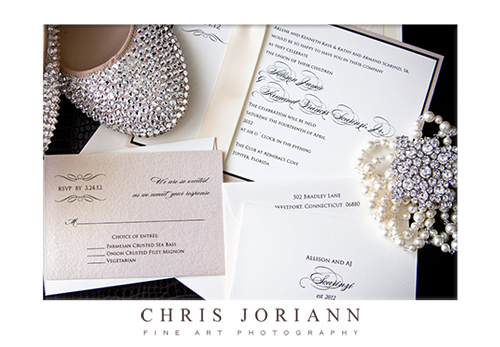 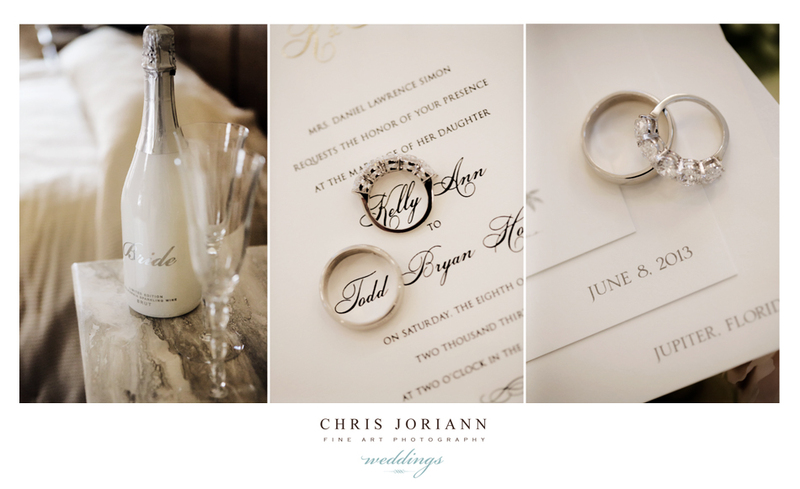 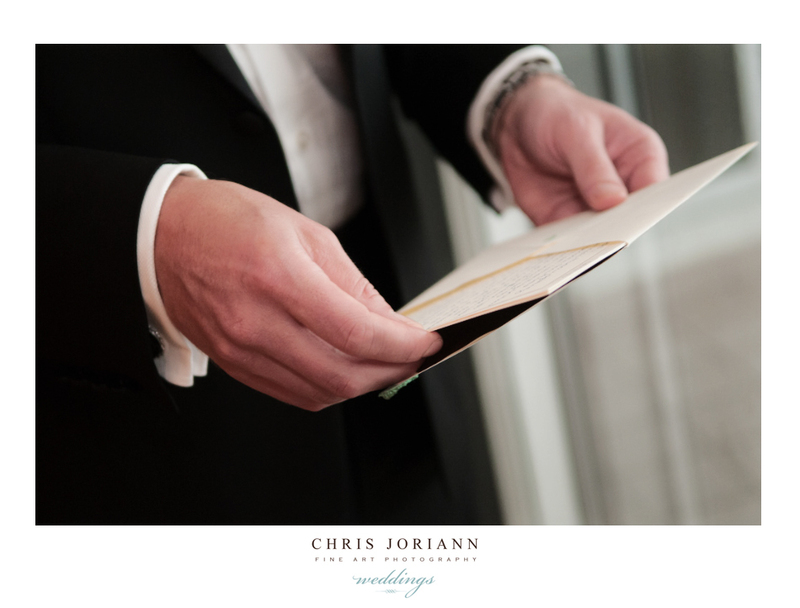 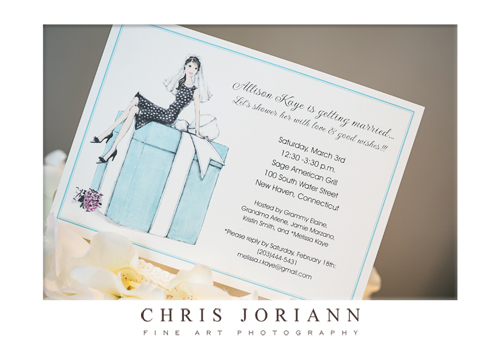 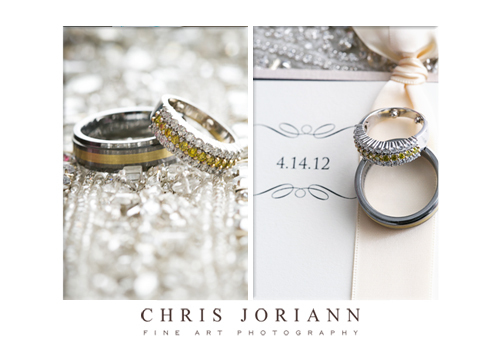 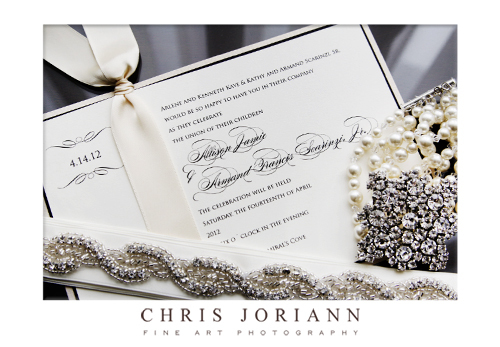 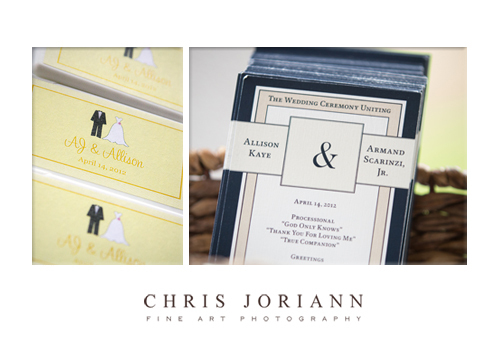 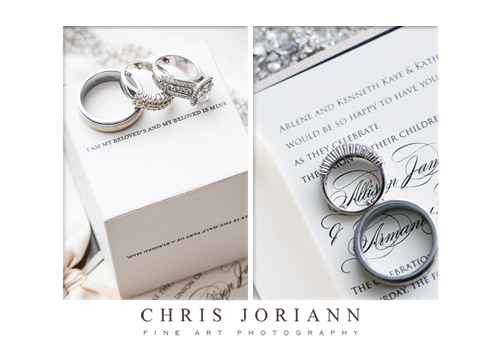 I went crazy with all things paper.” It shows… Her invitation ensemble and stationary choices were simply elegant. 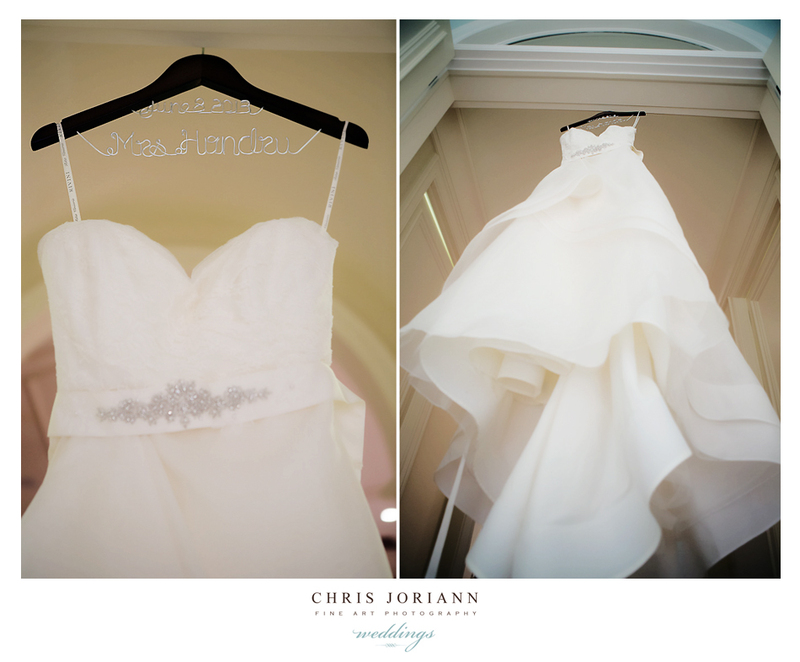 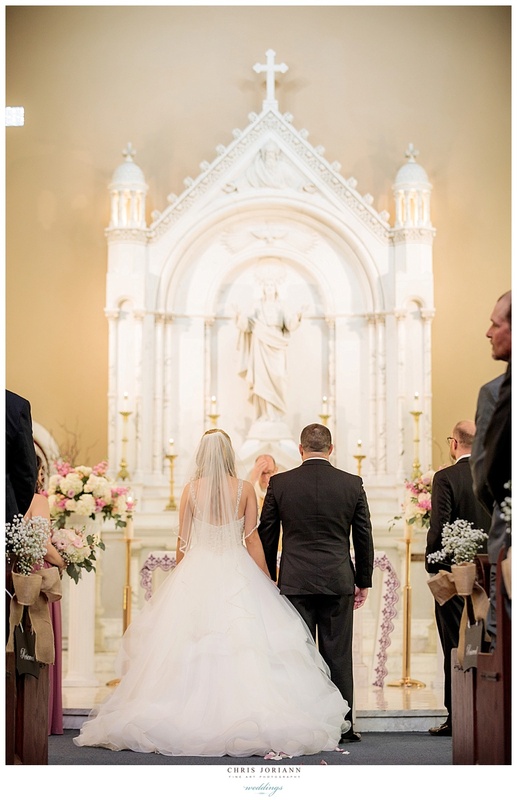 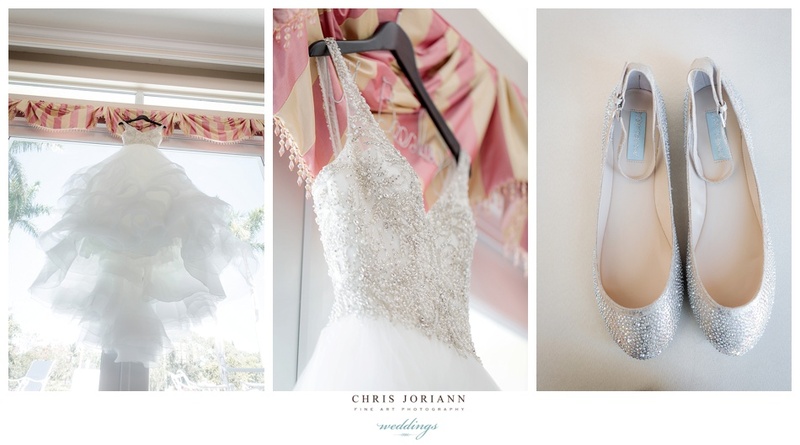 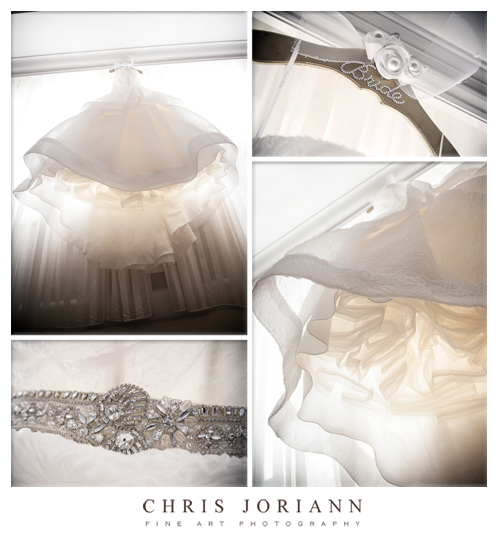 Love the custom “bride” hanger, and of course the to-die-for Monique Lhullier gown hanging from it. 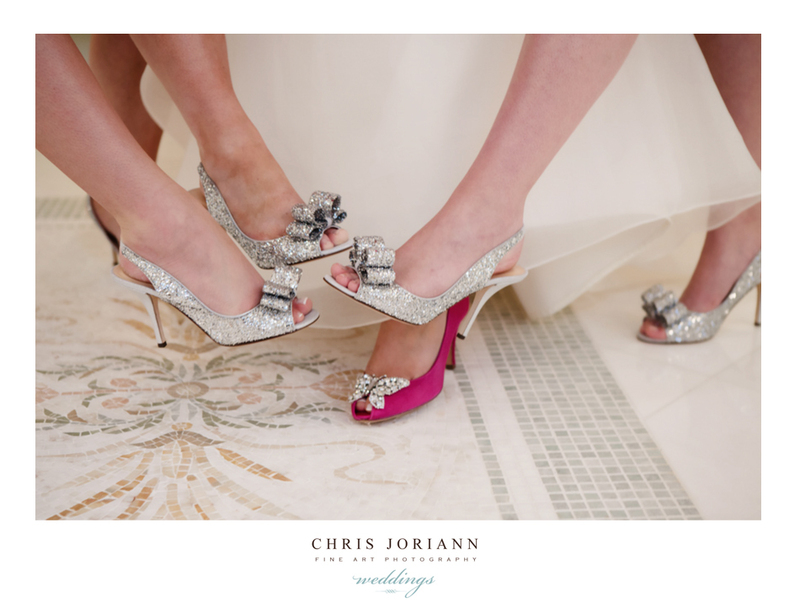 These Pour la Victoire shoes, were too pretty to wear… we had a ball shooting them from pretty much every angle imaginable. 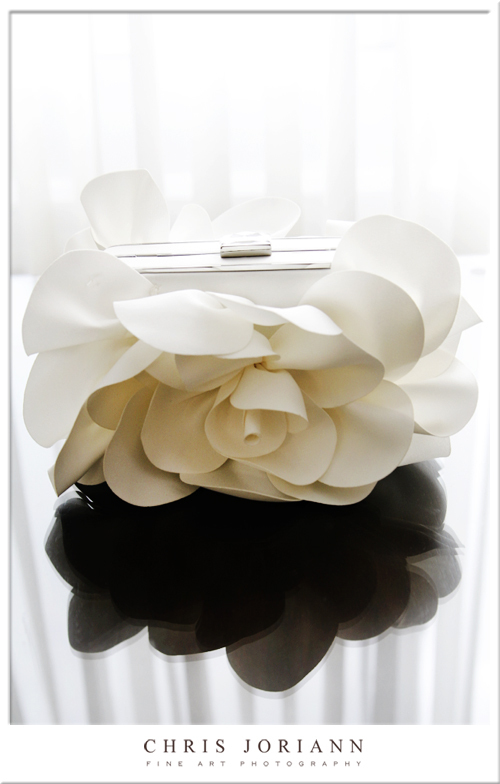 This silk petaled clutch by Sonda Roberts complimented the rest perfectly. 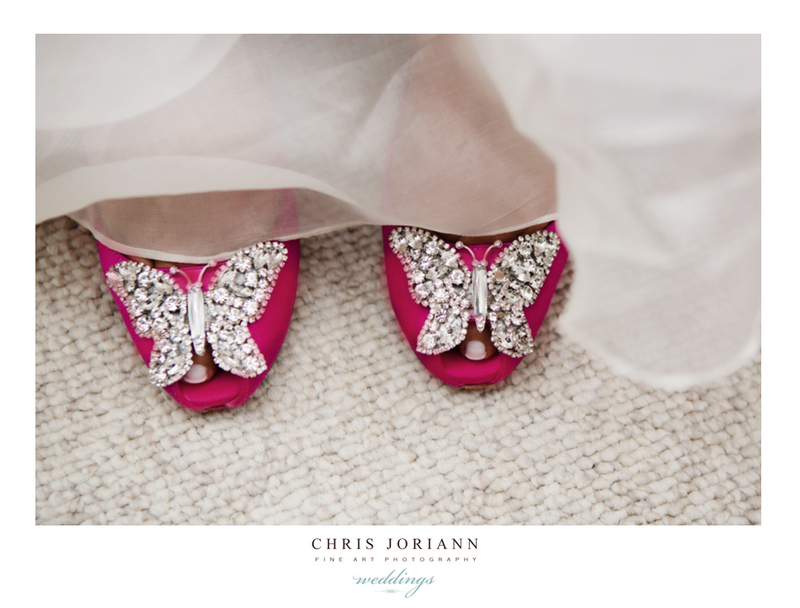 Ali’s comfy “change into” shoes did not disappoint. 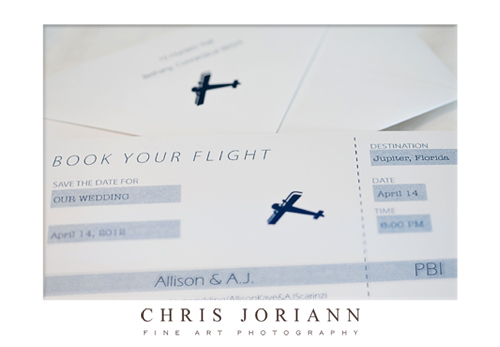 These J. 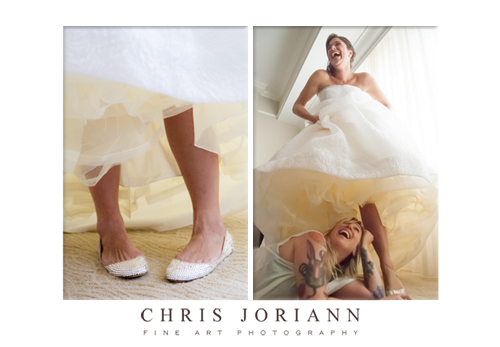 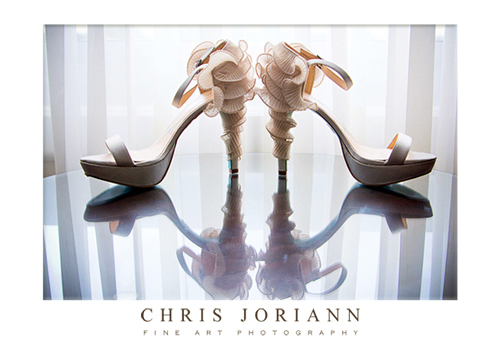 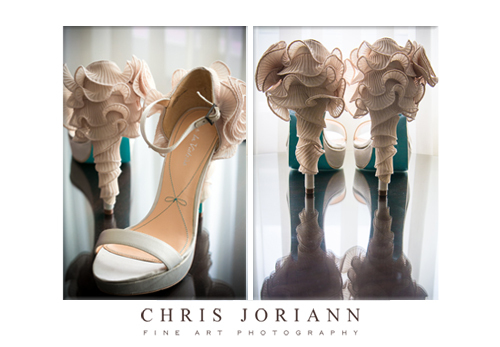 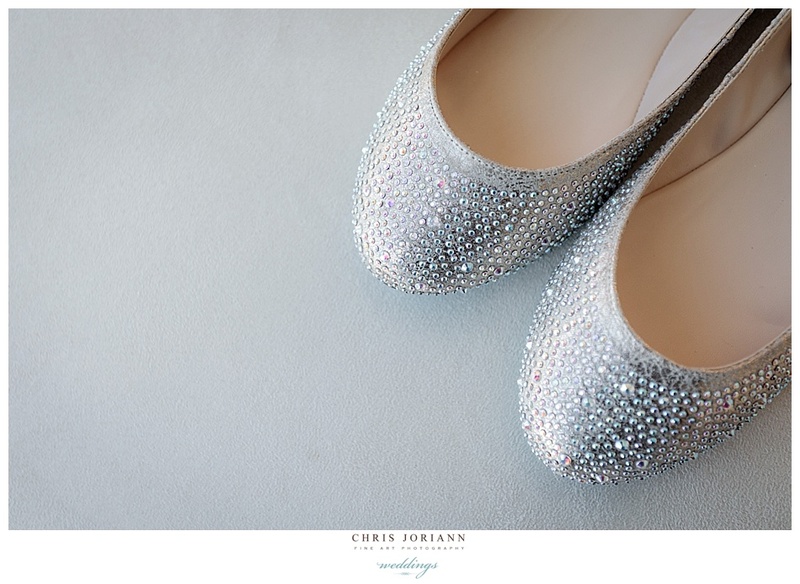 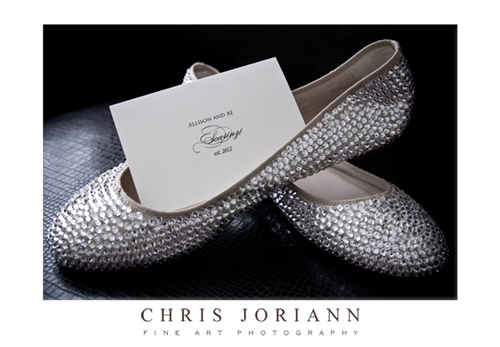 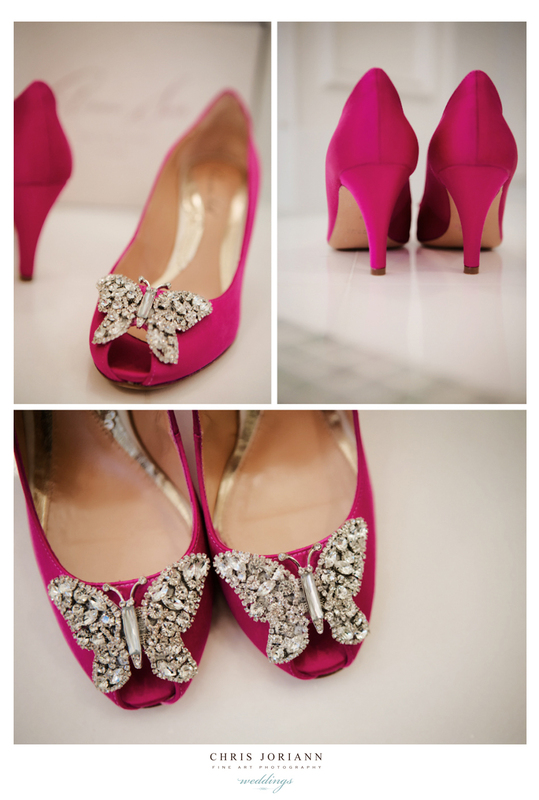 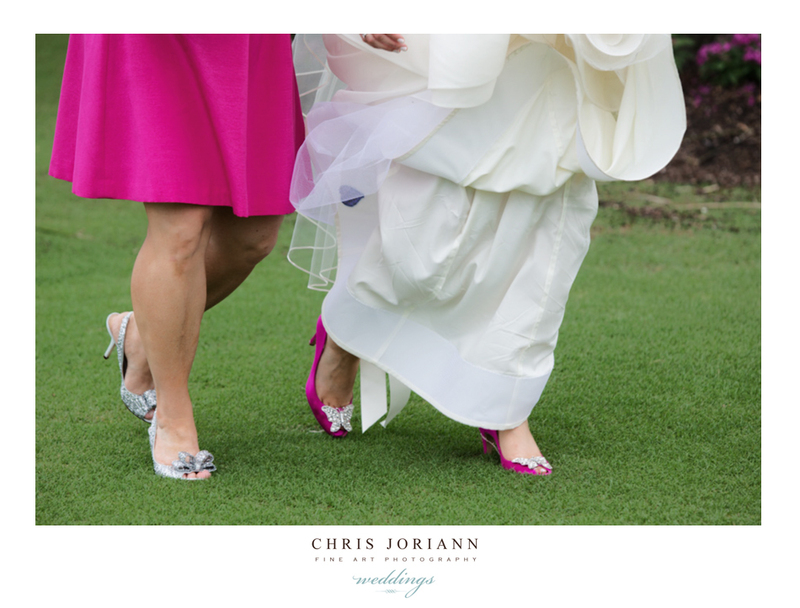 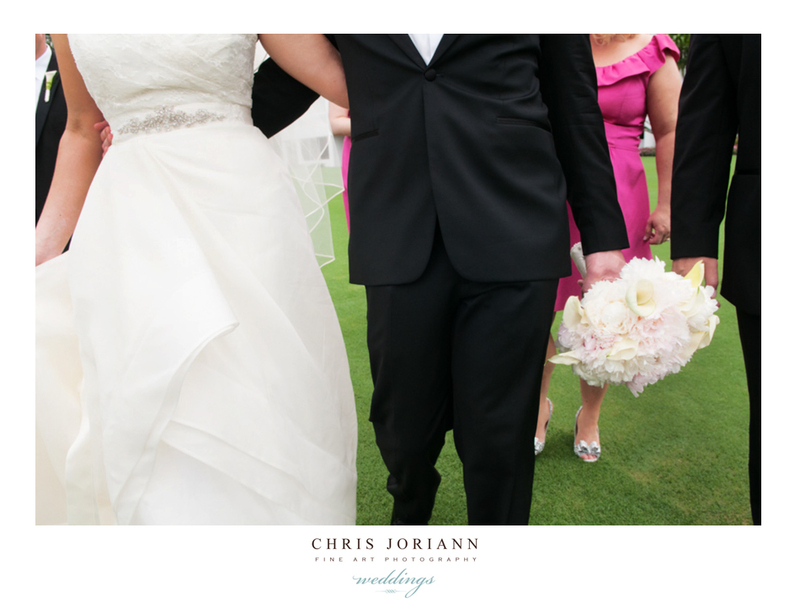 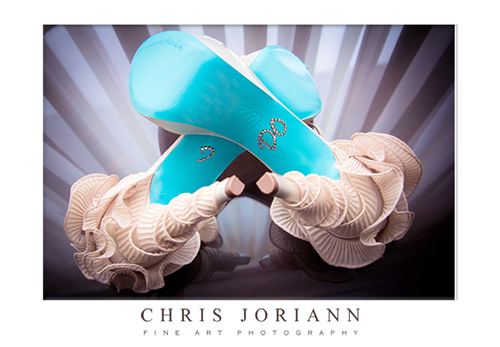 Crew flats were hand emblazoned with swarovski crystals, to match the wrapped stems of her bridal bouquet. 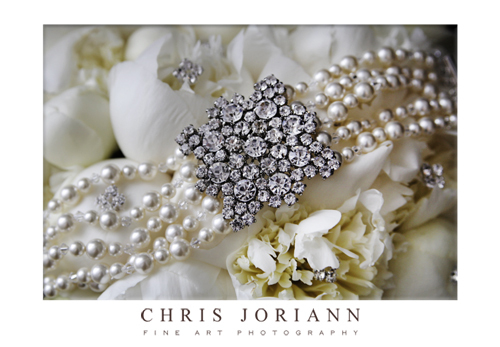 This Lavender by Jurgita, pearl and crystal bracelet, added just the right amount of bling. 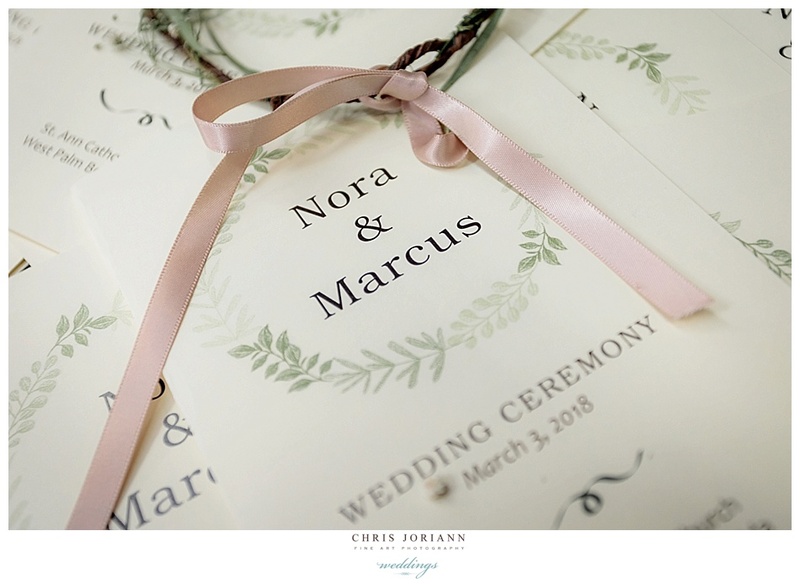 Ohh, look more cool paper! 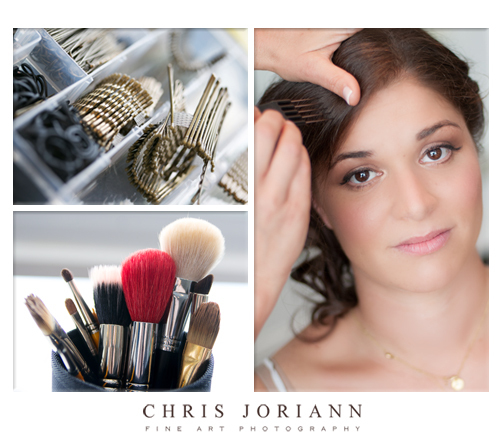 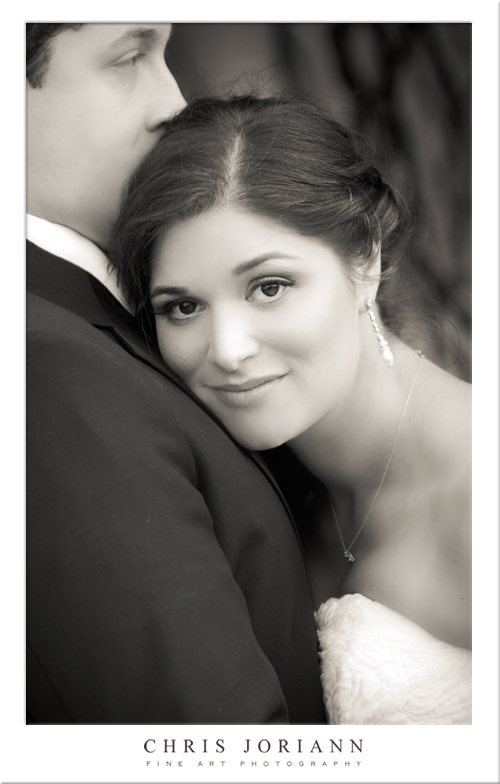 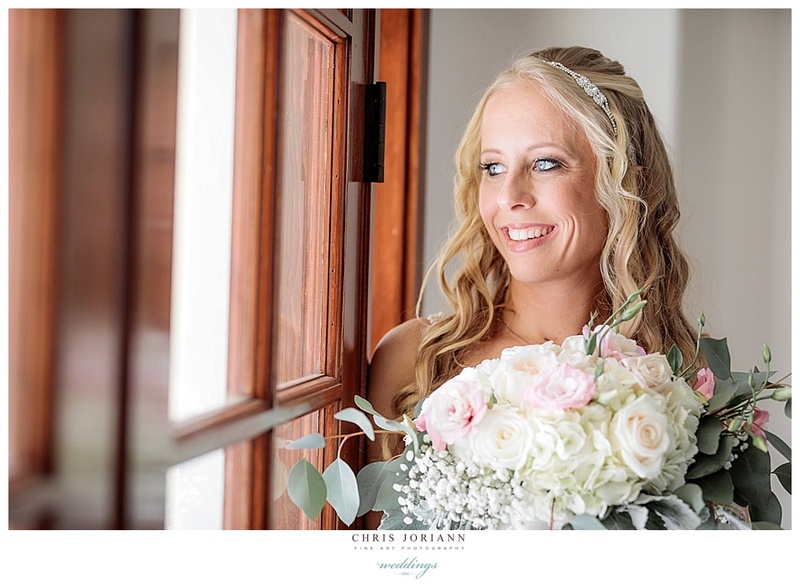 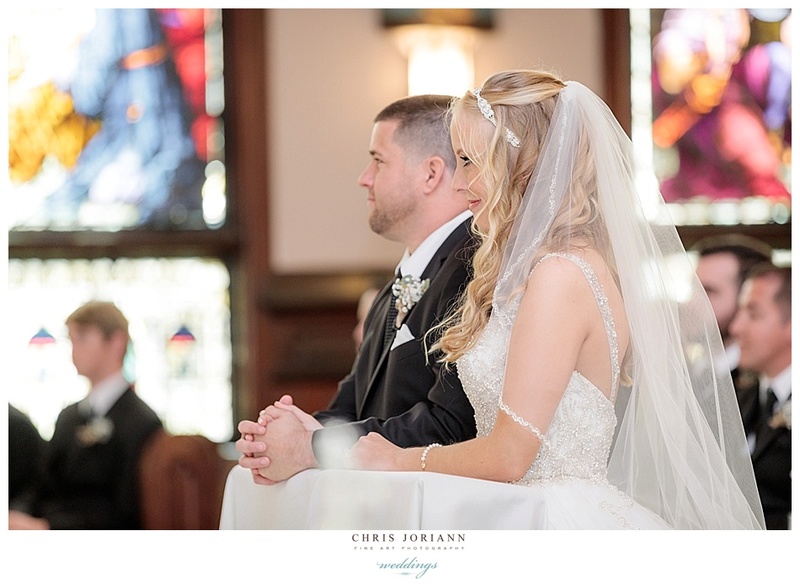 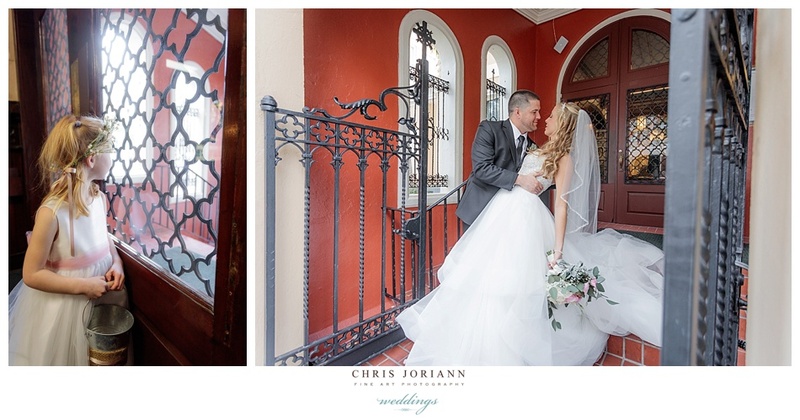 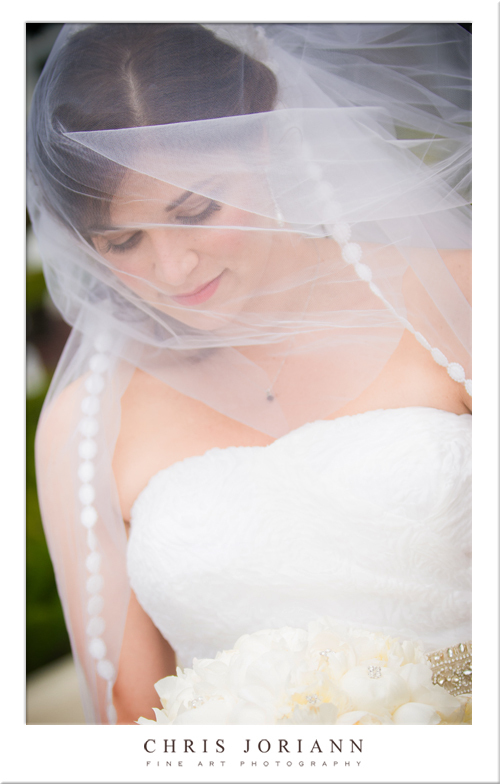 The bride’s makeup was beautifully applied by Vanessa Price, and her retro hair style created by Kristin Livolsi. 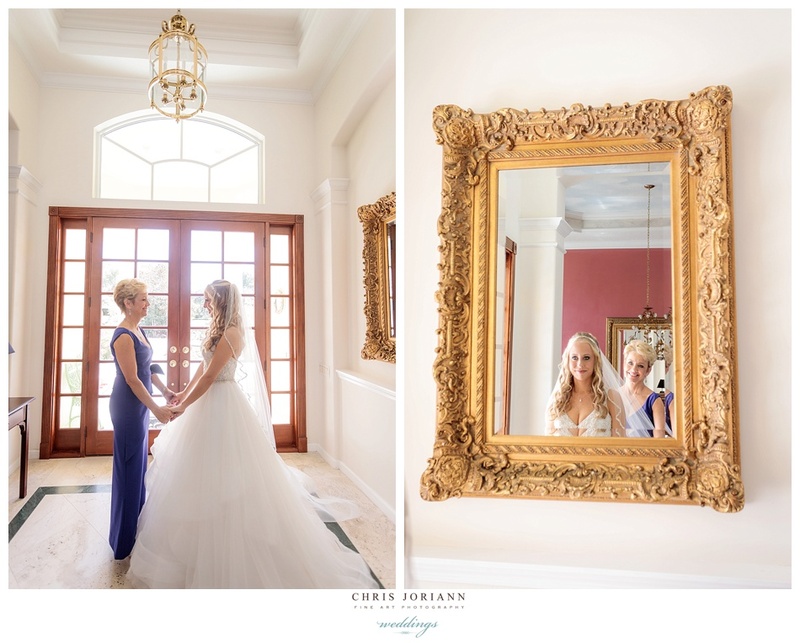 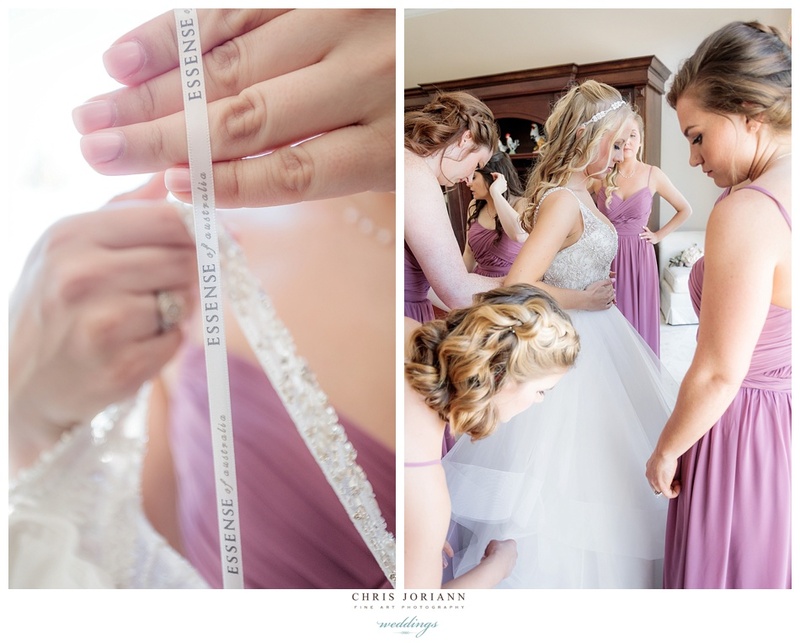 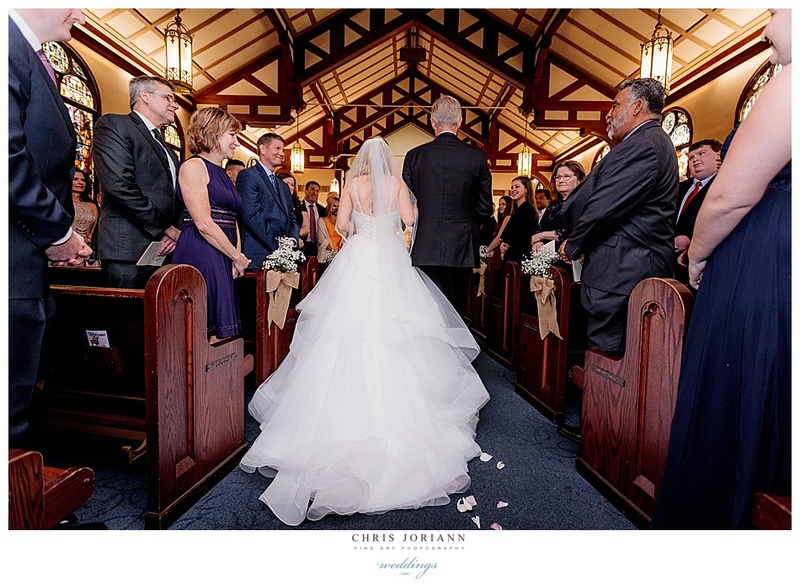 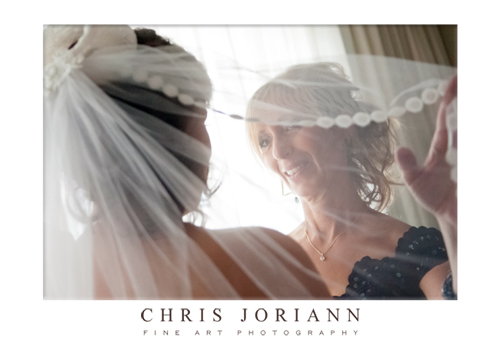 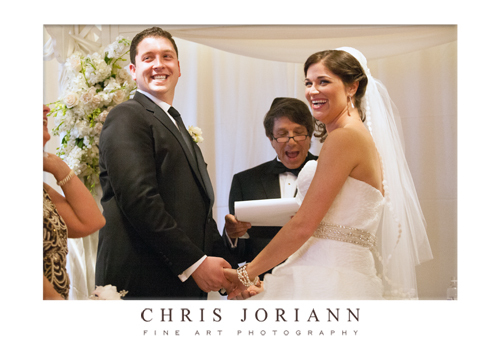 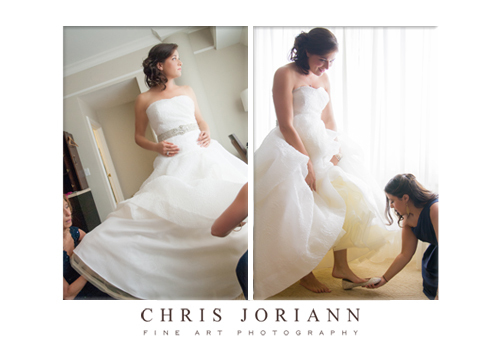 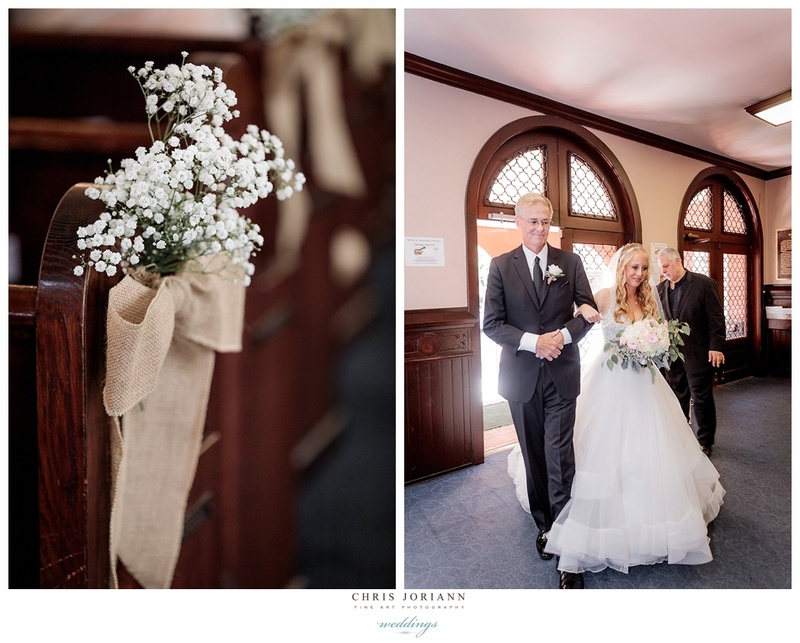 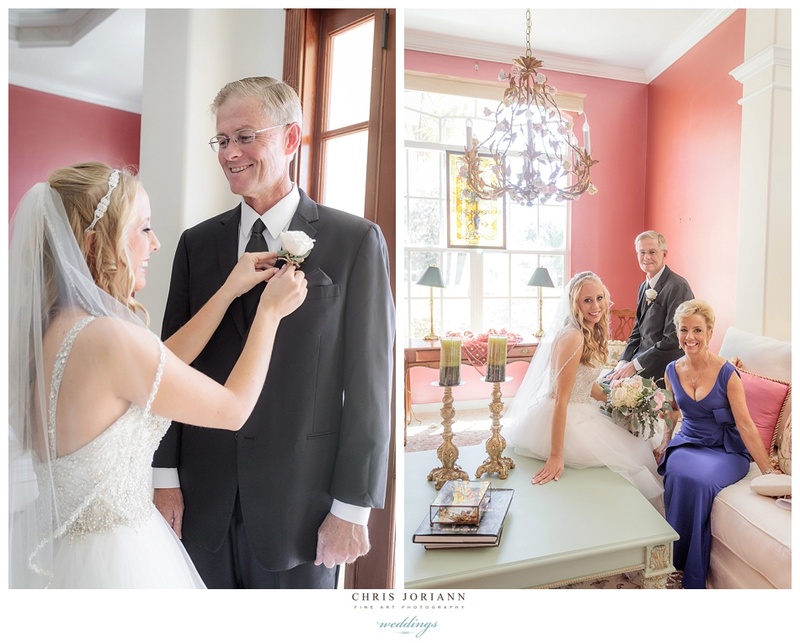 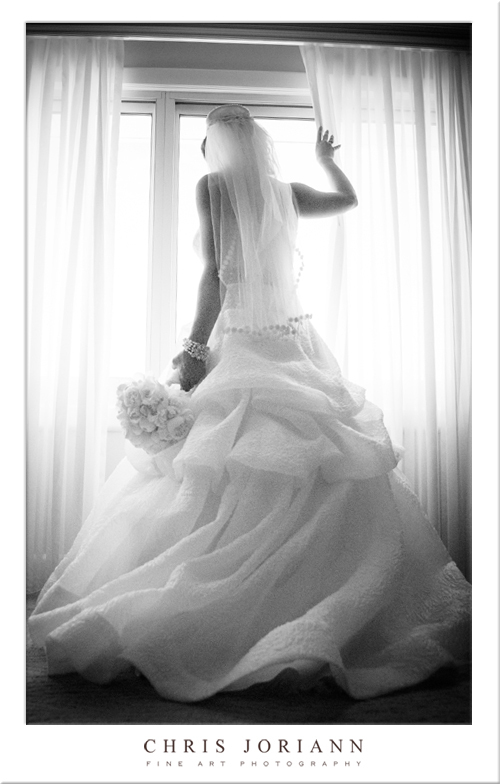 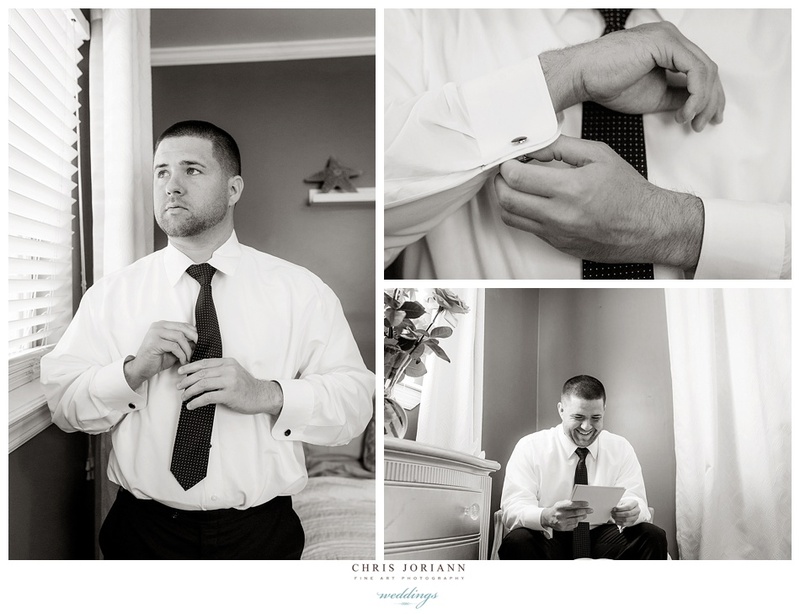 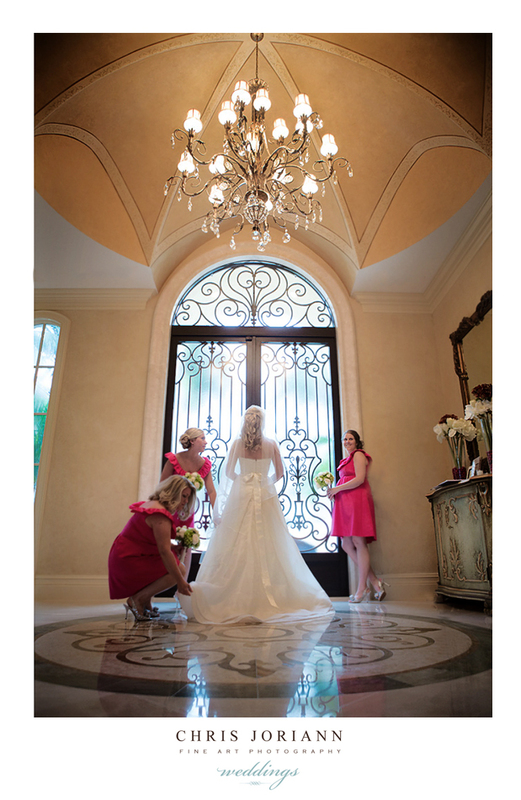 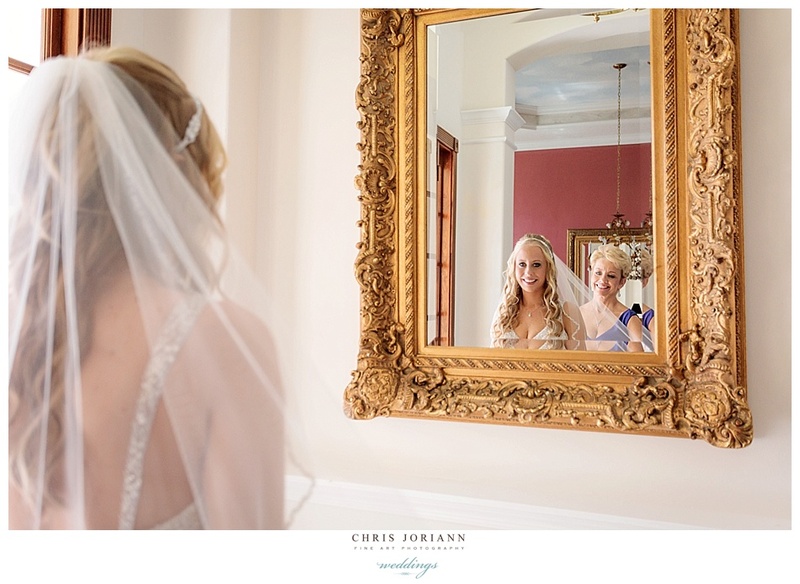 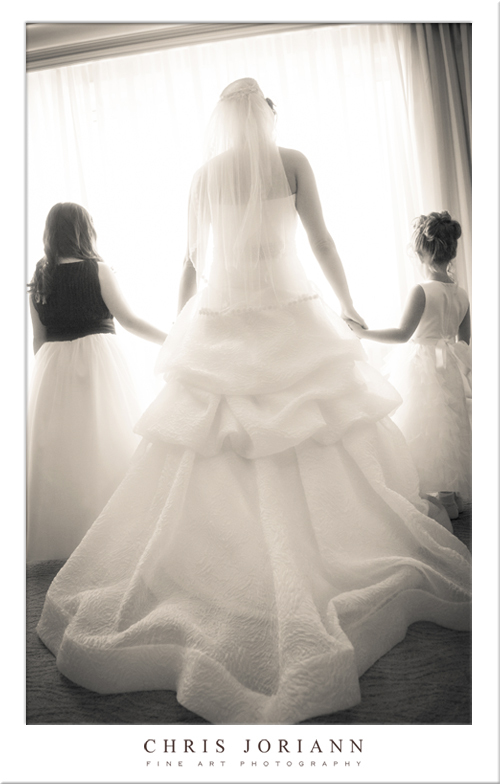 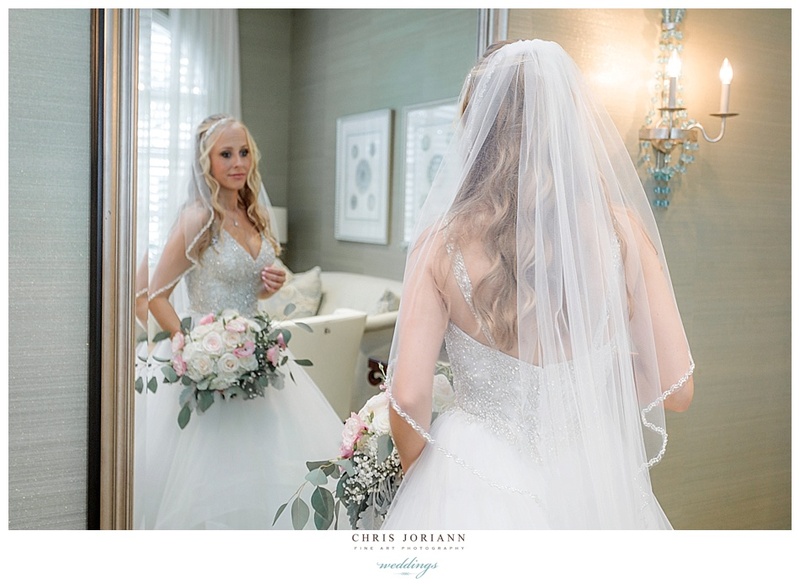 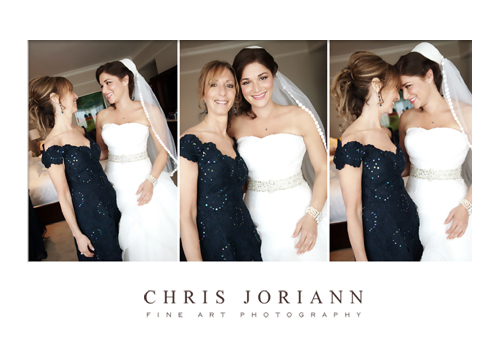 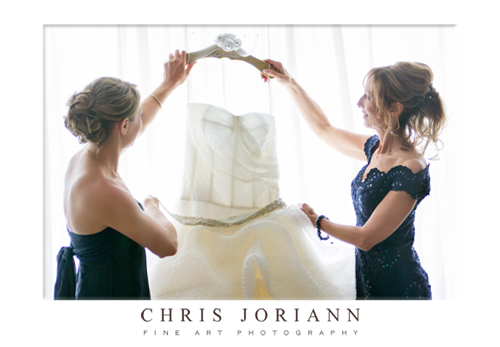 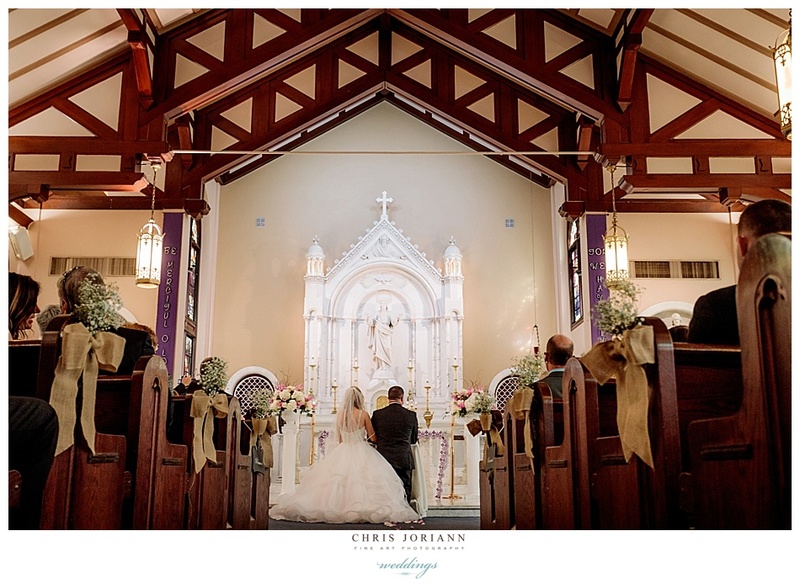 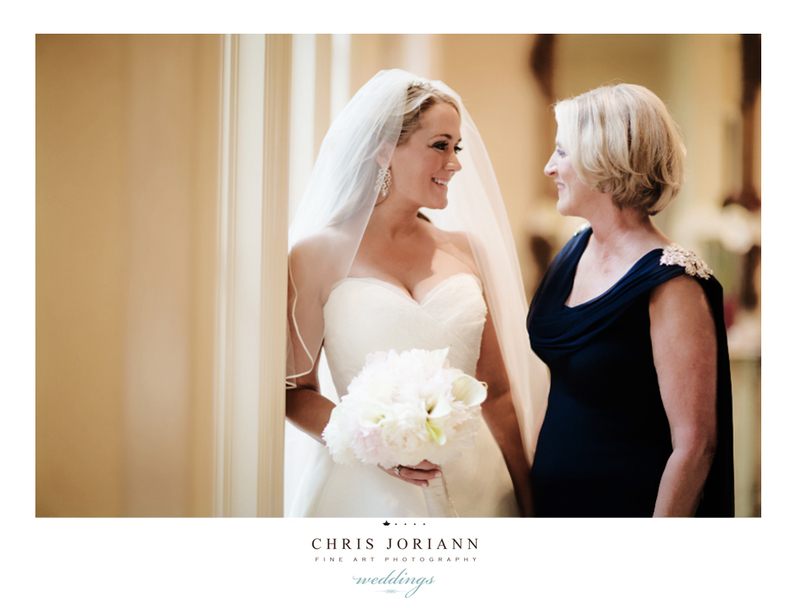 Her mother and Maid of Honor helped her ready in one of The Inn at Admiral’s spacious suites. 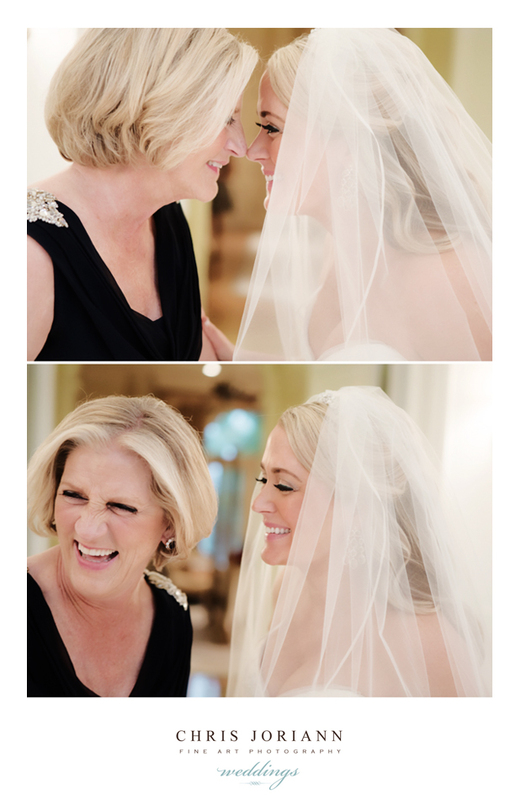 Mom helped her on with her vintage Priscilla of Boston veil, restored by Suzanne Couture Millinery, NYC. 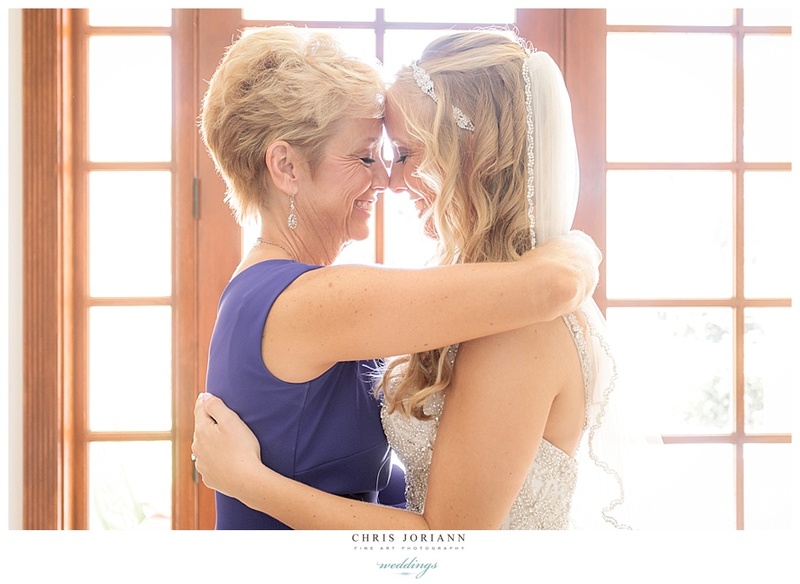 Followed by some great mother-daughter moments. 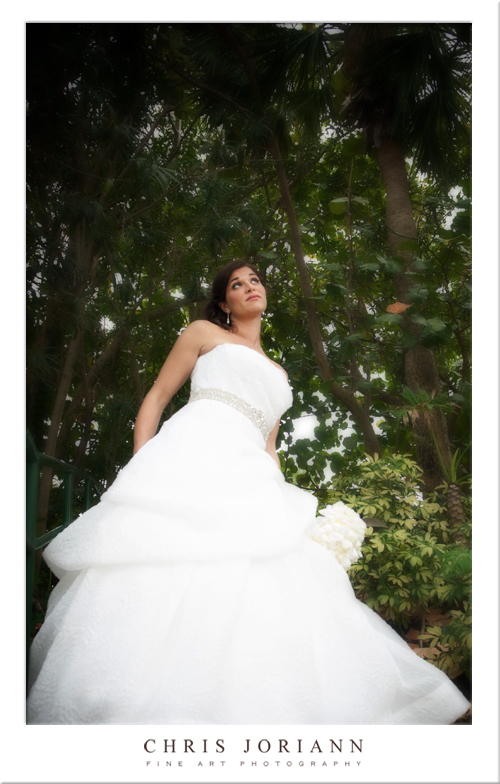 And viola!!! 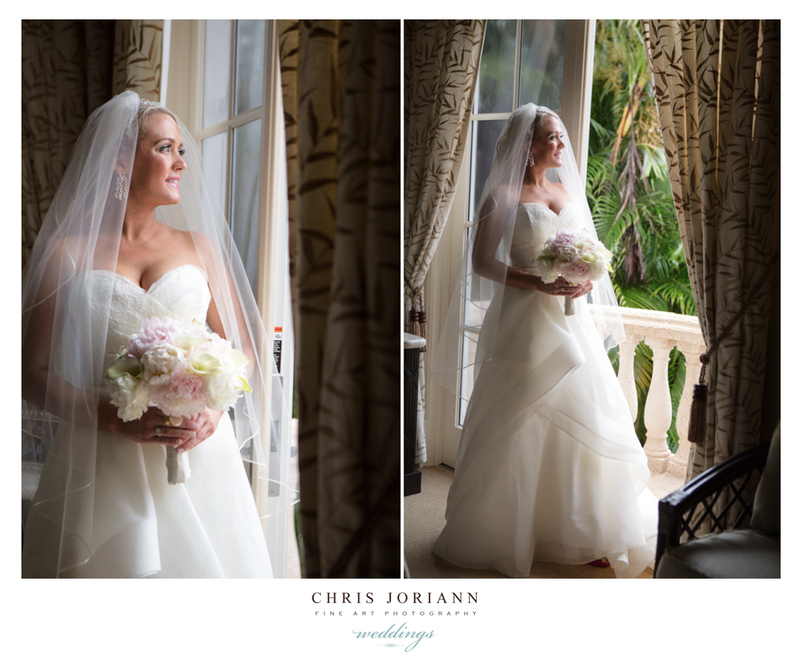 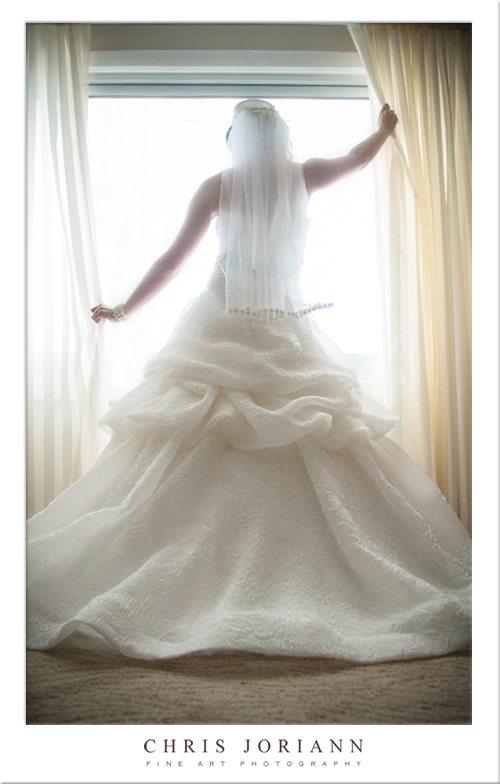 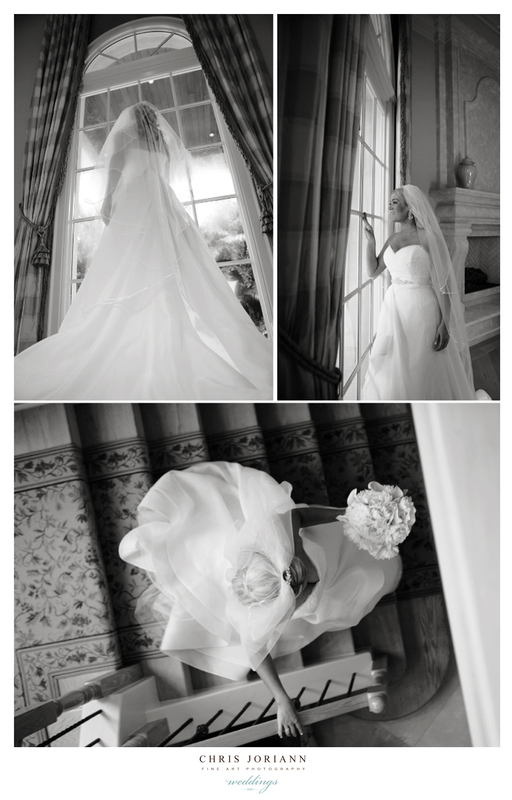 A timeless bride, right out of “Vogue” magazine from another decade. 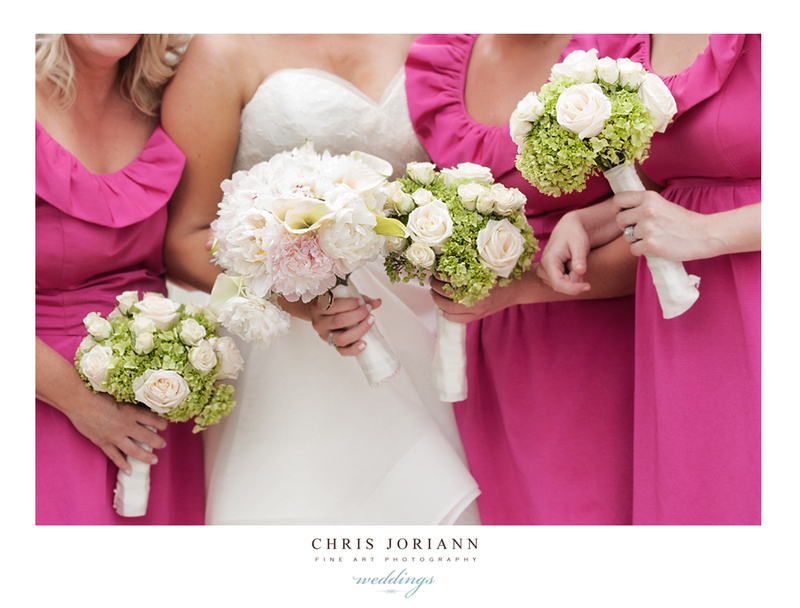 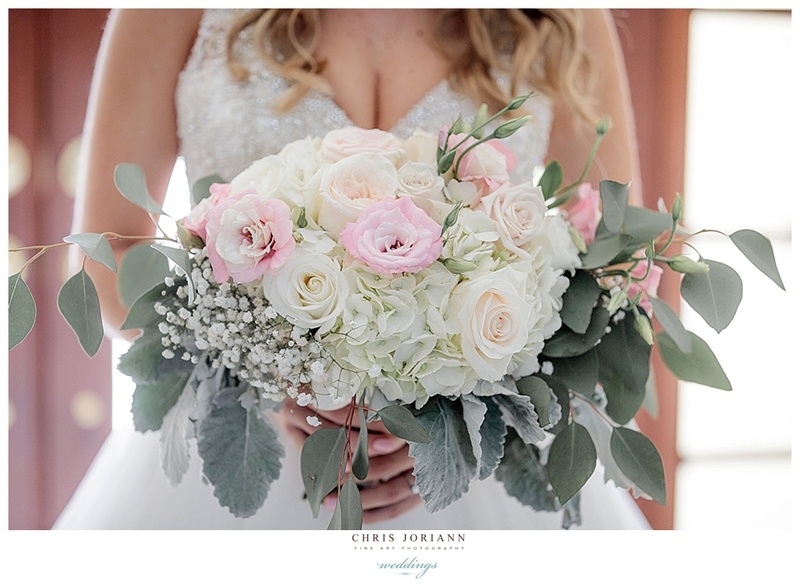 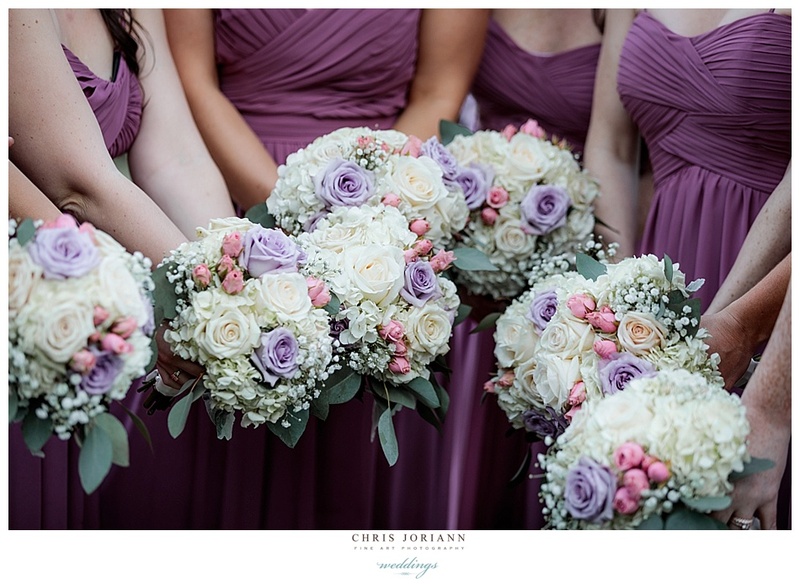 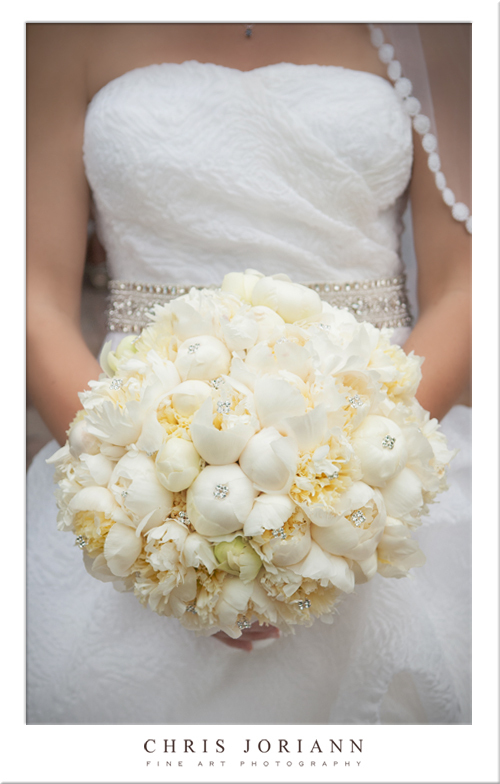 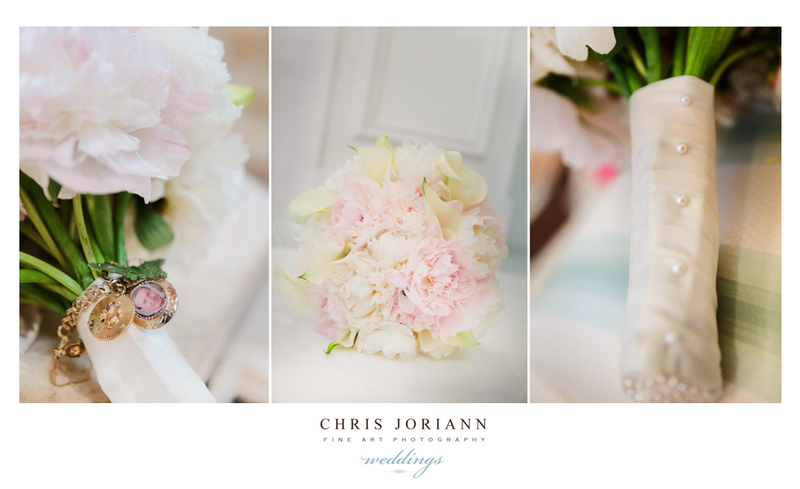 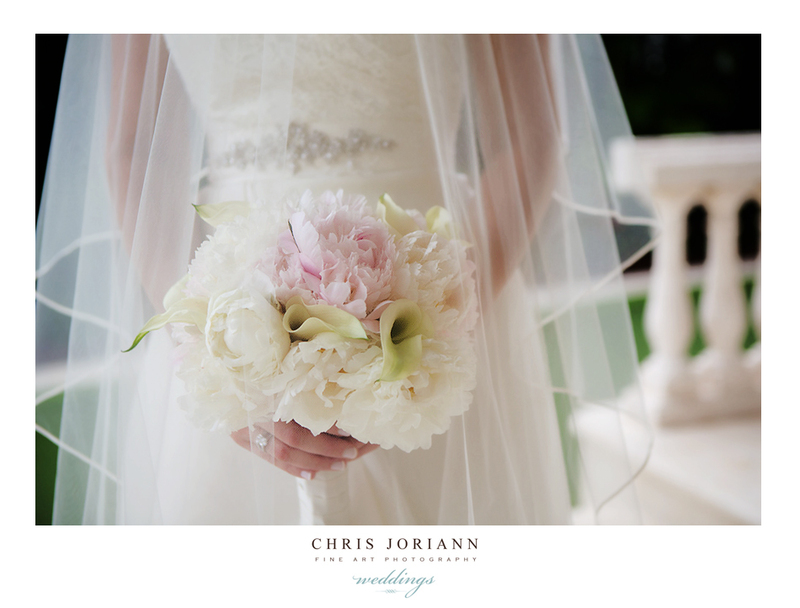 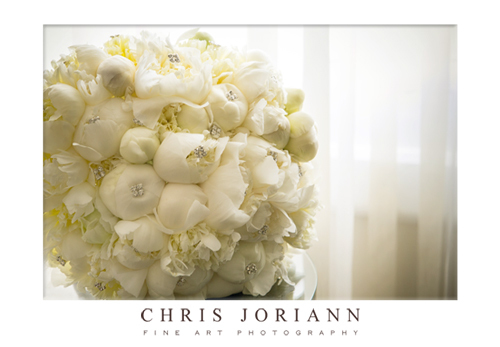 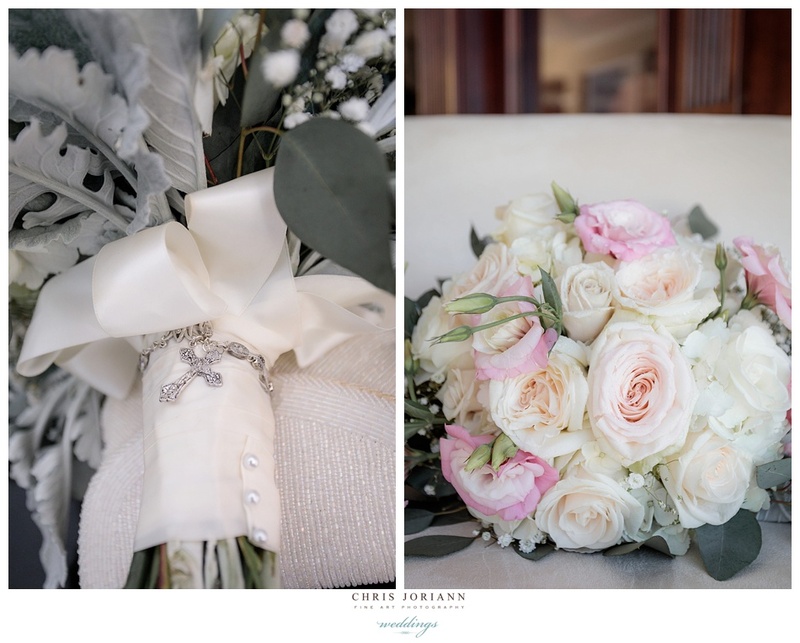 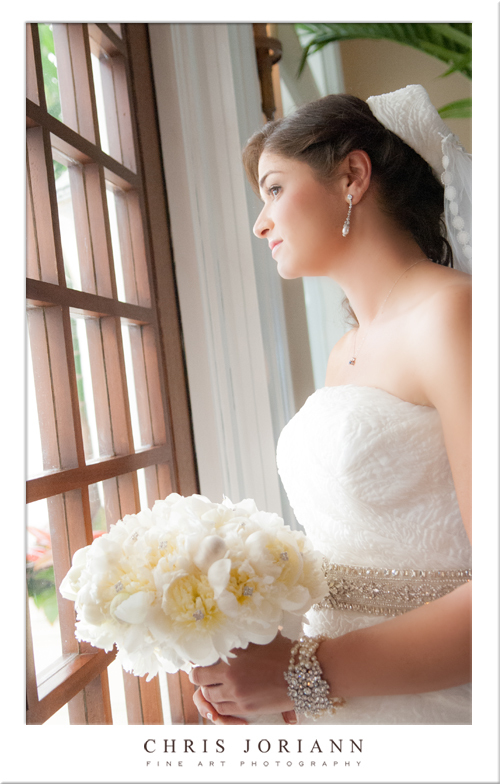 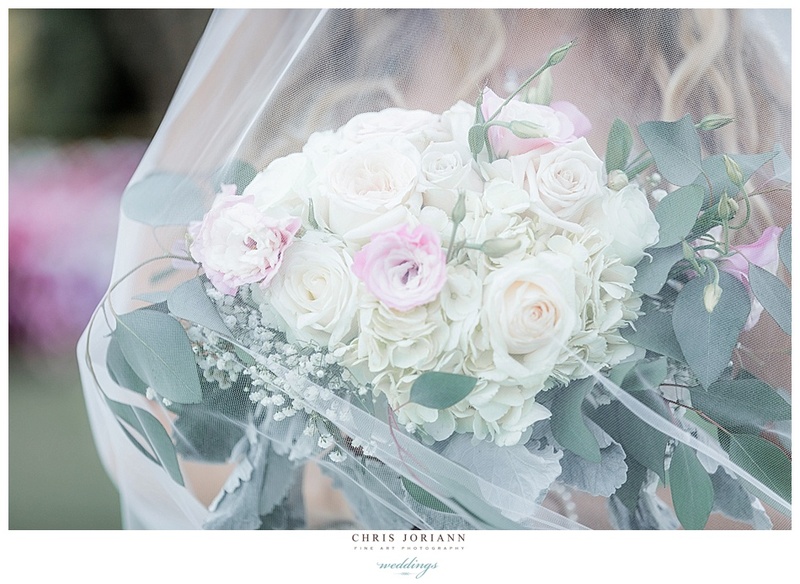 Her spectacular, bouquet from designs by guzzardo, featured white peonies accented with crystals. 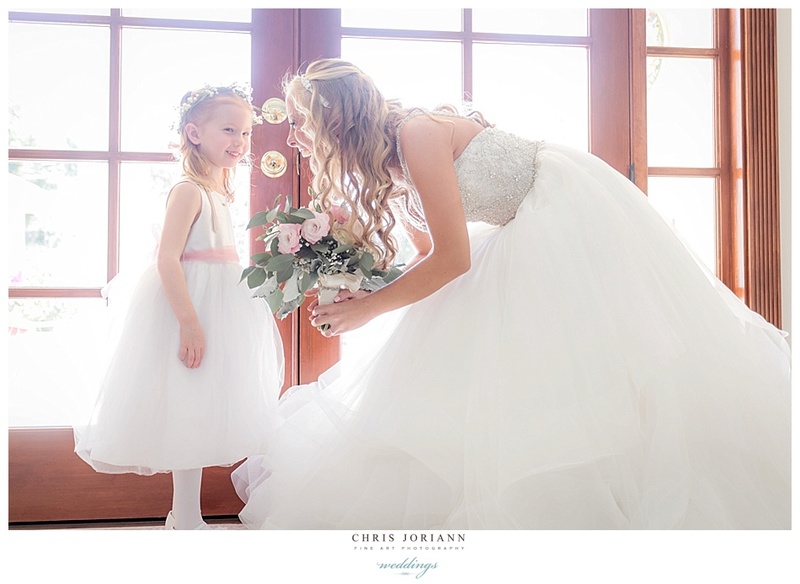 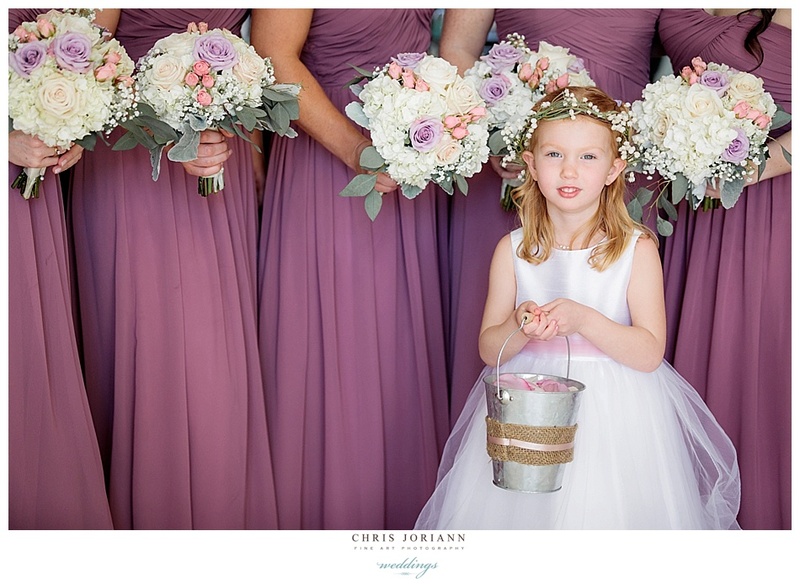 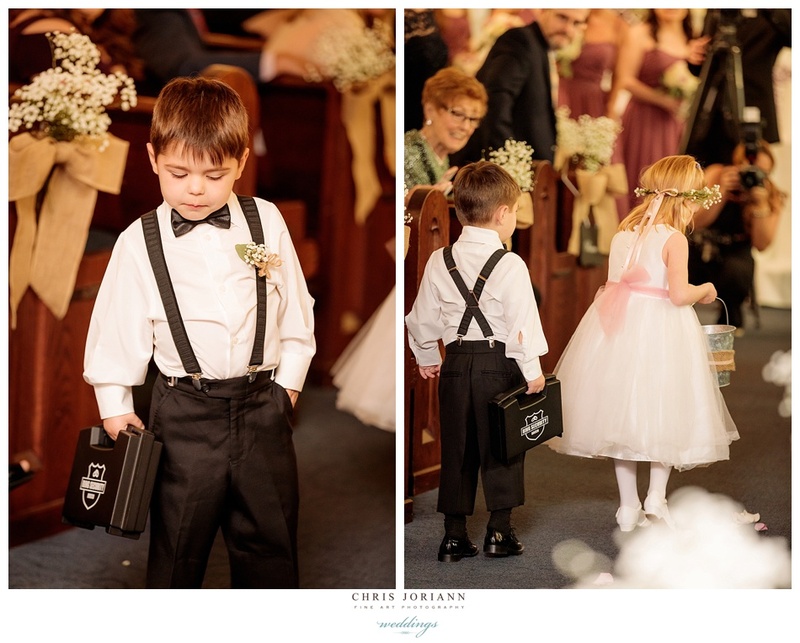 It was presented to her by her adorable flower girl. 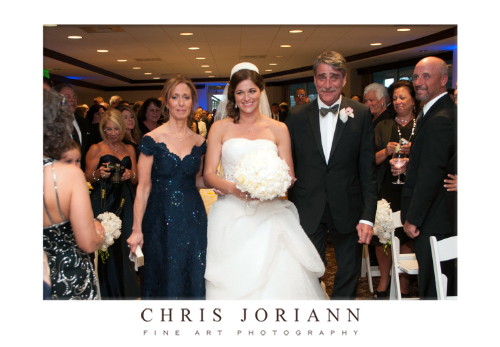 Her girls were dressed in navy blue Alfred Sung dresses. 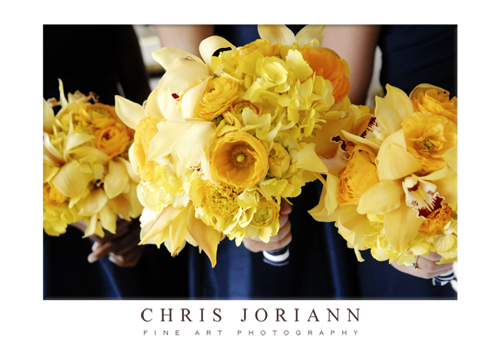 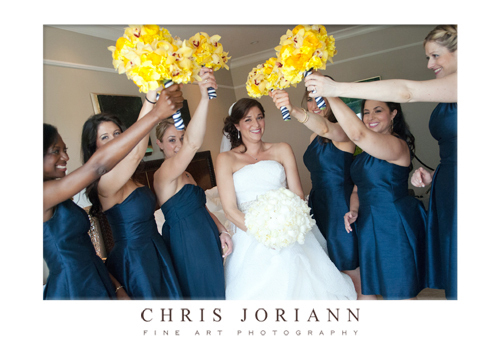 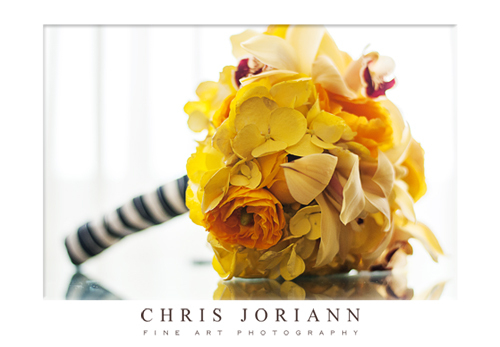 These great yellow bouquets, added just the right pop of color. 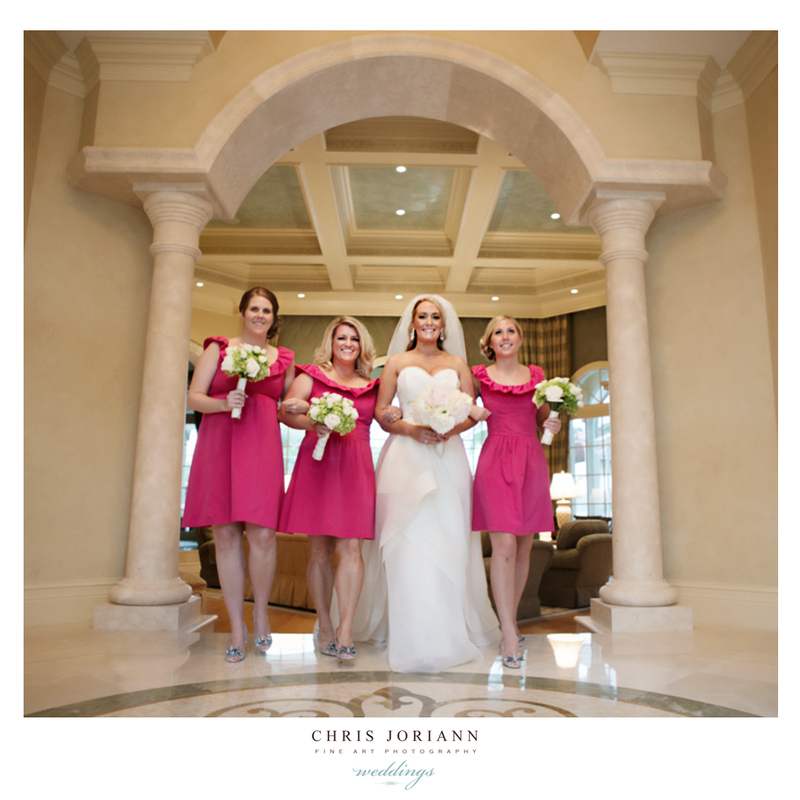 Despite the on and off drizzle, Ali and her Bridesmaid’s ventured out. 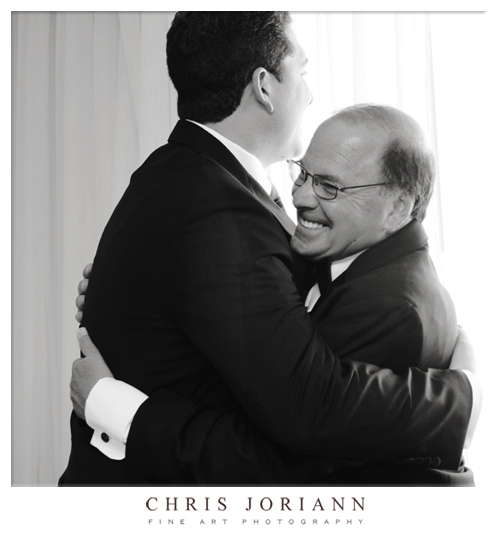 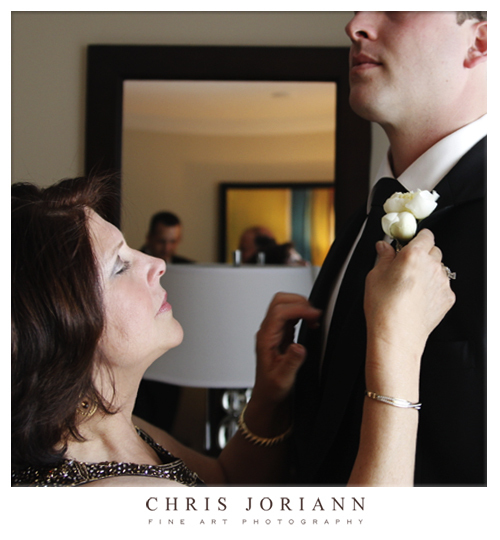 Meanwhile, back in the Groom’s suite, AJ dressed in his tux, with help from his Mom. 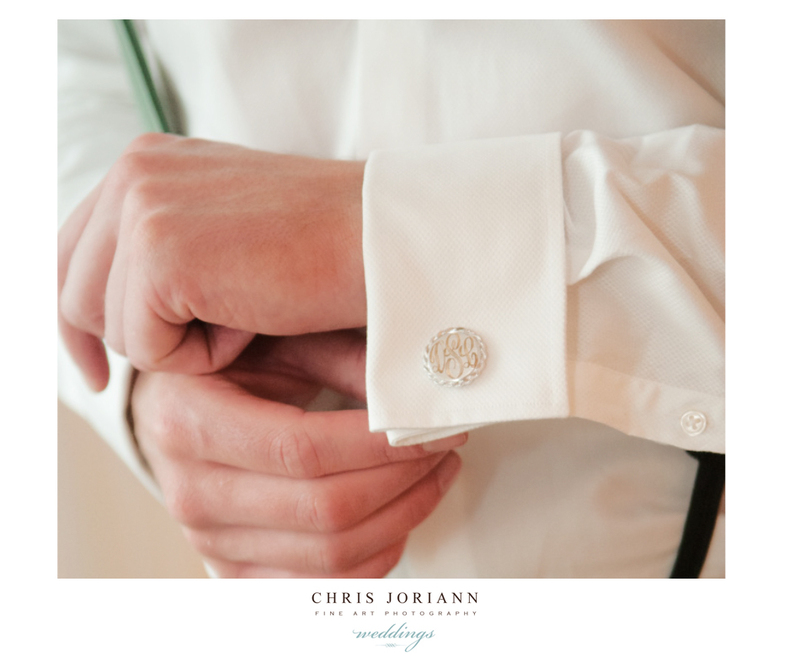 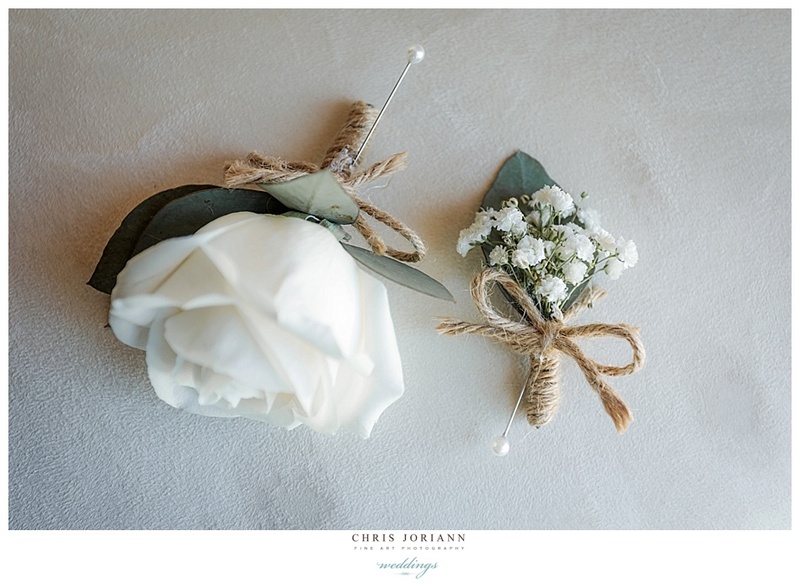 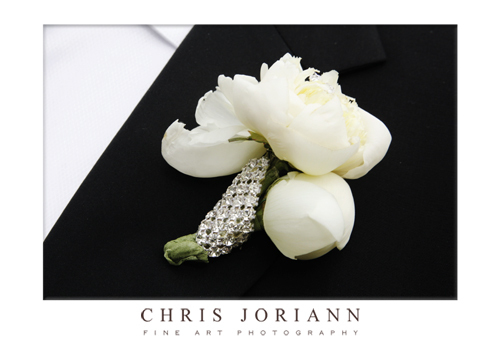 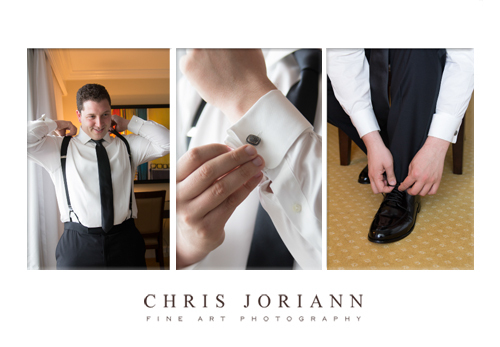 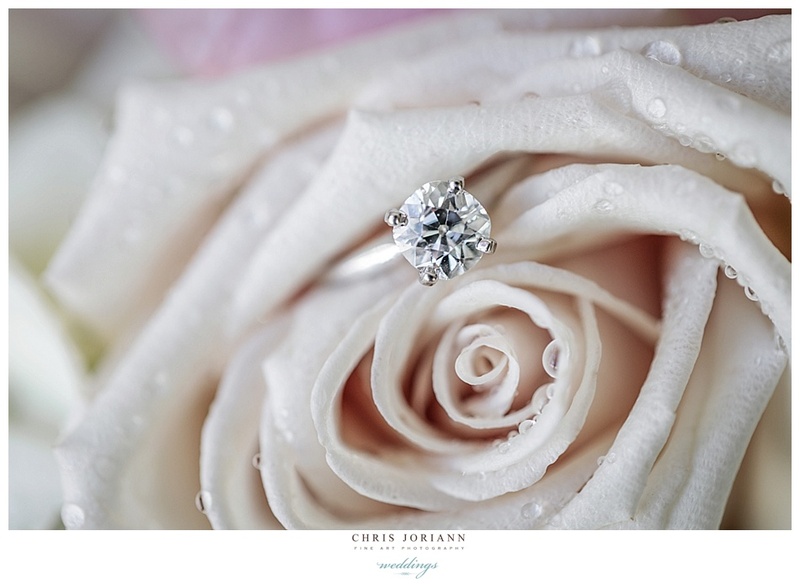 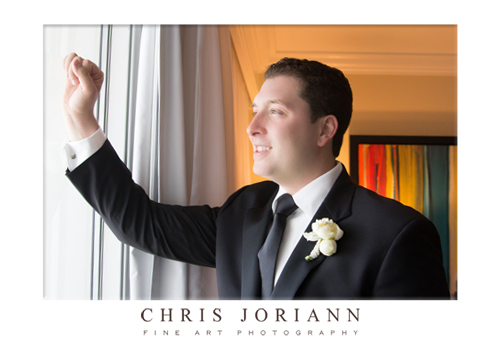 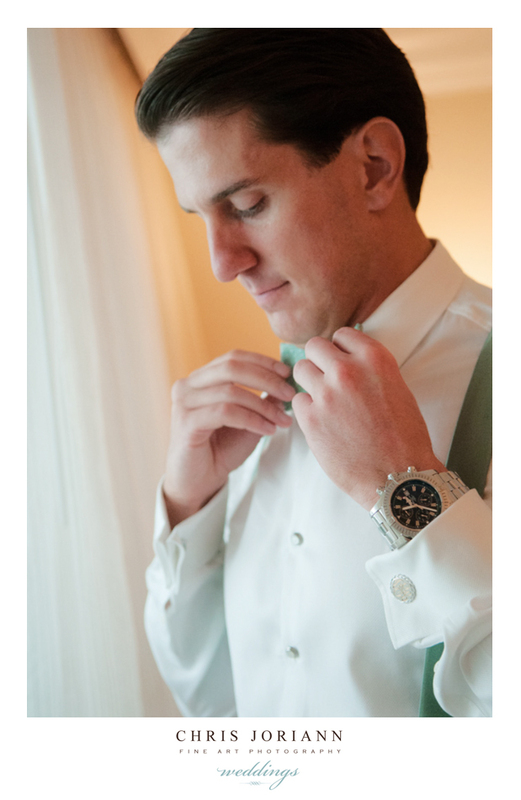 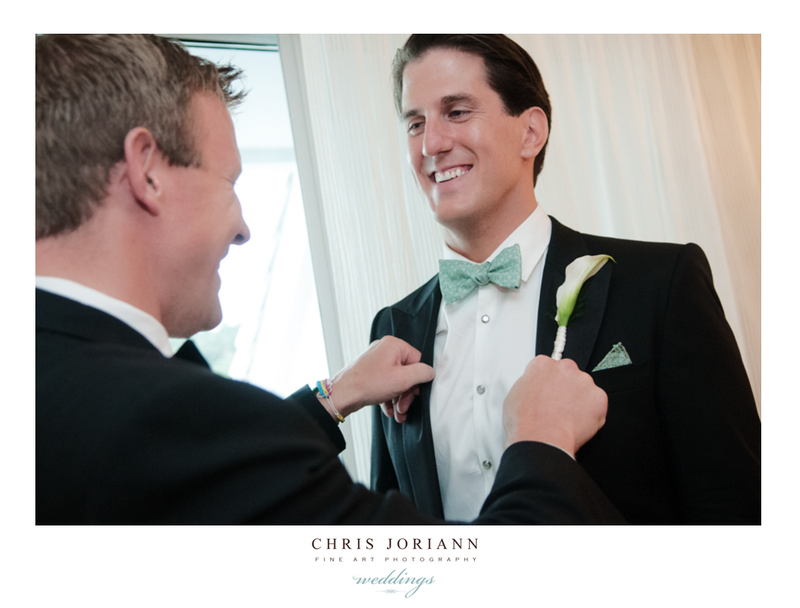 Great boutonniere… just the right touch of sparkle. 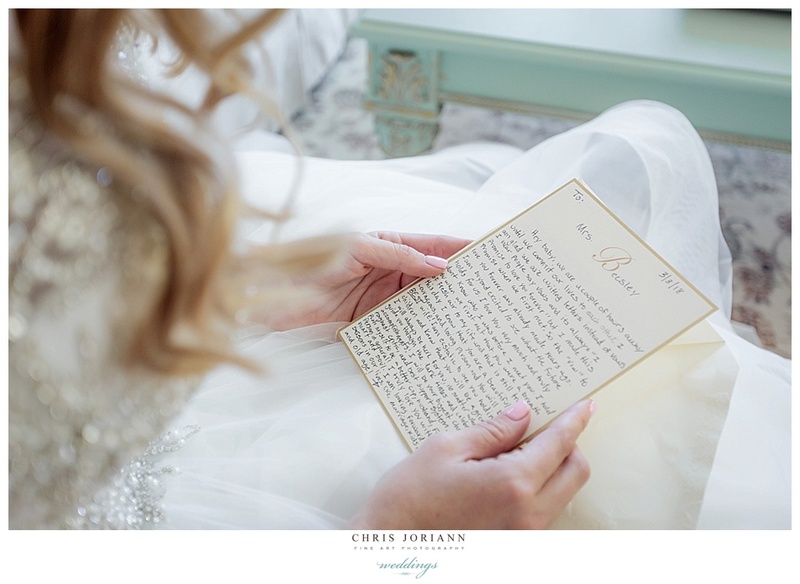 Once ready, a note arrived from Ali… yes.. more great PAPER!!!! 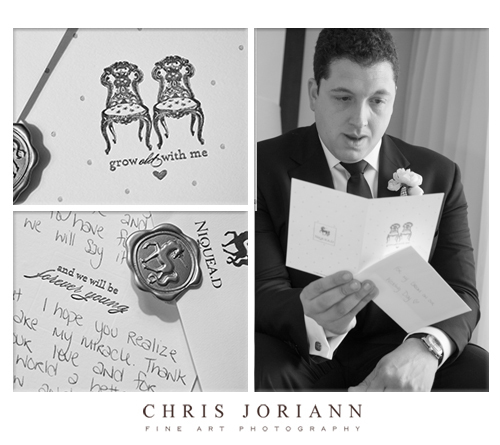 it was the most amazing letter pressed stationery, complete with a wax seal. 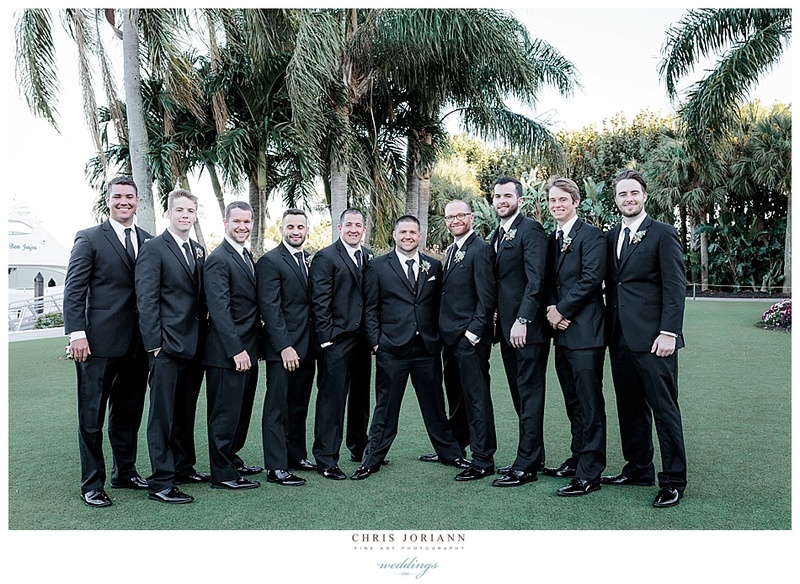 Then out the handsome crew went for their own GQ-esque photo session. 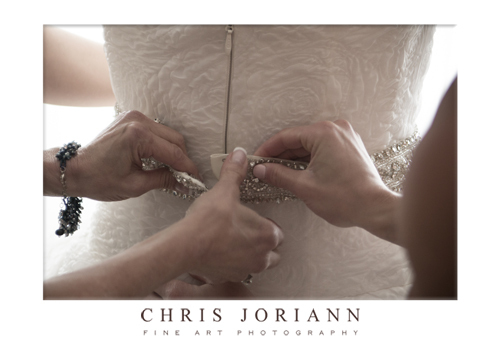 Soon it was time for the big reveal. 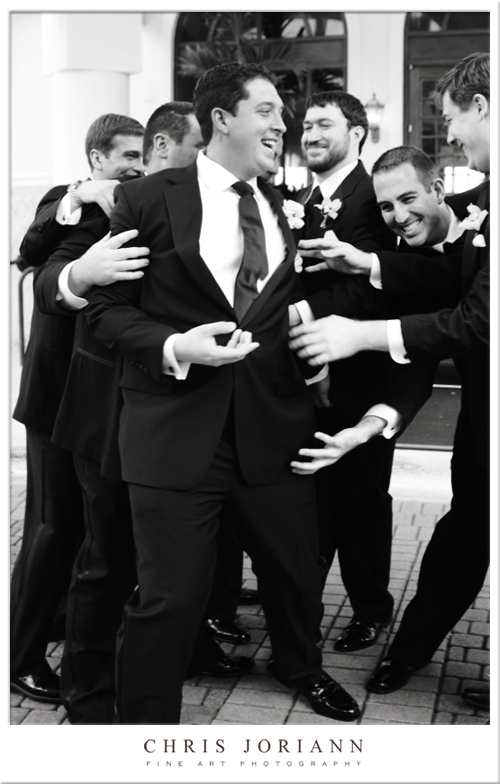 As Ali crept up from behind to surprise him. 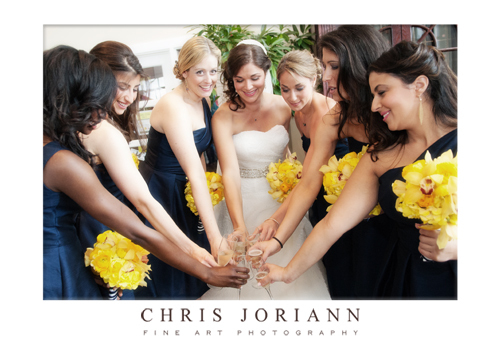 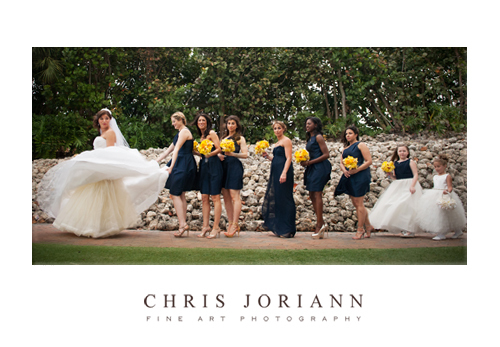 After a quick portrait session, they met up with their bridal party. 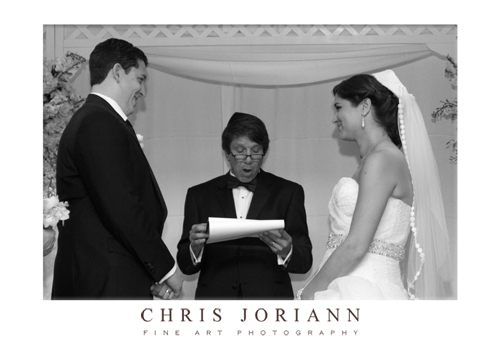 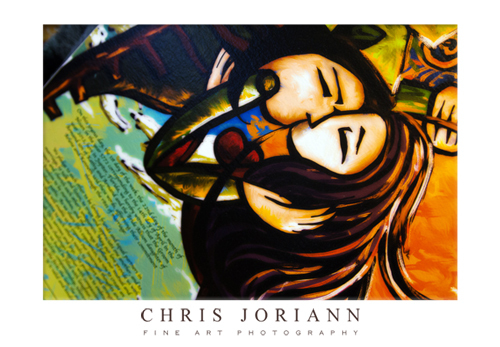 This artistic ketubah was signed prior to the ceremony. 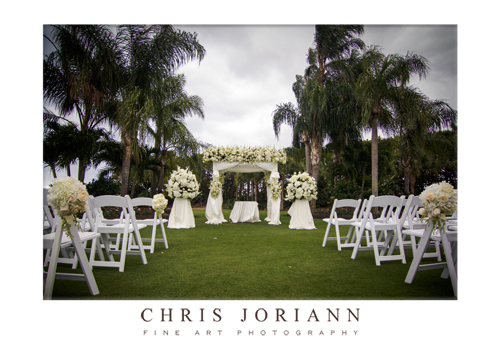 The ceremony was set up on the great lawn overlooking the marina. 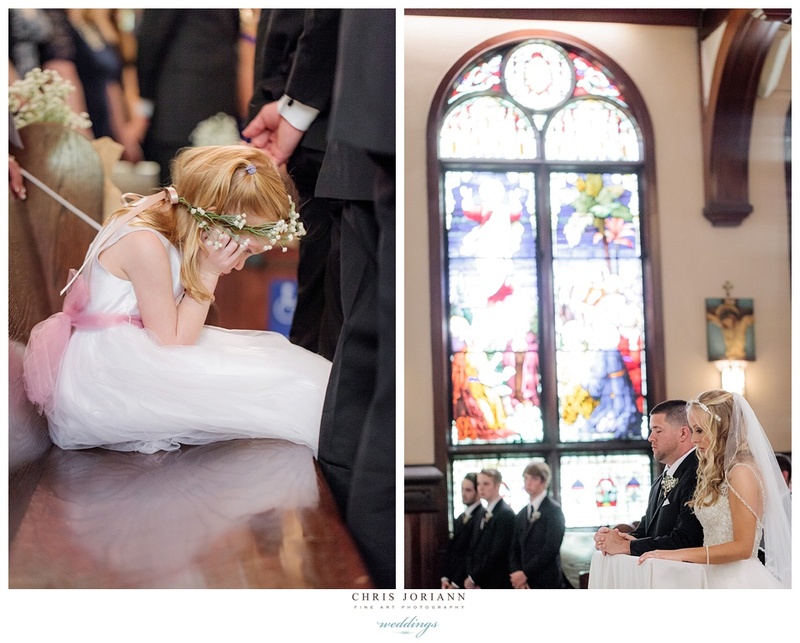 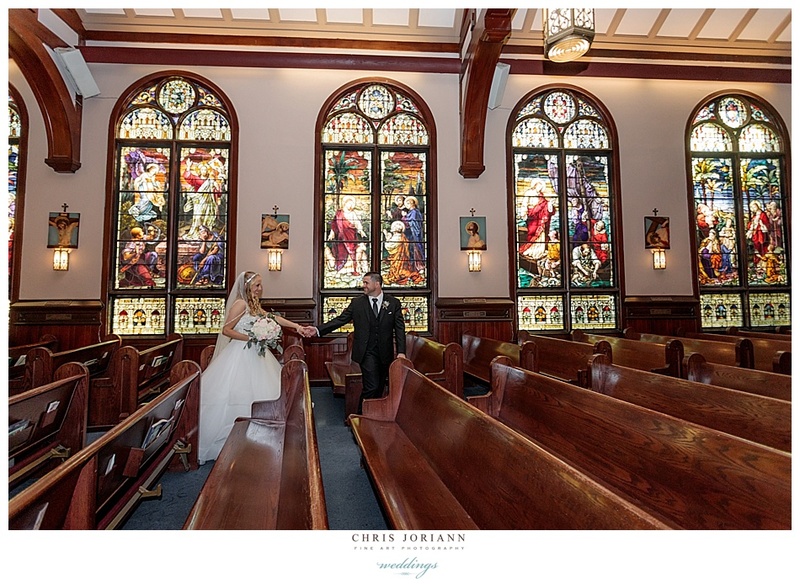 But by the time the bride was escorted down the aisle by her parents, it had been moved indoors due to weather. 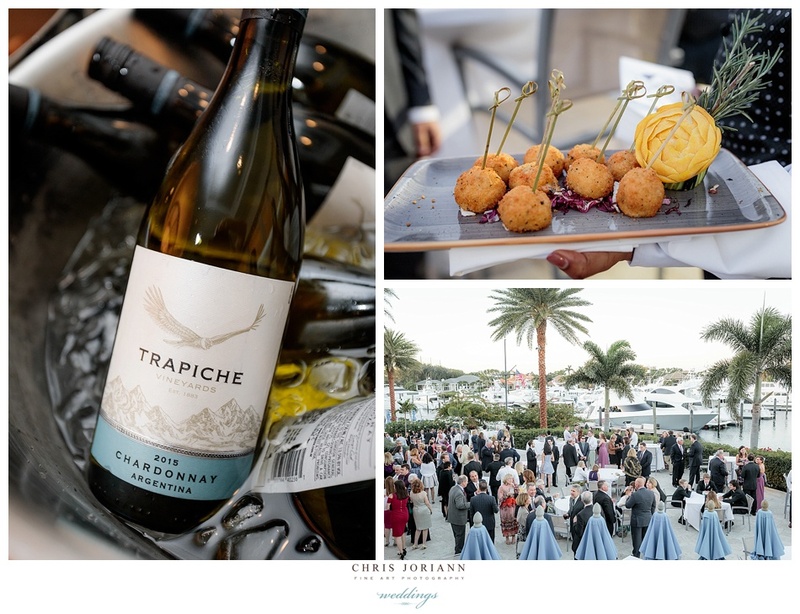 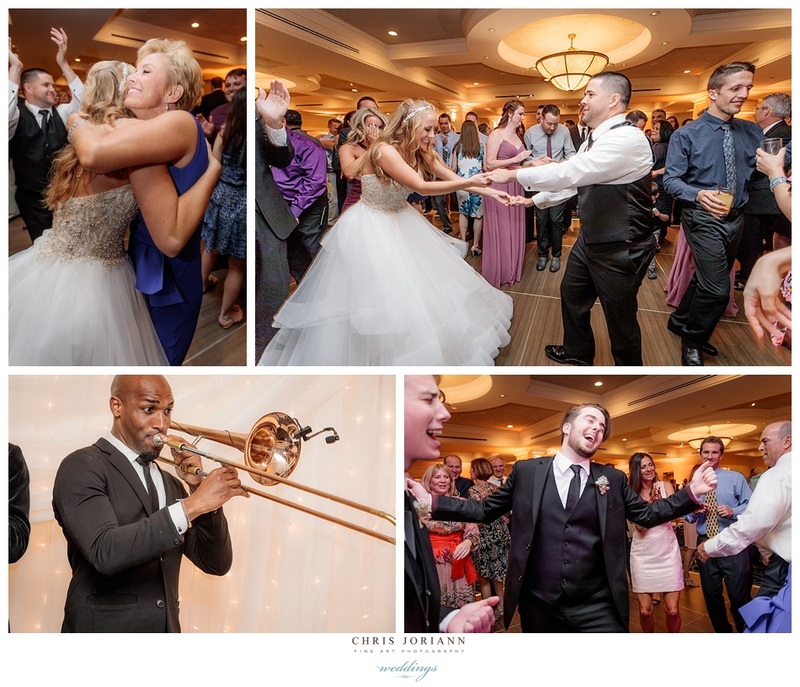 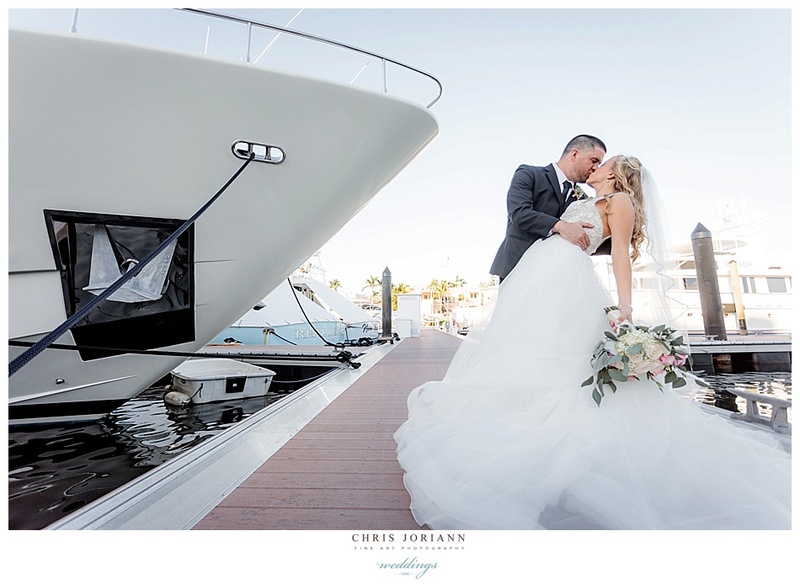 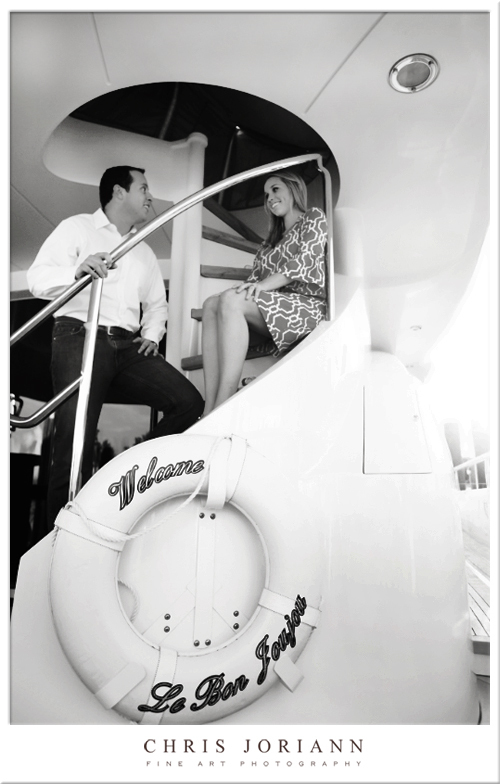 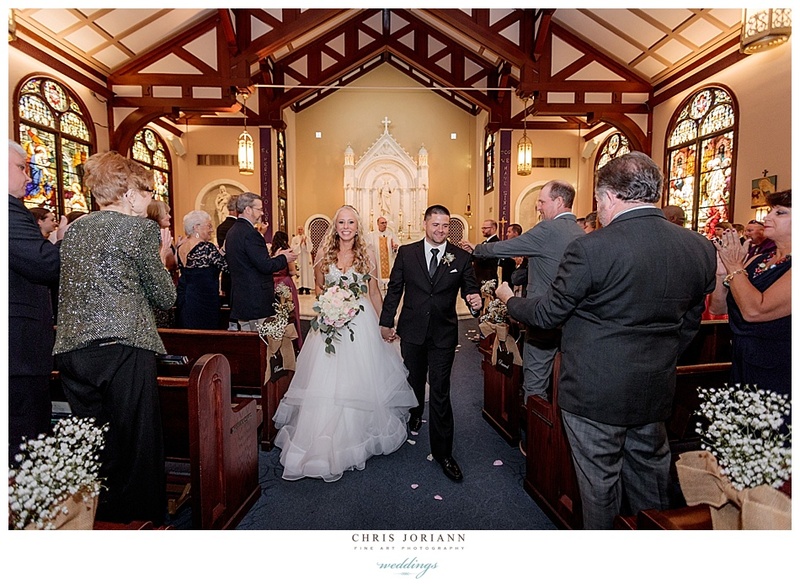 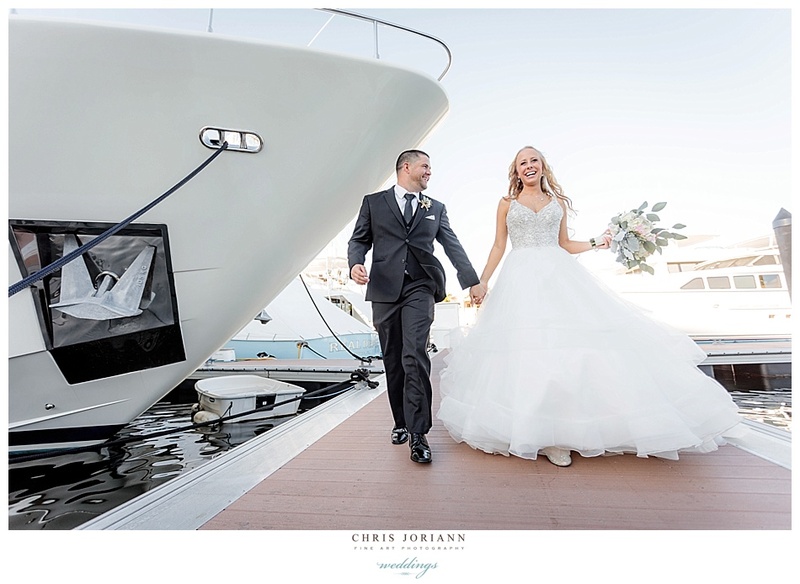 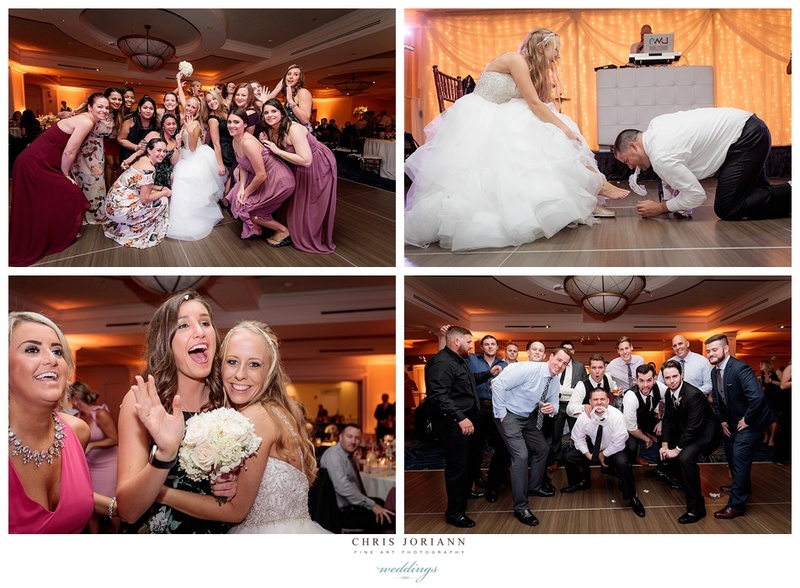 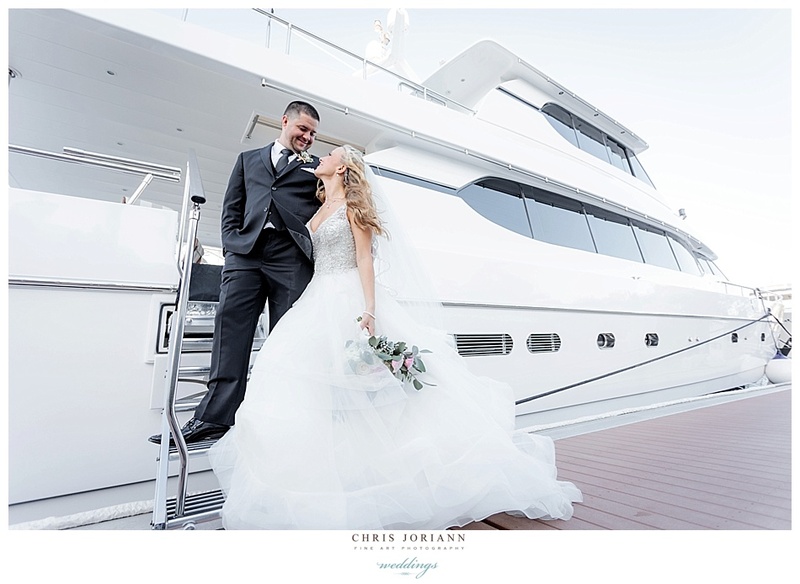 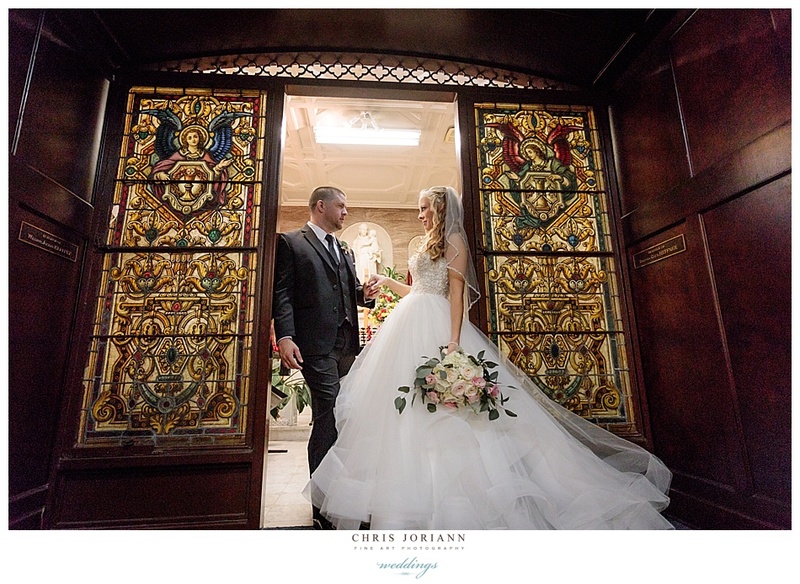 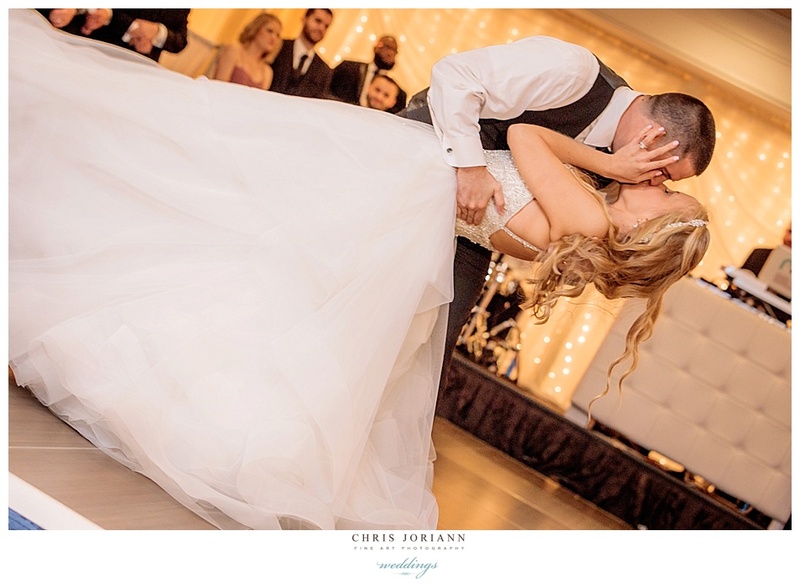 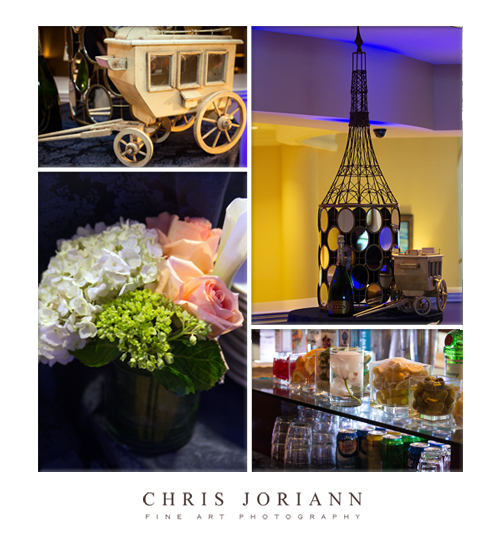 Following their heartfelt nuptials, guests enjoyed a lavish cocktail hour at The Club at Admiral’s Cove. 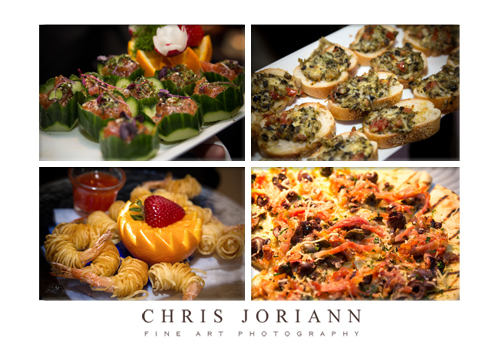 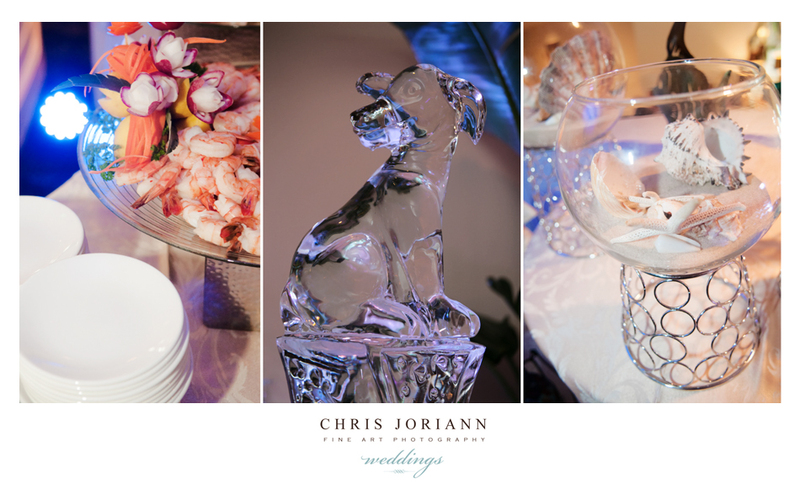 Guest enjoyed cocktails and hors d’oeuvres. 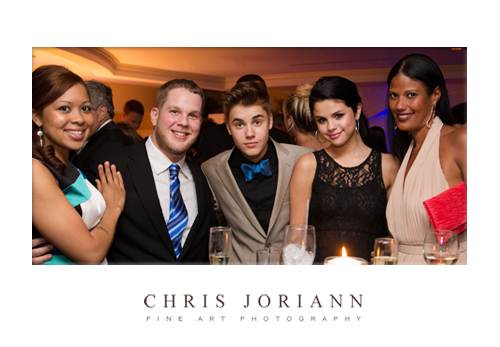 Here, Justin Bieber looked dapper in his “something blue” bow-tie, with the lovely Selena Gomez, and other friends by his side. 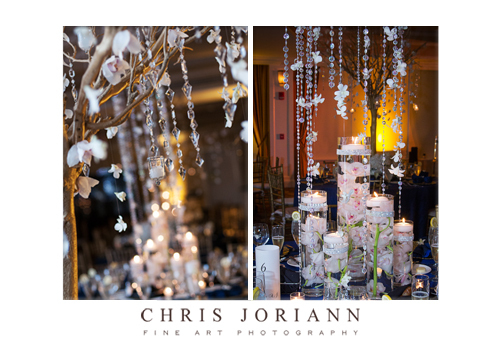 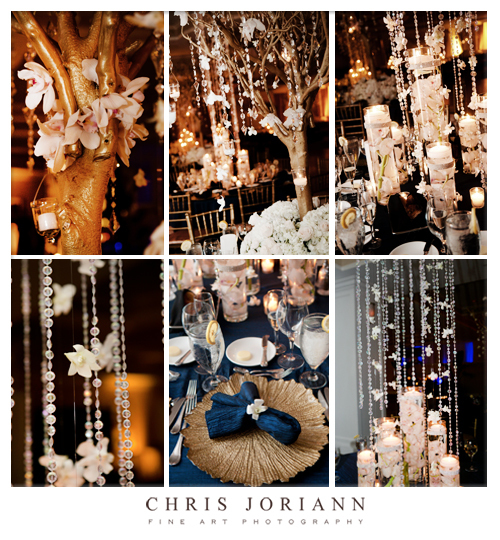 The reception space was awash in amber lighting, as crystals and orchid installations hung from the ceiling. 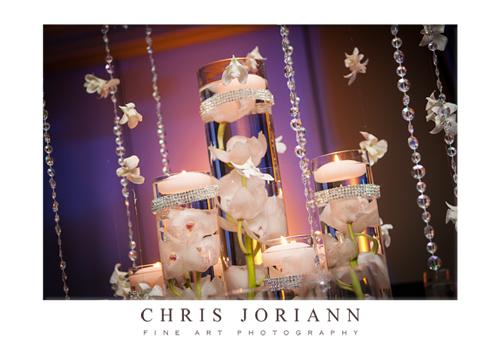 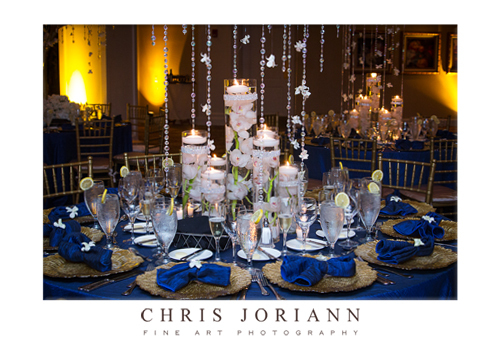 Centerpieces included floating orchids in rhinestone wrapped jars and candles. 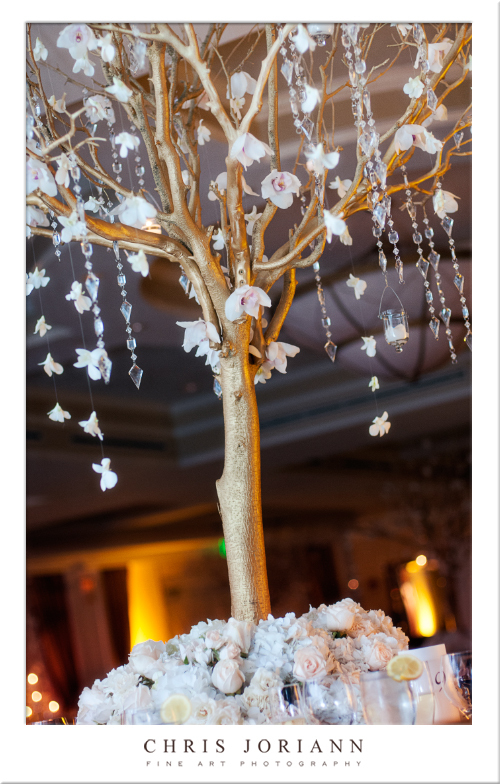 And gilded trees dripping in crystals and votives. 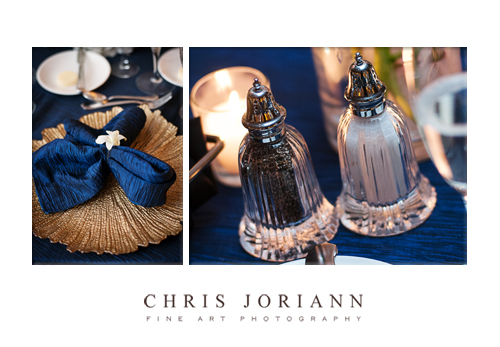 Blue orchid-wrapped napkins sat upon vintage gold scalloped charges. 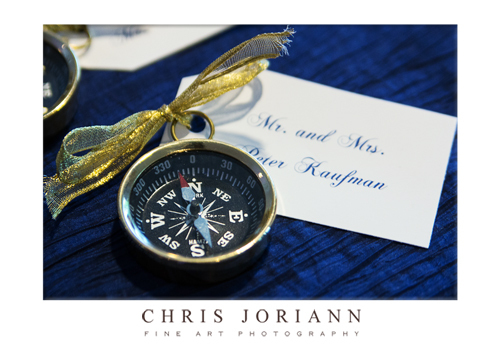 Ali, a renowned word traveler, surely selected the favors, these great compasses, fit nicely with the nautical theme, and doubled as place card holders. 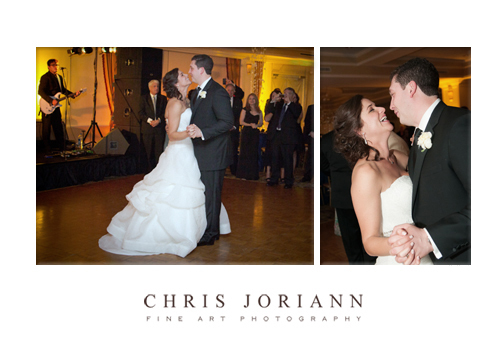 The reception began with a romantic first dance. 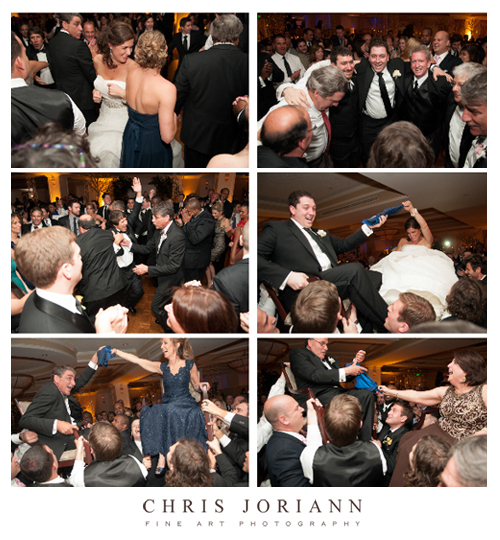 Then Libido got the party started with a wild horah. 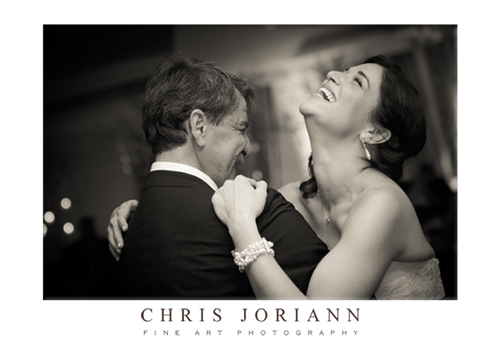 Here Daddy shares a dance with his little girl. 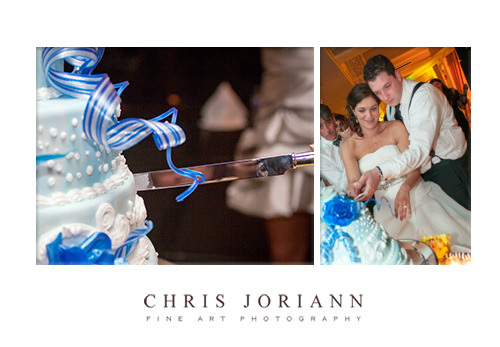 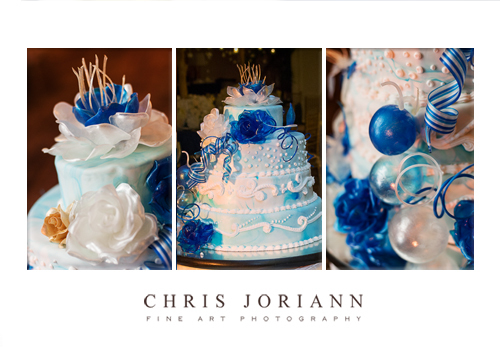 After dinner, the sea-inspired cake was cut. 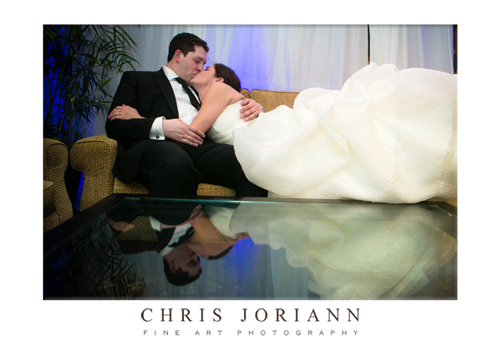 And as the night came to an end, the newlyweds, stole off for a few quiet moments together. 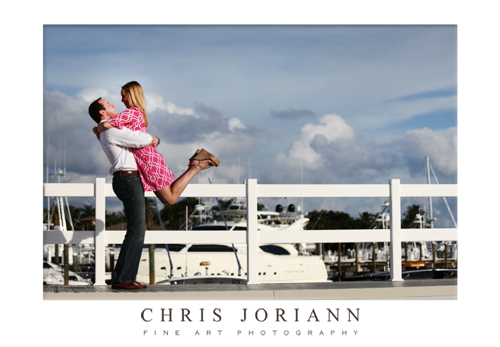 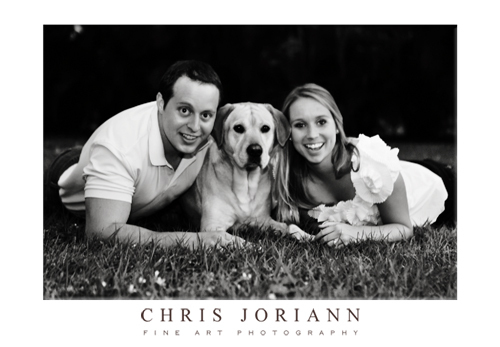 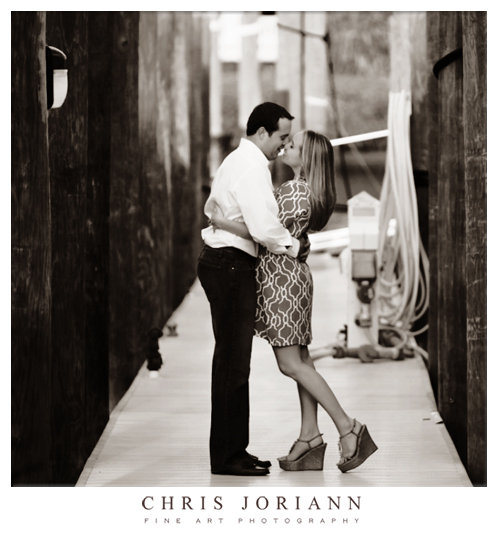 Looking forward to their beachfront wedding in the Fall.